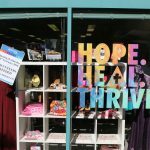 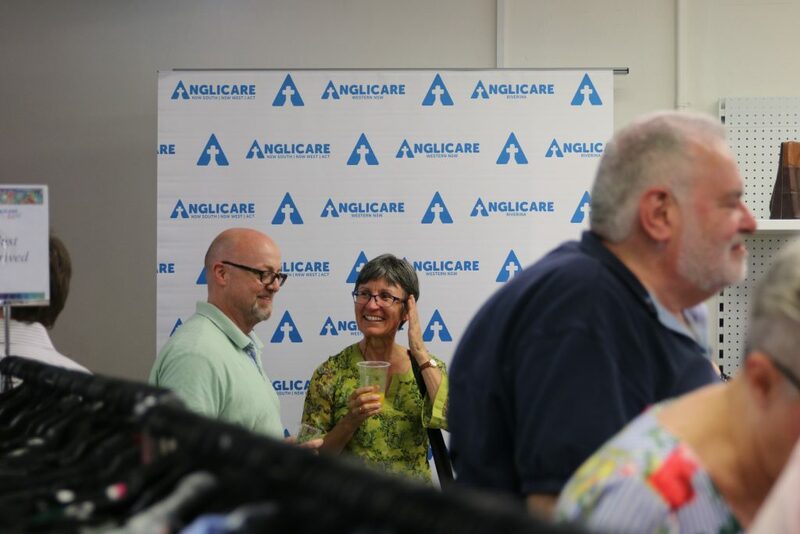 Anglicare staff and volunteers gathered at our newest Anglicare Retail Shop at Jamison Centre, Macquarie ACT to celebrate the grand opening! 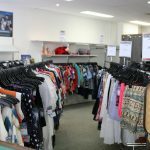 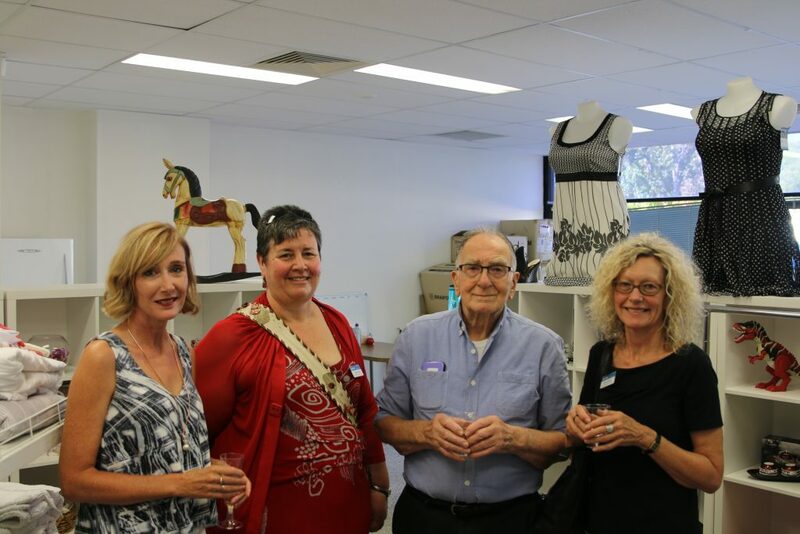 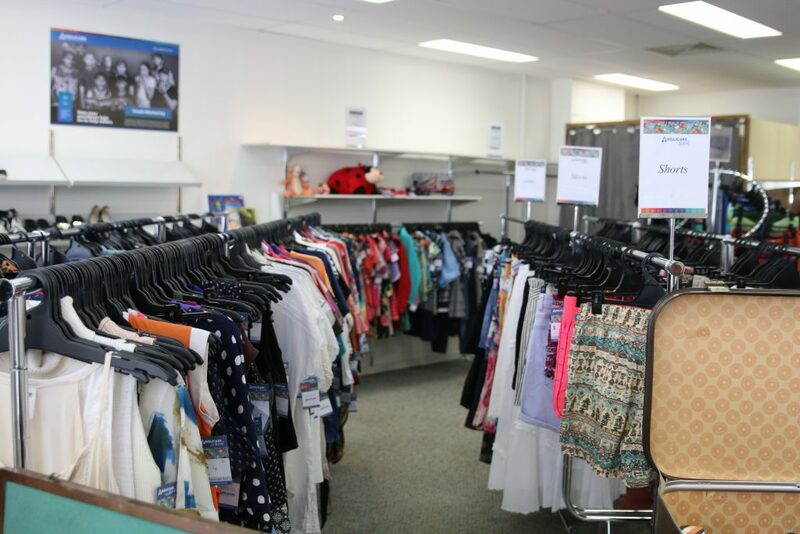 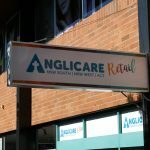 Anglicare Retail at Jamison is Anglicare’s 4th recycling retail store. 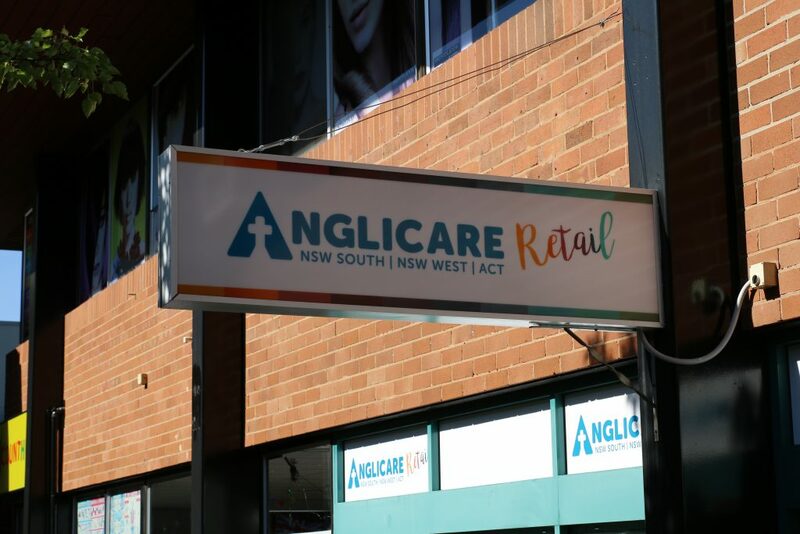 The new store at Jamison is the first of the stores to unveil the new ‘Anglicare Retail’ branding. 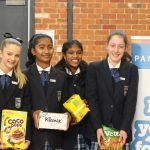 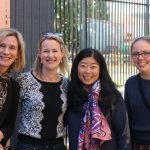 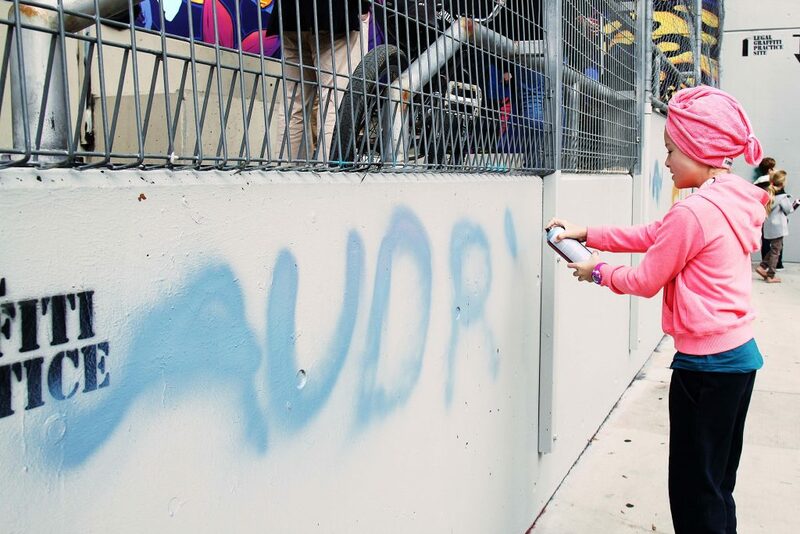 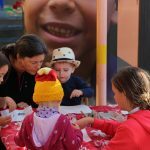 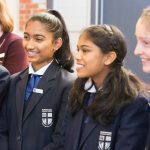 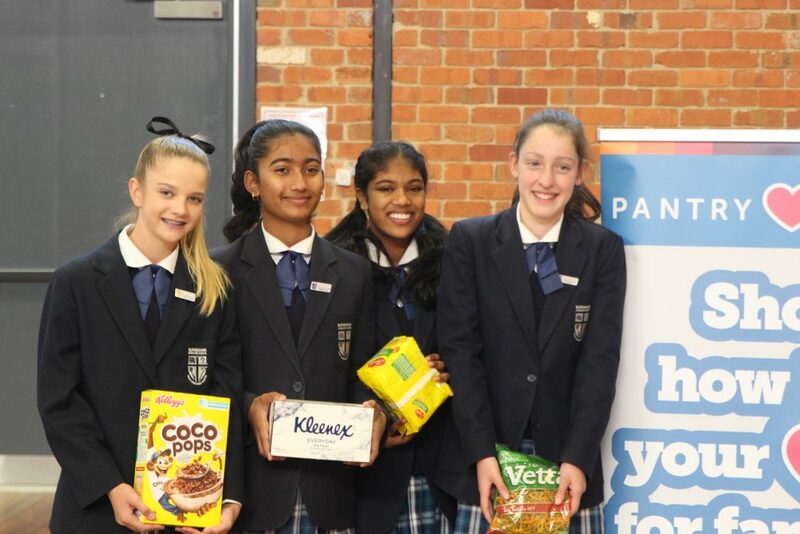 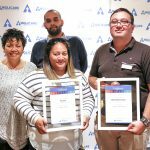 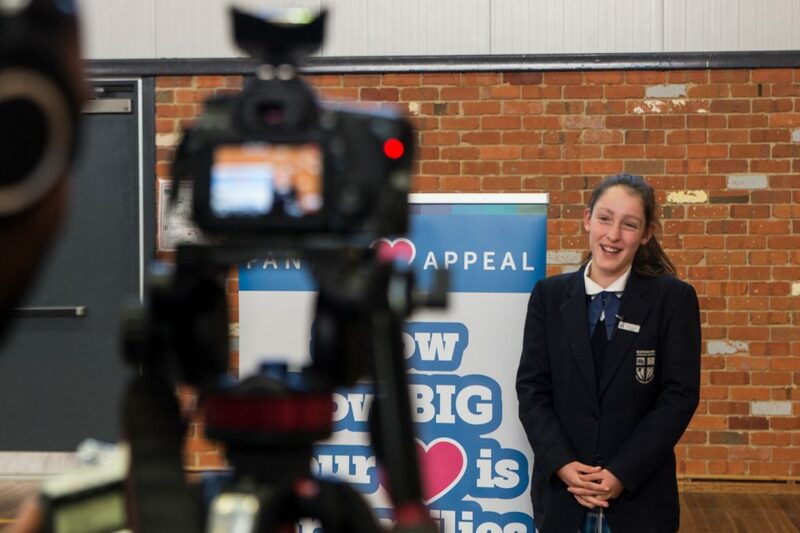 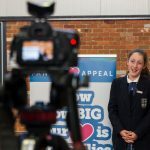 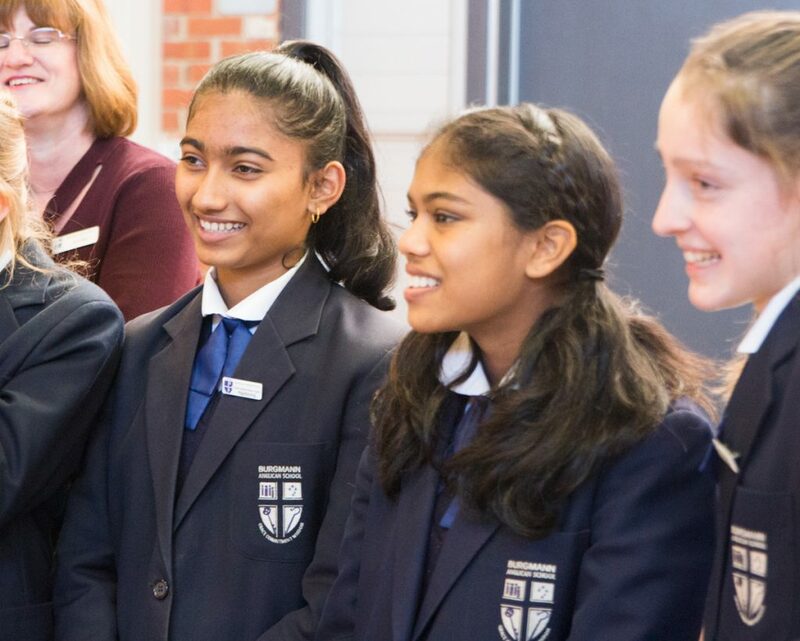 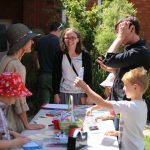 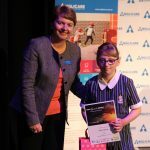 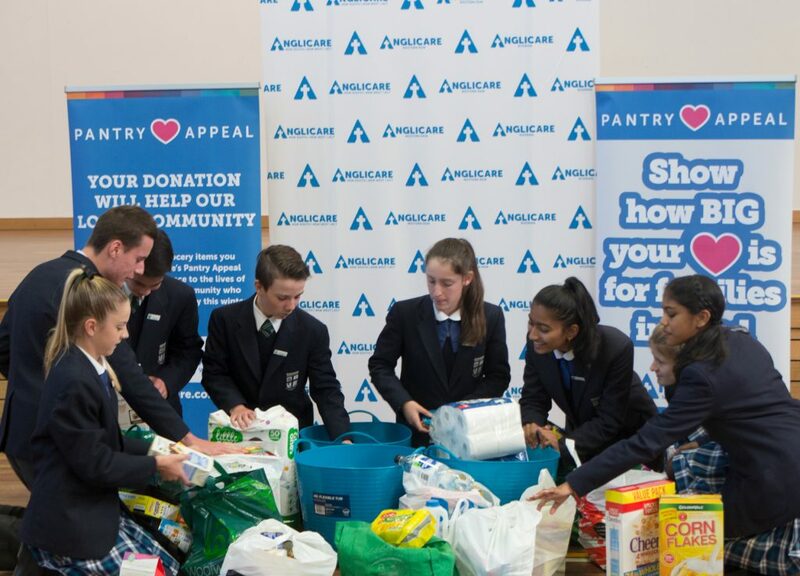 Pens Against Poverty is a annual writing competition hosted by Anglicare to encourage primary school and high school students to explore the experiences of people living in poverty. 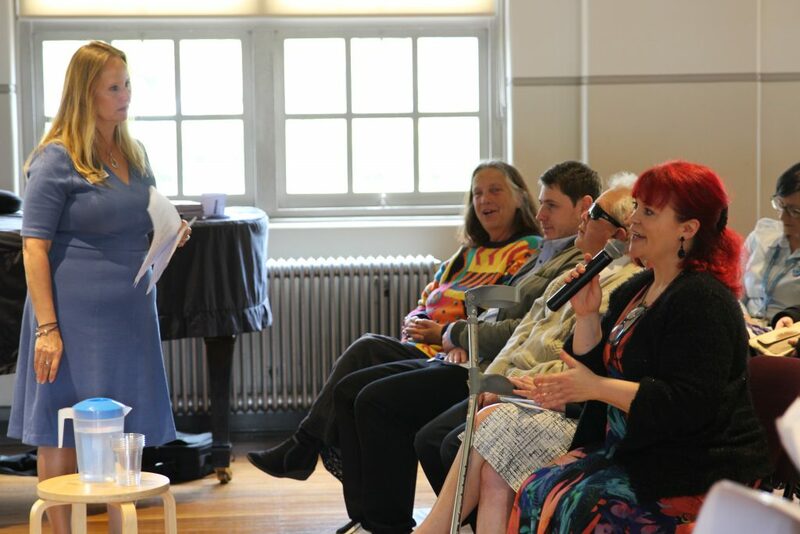 It demonstrates the power of poetry and fiction to heighten empathy among readers and writers, through the imagination and shared experience. 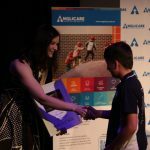 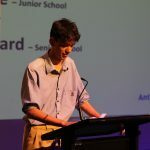 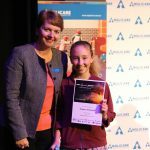 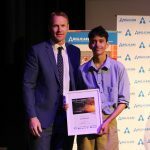 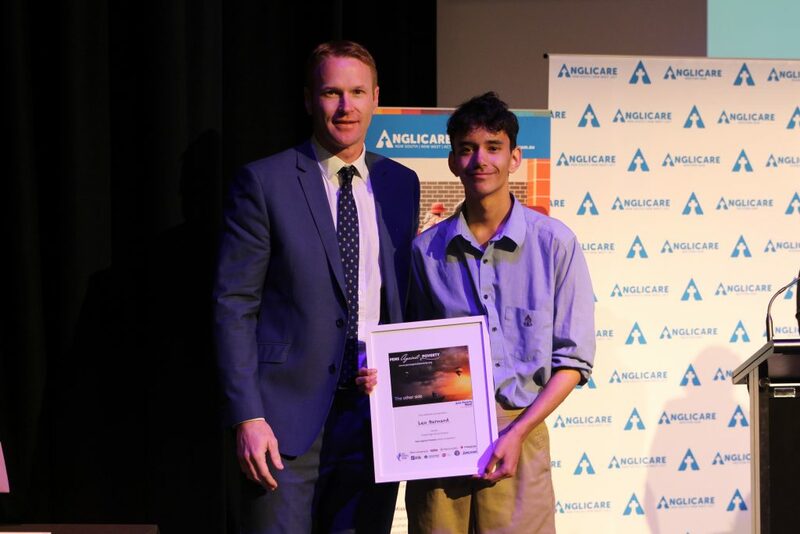 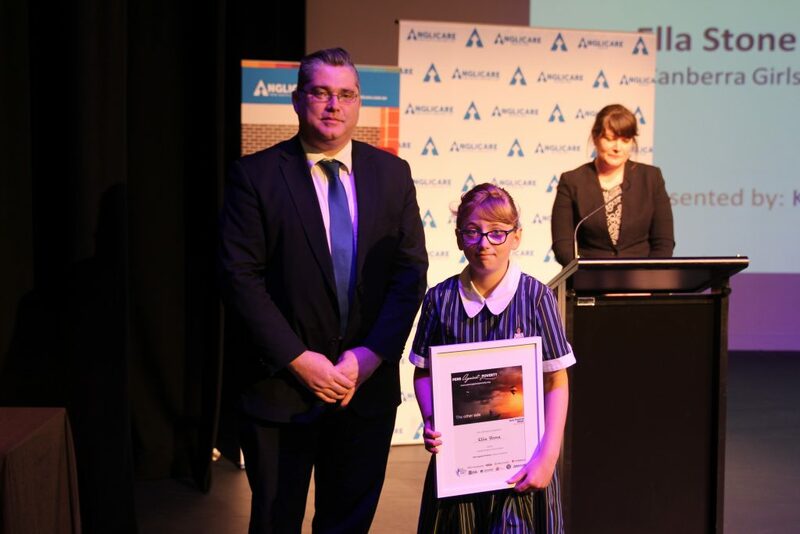 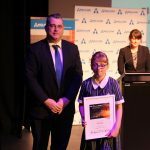 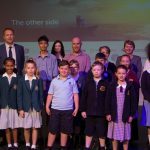 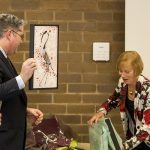 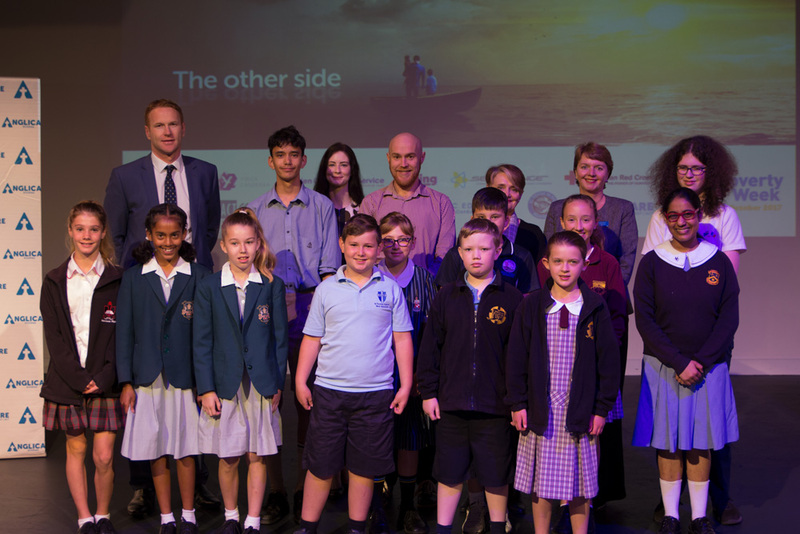 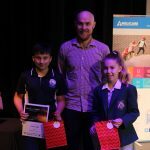 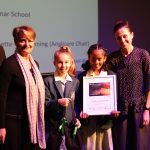 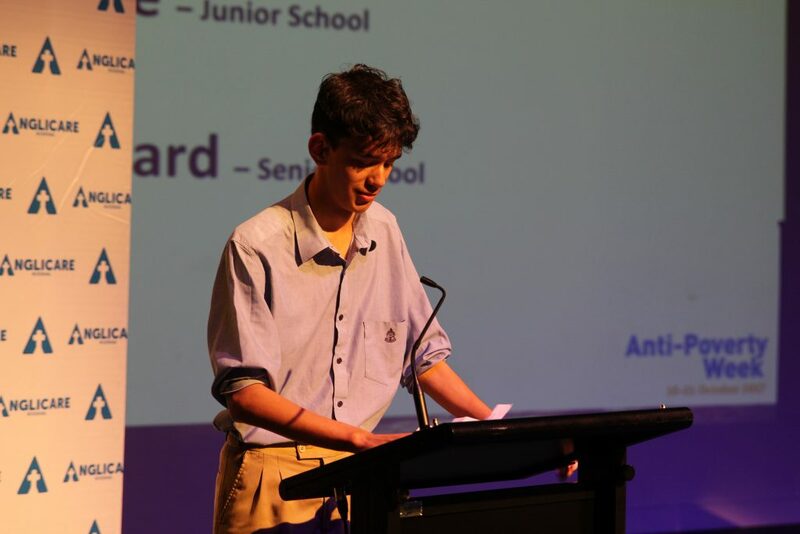 The 2017 Pens Against Poverty Award Ceremony was held at Canberra College Theatre as the closing event of Anti Poverty Week. 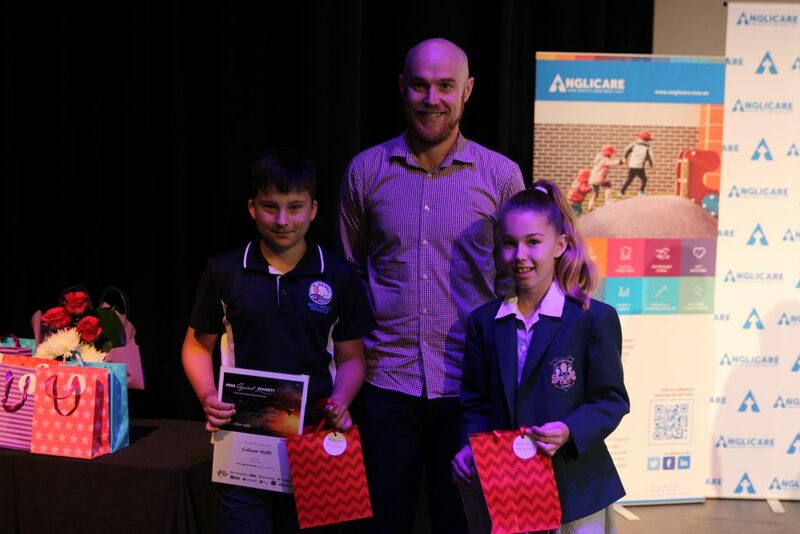 Simon Mitchell presenting awards to two young participants. 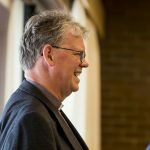 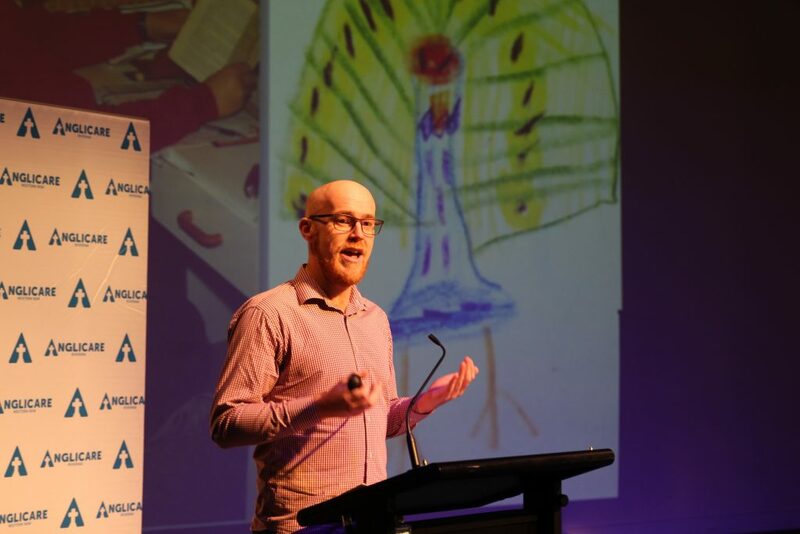 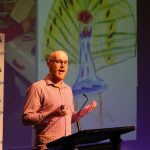 Canberra children's author, Simon Mitchell, shared his earliest work and encouraged our award participants with his top tips for young writers. 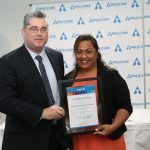 Congratulations Tamara! 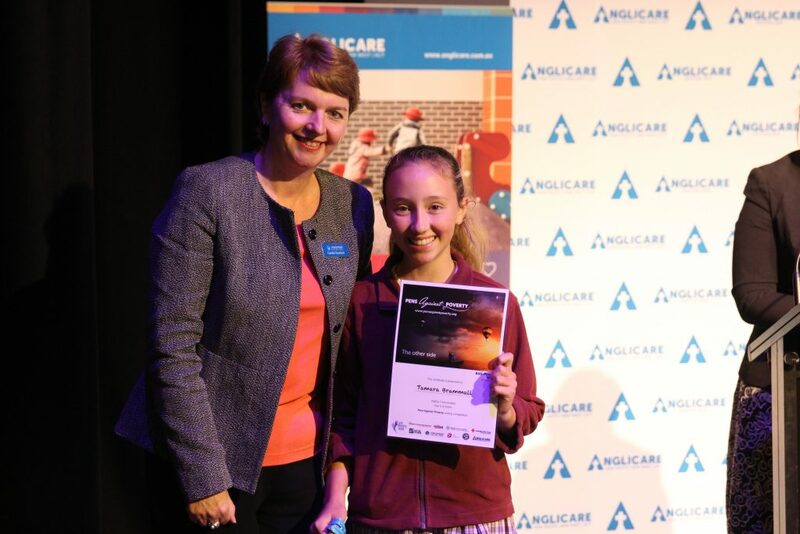 Tamara was one of the 2017 #PensAgainstPoverty award winners in theYear 5-6 poetry category. 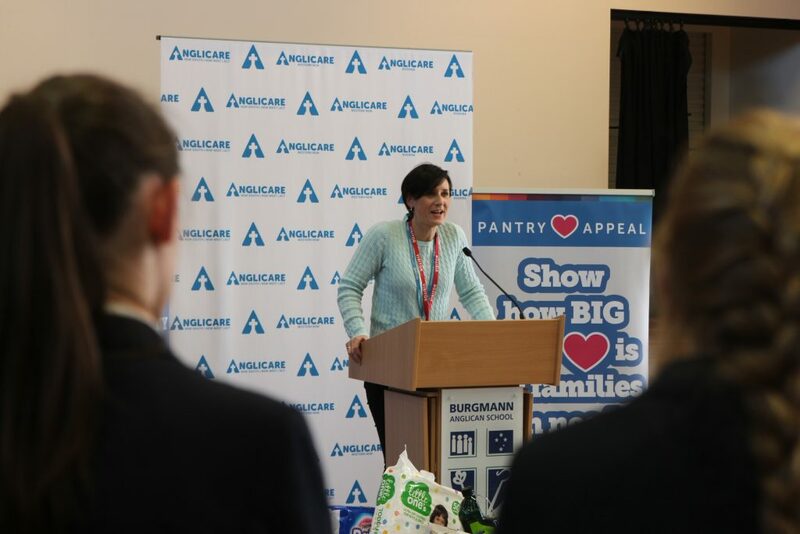 Thank you Camilla, CEO of Marymead Child & Family Centre for joining us to present awards. 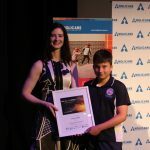 Congratulations Leo from Canberra Grammar School. 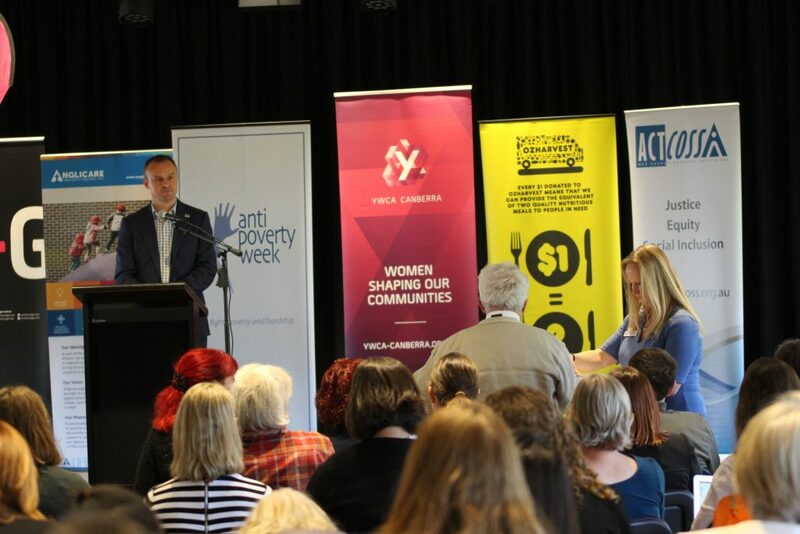 Leo has written award-winning entries year after year at #PenAgainstPoverty and this year took out Overall Senior Award. 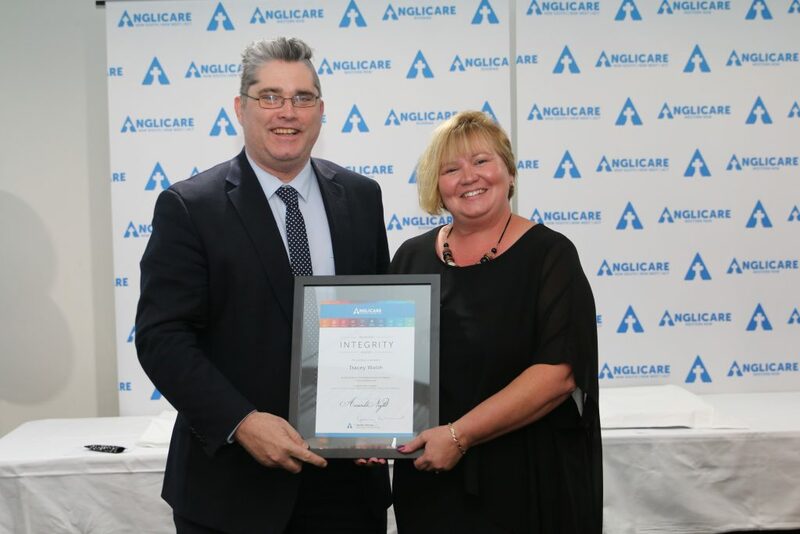 Thank you Mark from Aruther J Gallagher for presenting this award. 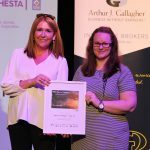 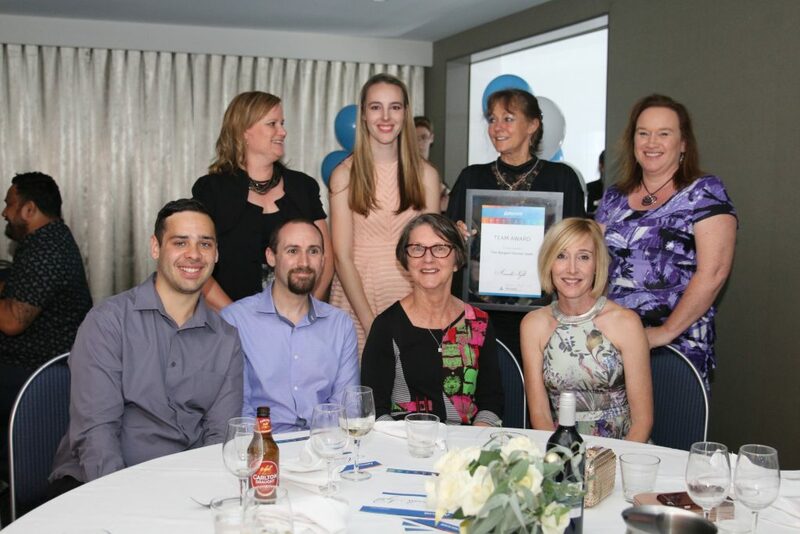 Merici College teachers stand alongside their students to receive the award for Overall Class Winner. 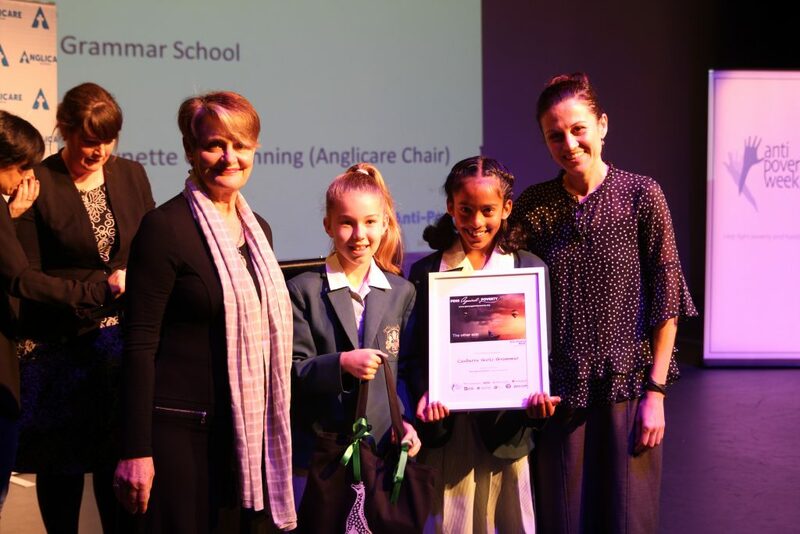 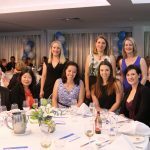 Congratulations Canberra Girls Grammar School for winning the Overall School Award! 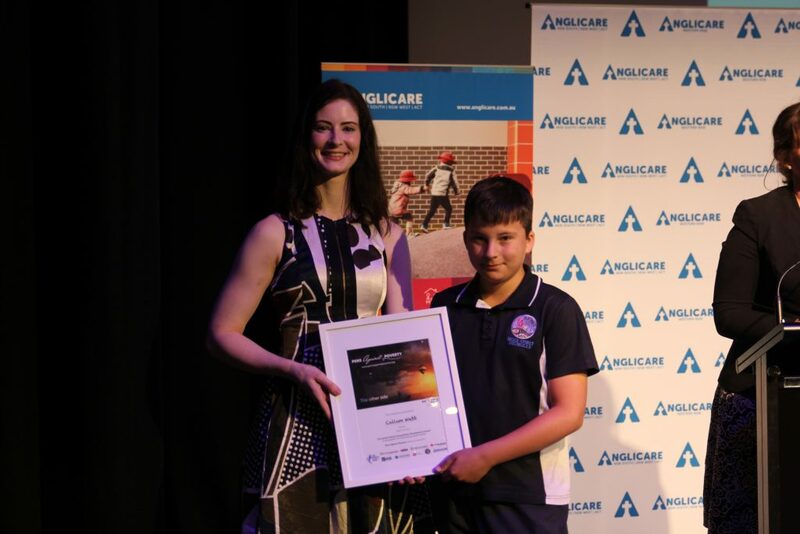 Callum received a new award for 2017 for his outstanding entry and has won one-on-one mentoring sessions with author Jackie French. 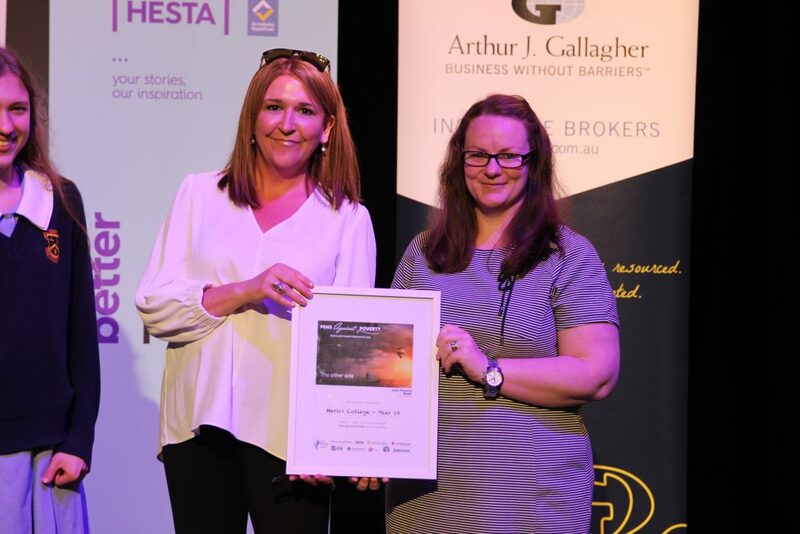 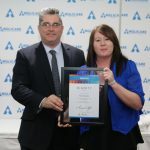 Thank you to Kristina from HESTA for presenting this award. 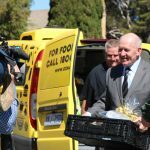 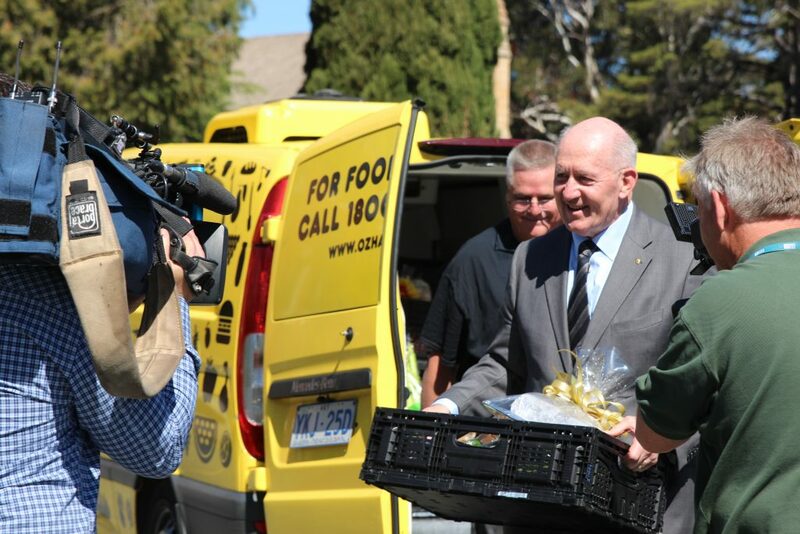 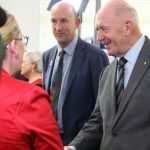 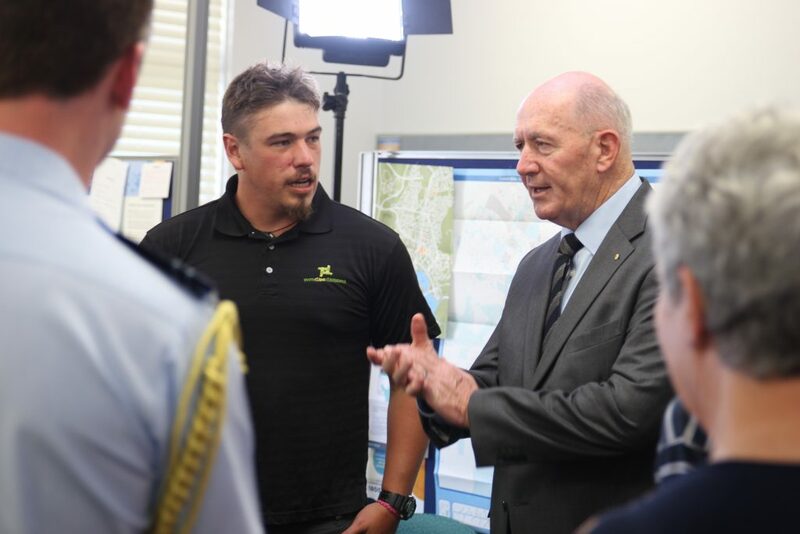 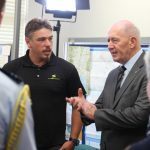 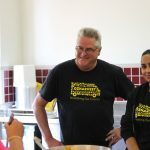 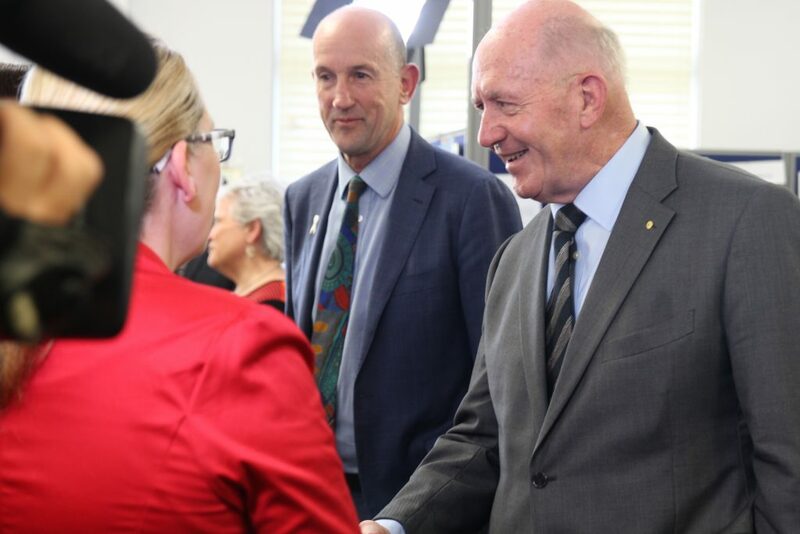 In recognition of Anti Poverty Week, the Governor-General Sir Peter Cosgrove, reached out to Dave, OzHarvest Manager about helping people in need. 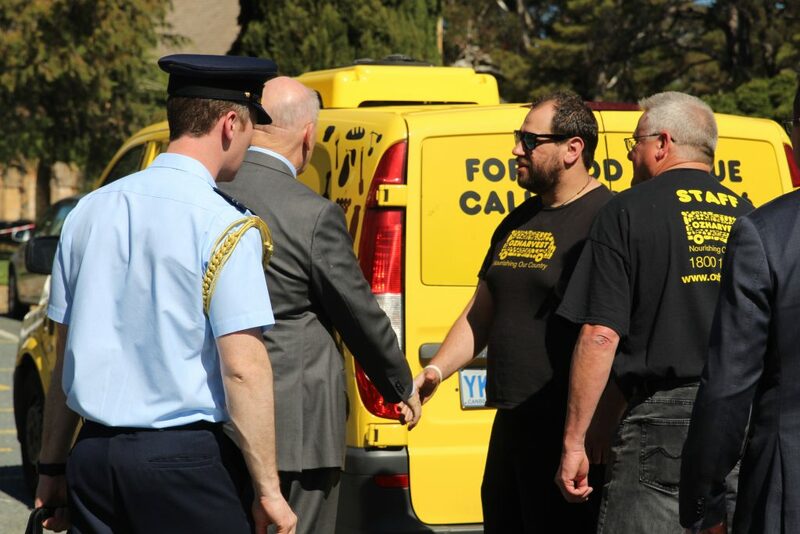 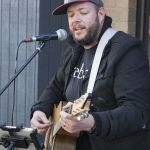 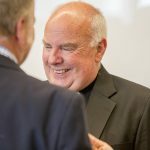 Dave suggested the Governor General be part of their regular food delivery to St. John’s Care of the leftover fresh food and supplies that OzHarvest collects from local retailers. 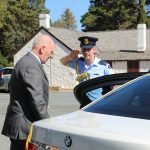 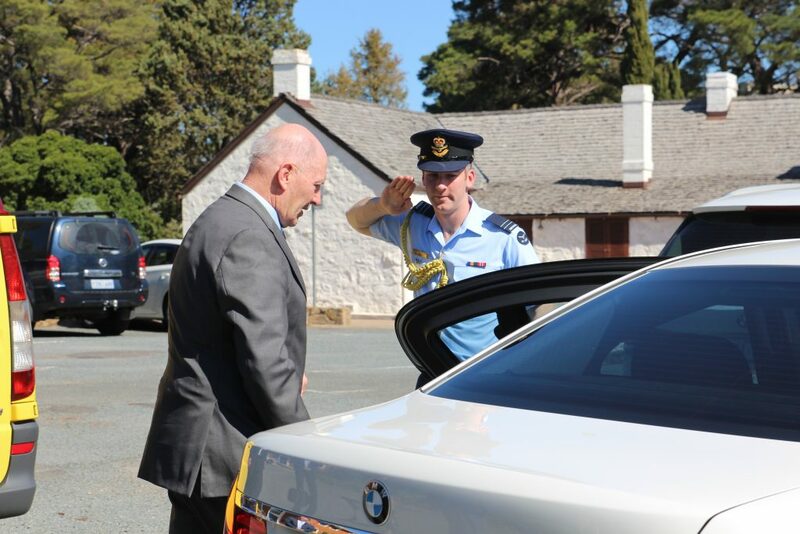 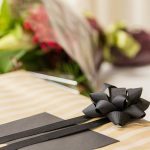 The Governor-General carried in a box of vegetables for the waiting cameras and presented medallions and a Christmas cake from Government House as a special gesture to mark the occasion. 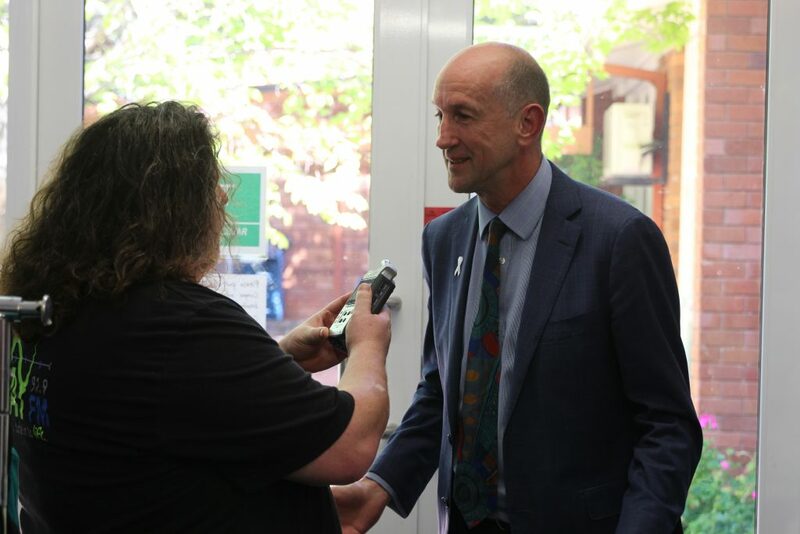 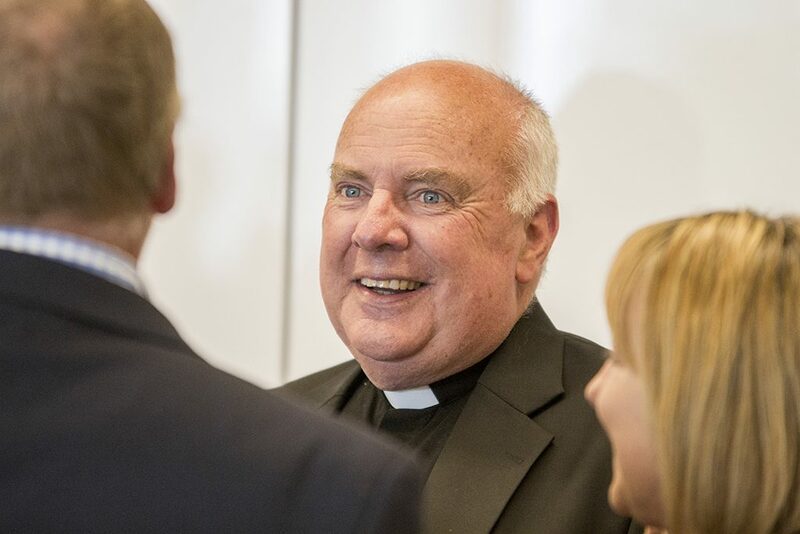 He congratulated Oz Harvest and St John’s Care for their work with Emergency Relief and took time to speak with the faithful St John’s Care volunteers and with some clients of St John’s Care. 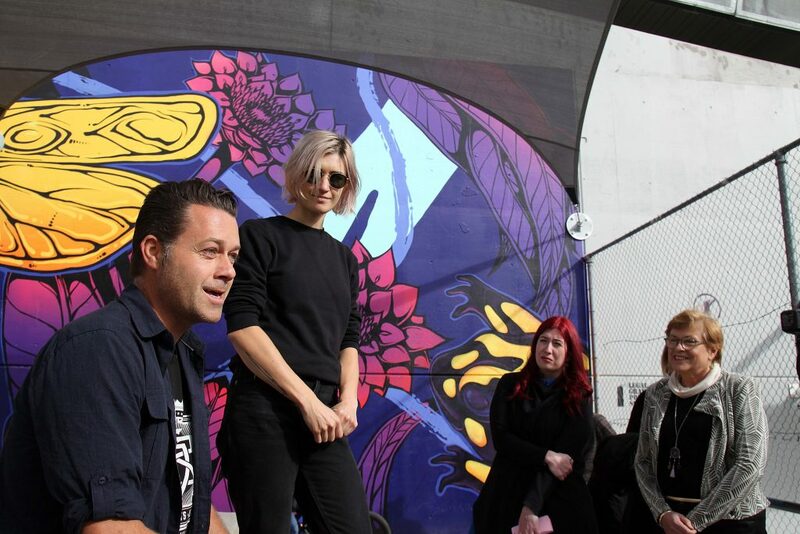 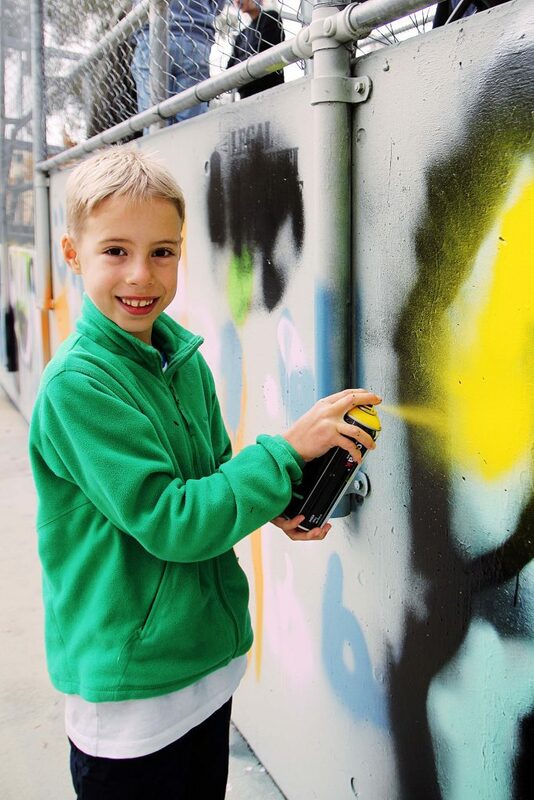 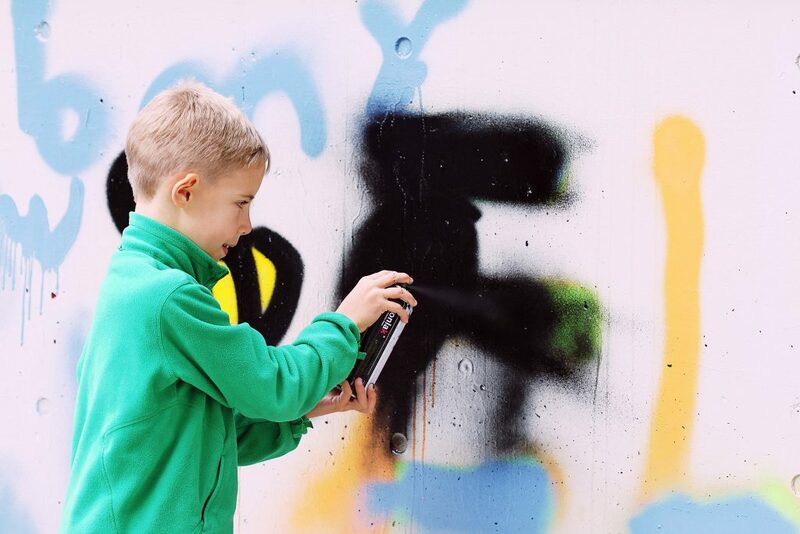 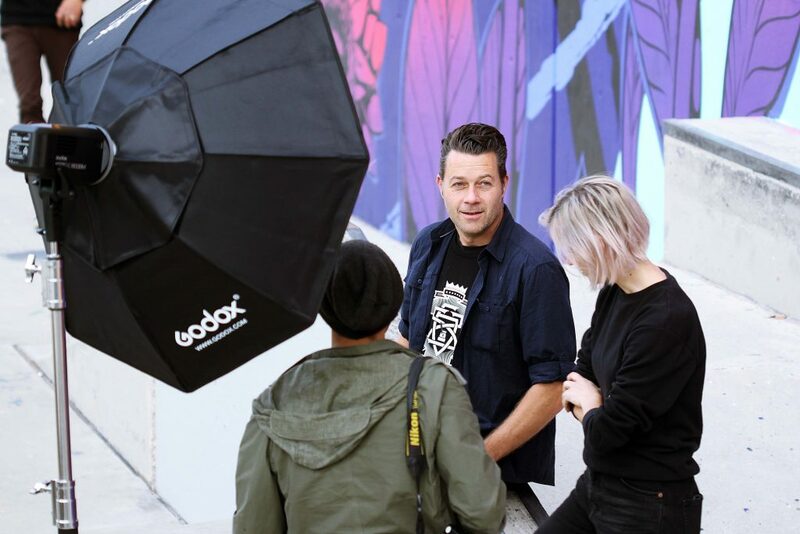 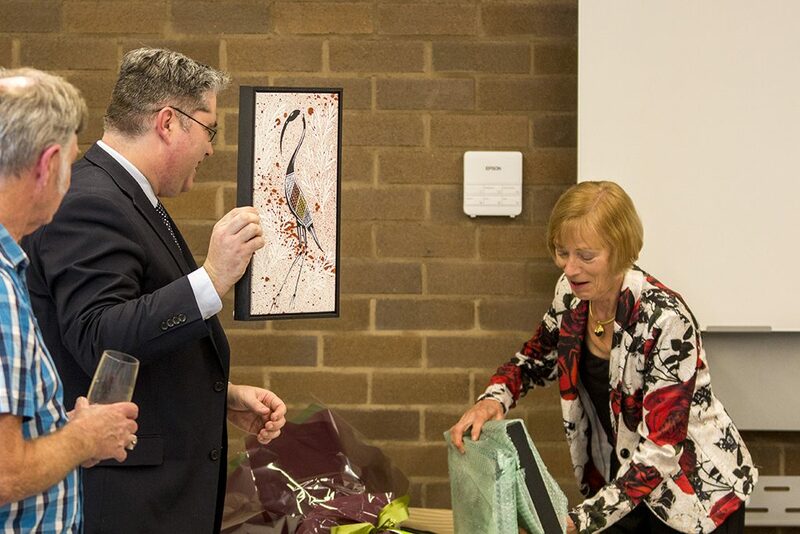 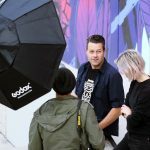 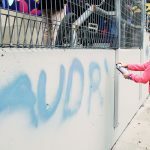 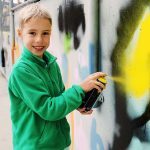 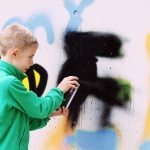 Artists Tim Phibs and George Rose were selected as winners of In The City Canberra’s Graffiti Artwork Competition. 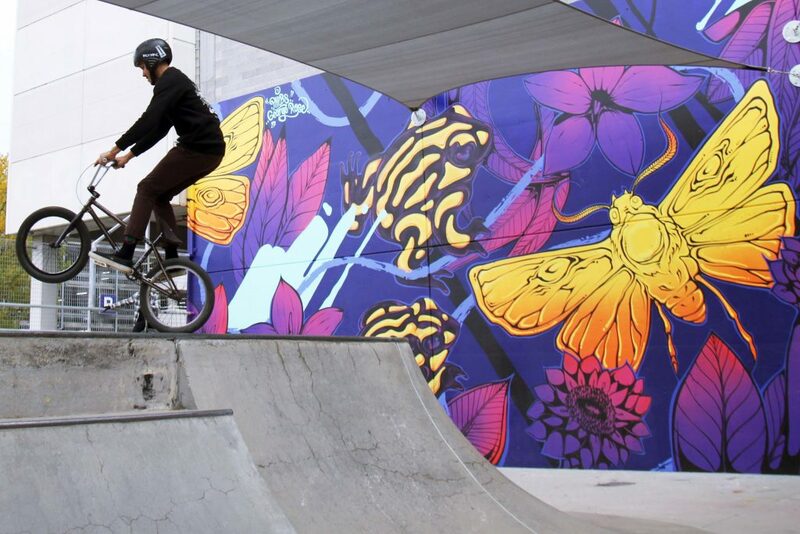 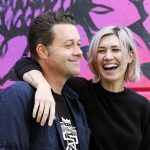 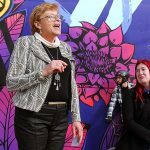 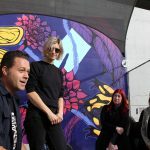 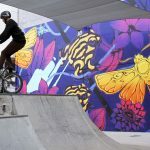 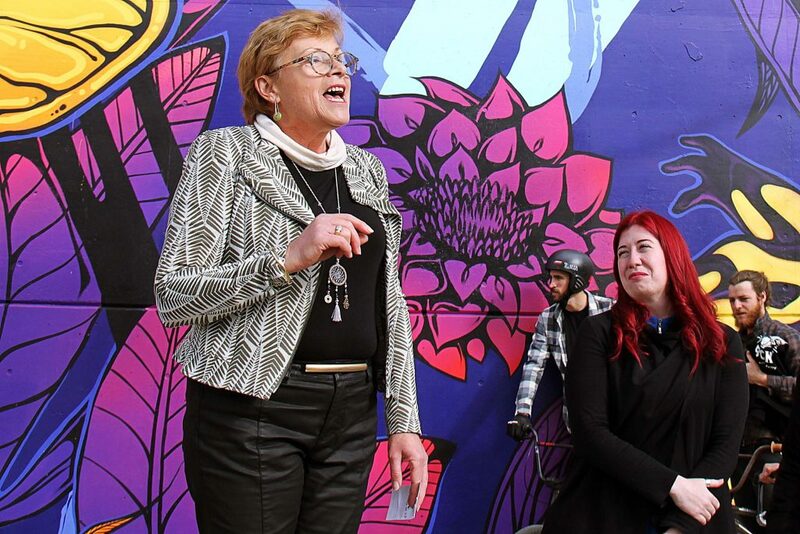 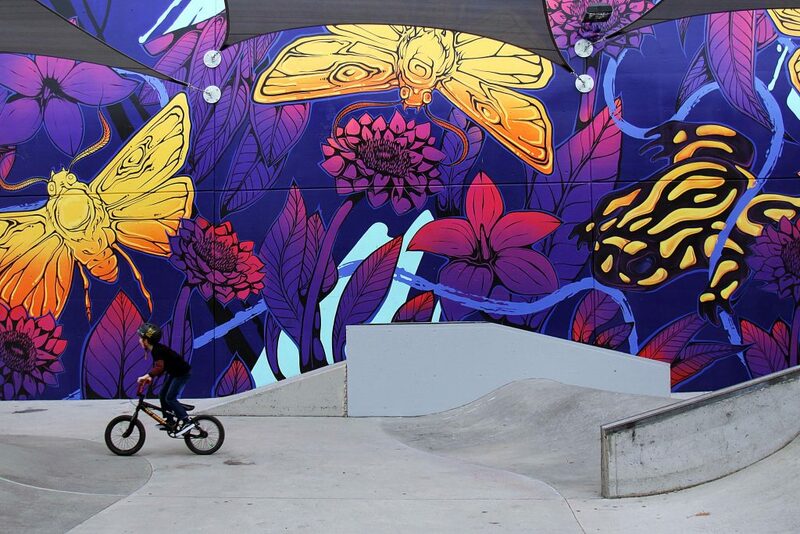 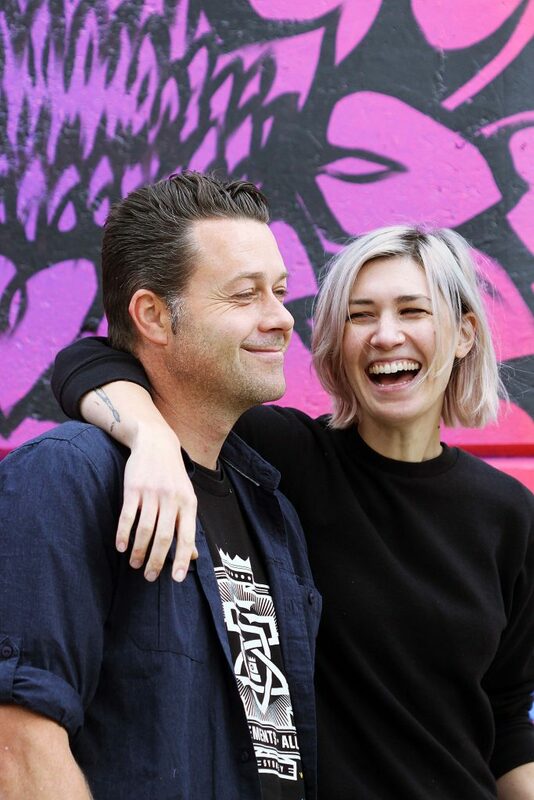 Their amazing design painted at the skate park outside Anglicare’s Club 12/25 depicts flora and fauna native to the local area as well as an abstract approach to reflect the movement and flow of skate and BMX culture. 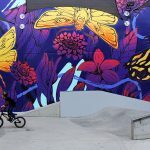 “The line work weaves in and through the local native flora and fauna – in a similar way to how someone moves around obstacles at a park with splashes of bright blue injecting energy and adding depth” says artist George Rose. 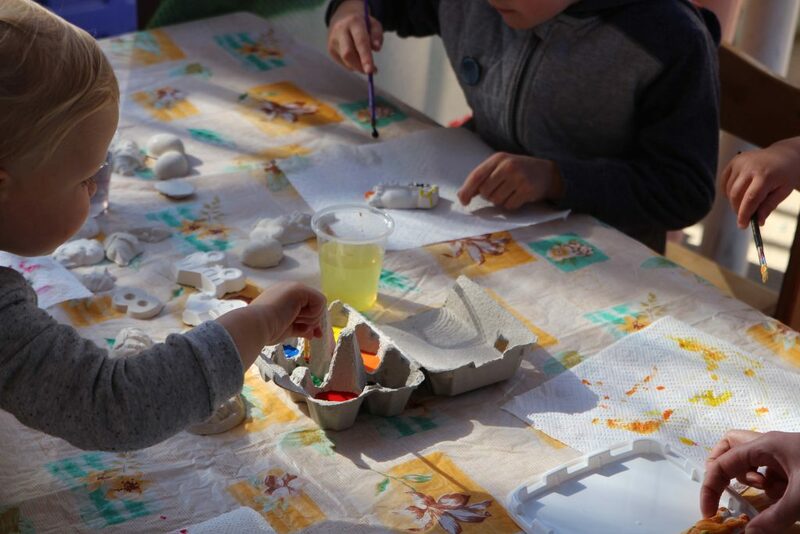 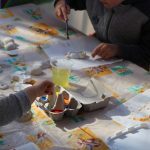 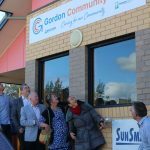 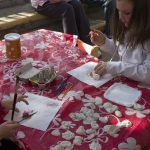 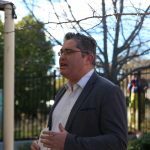 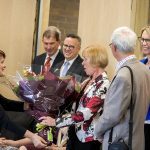 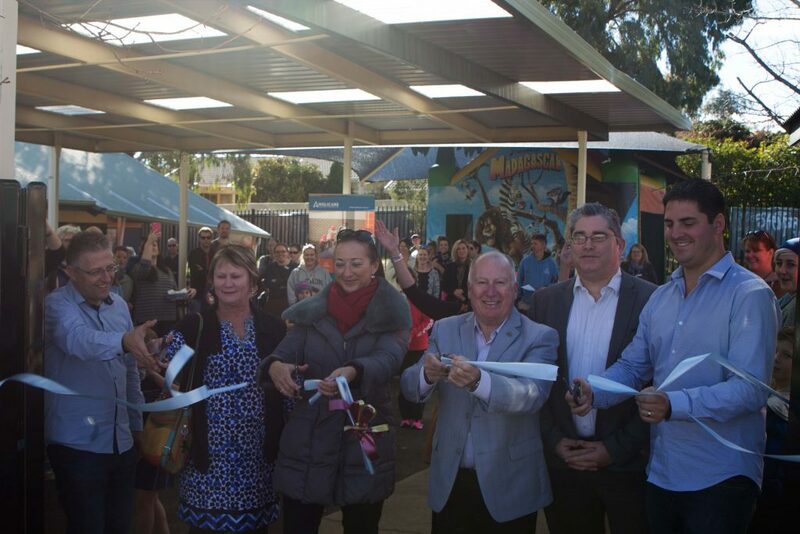 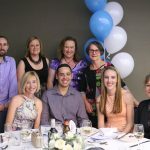 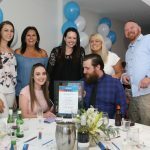 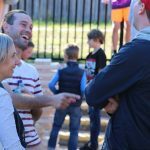 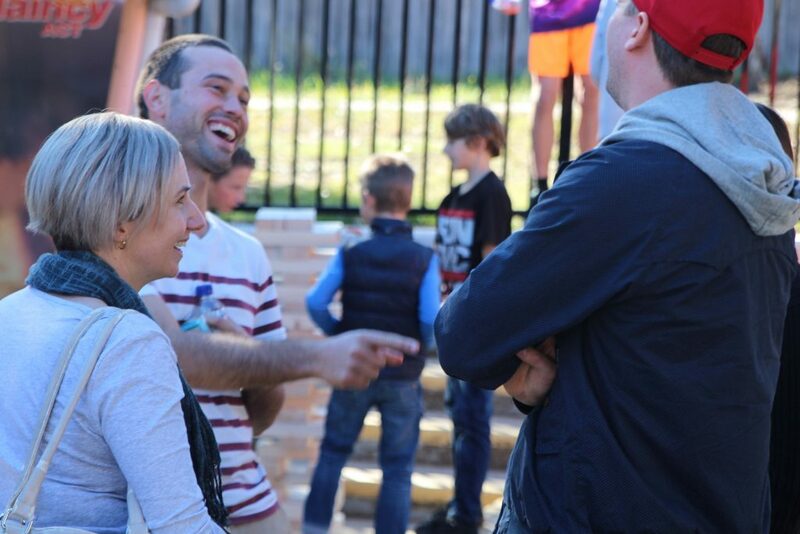 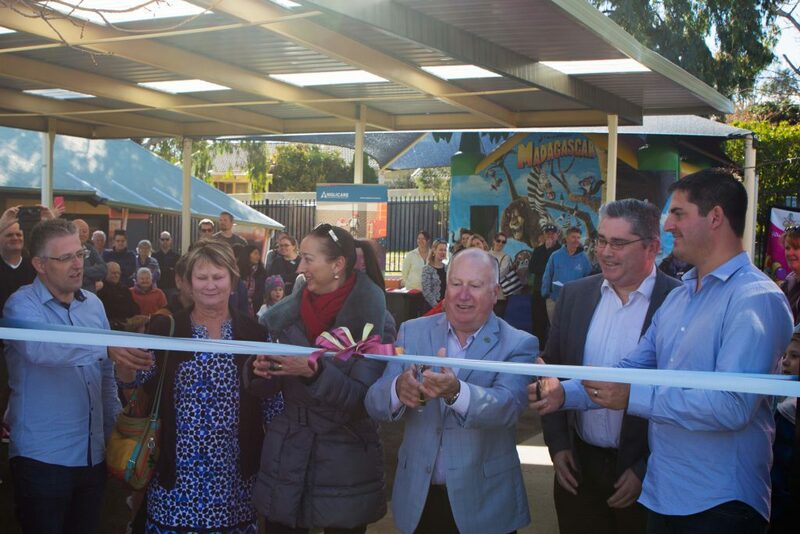 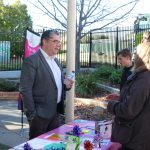 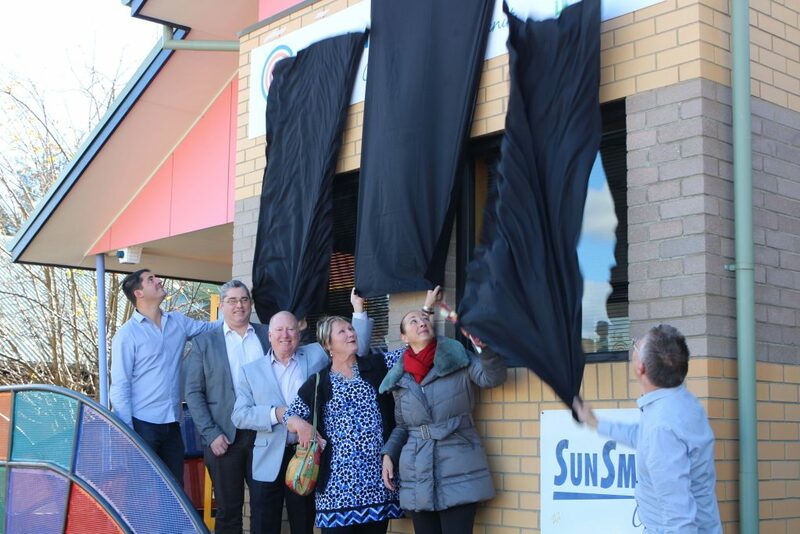 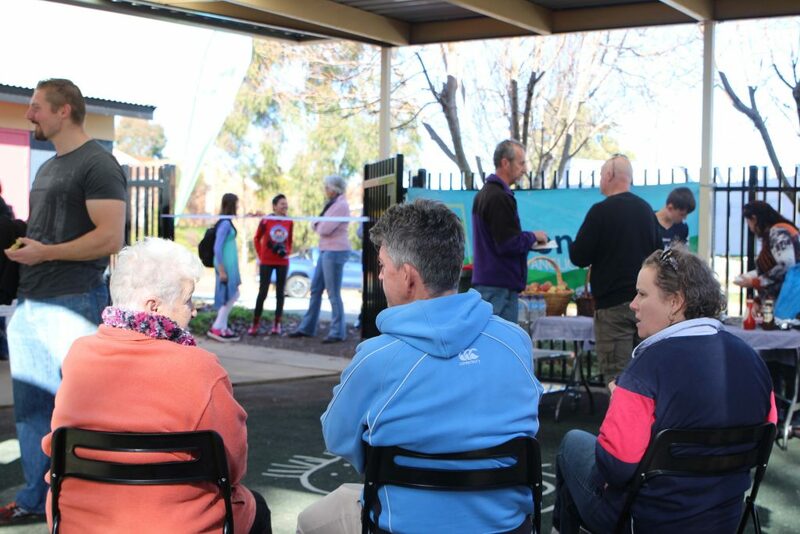 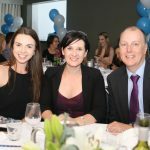 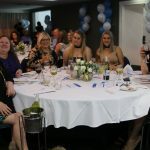 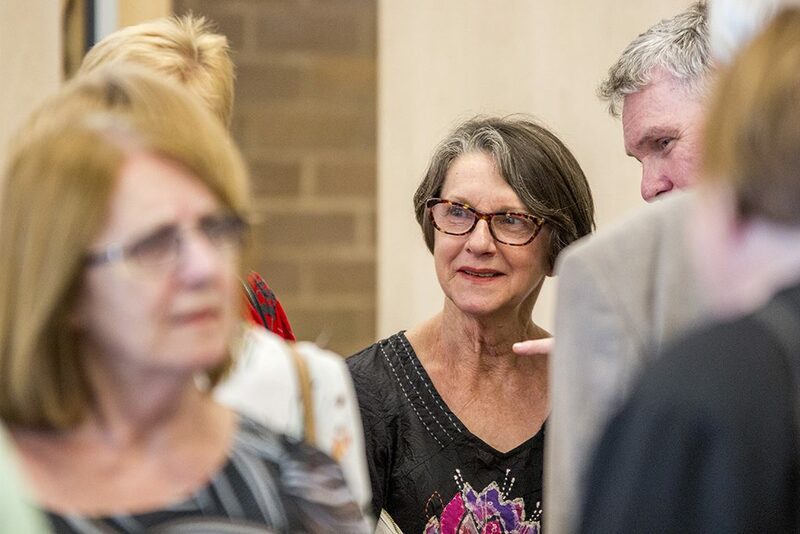 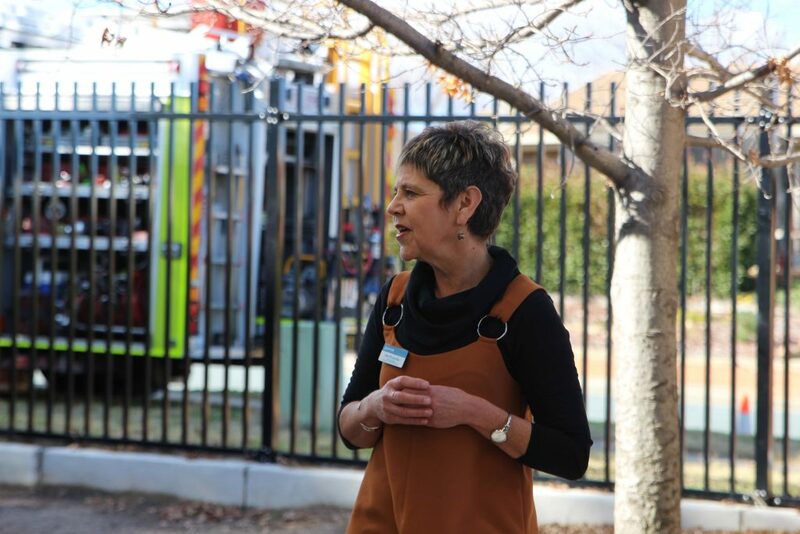 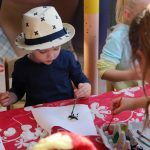 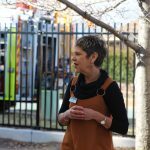 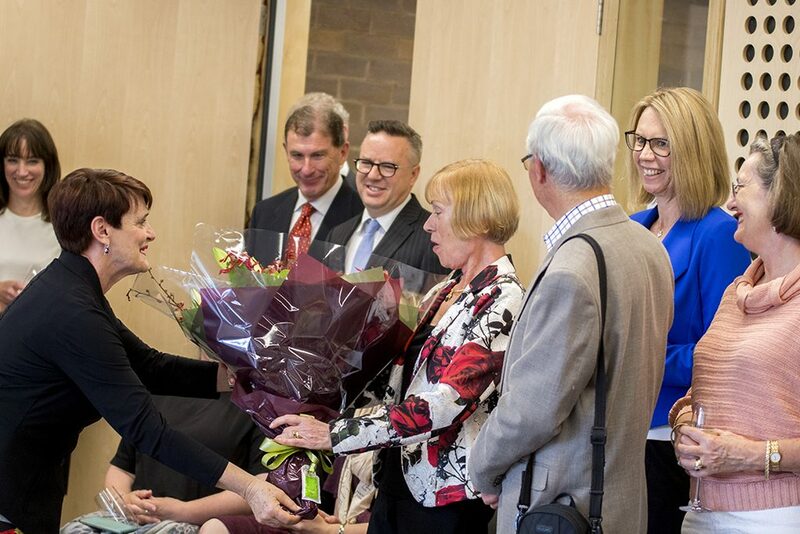 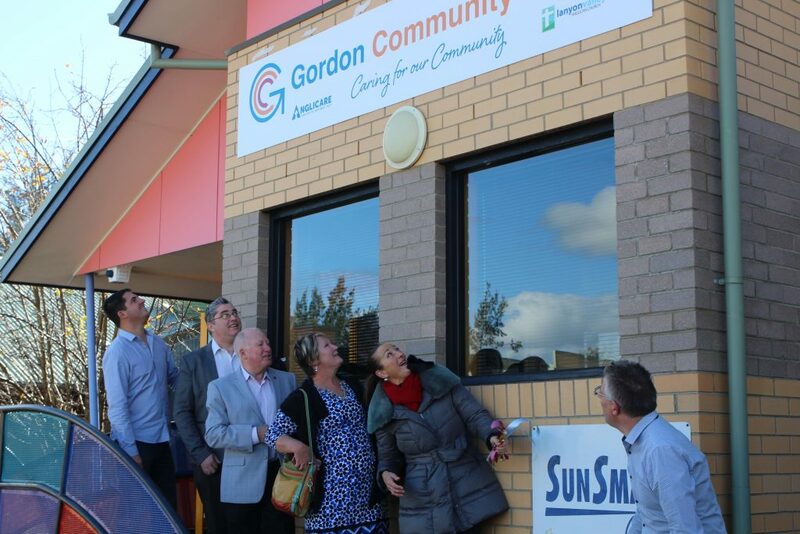 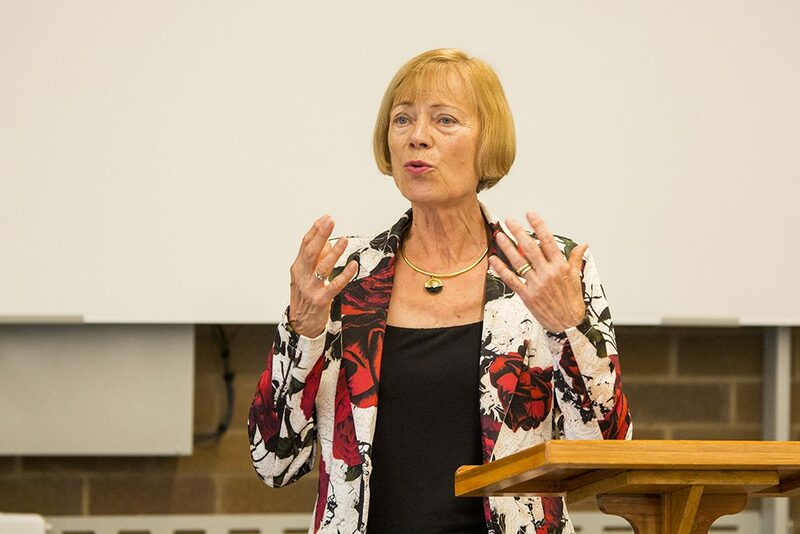 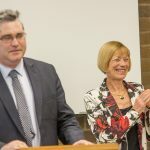 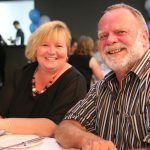 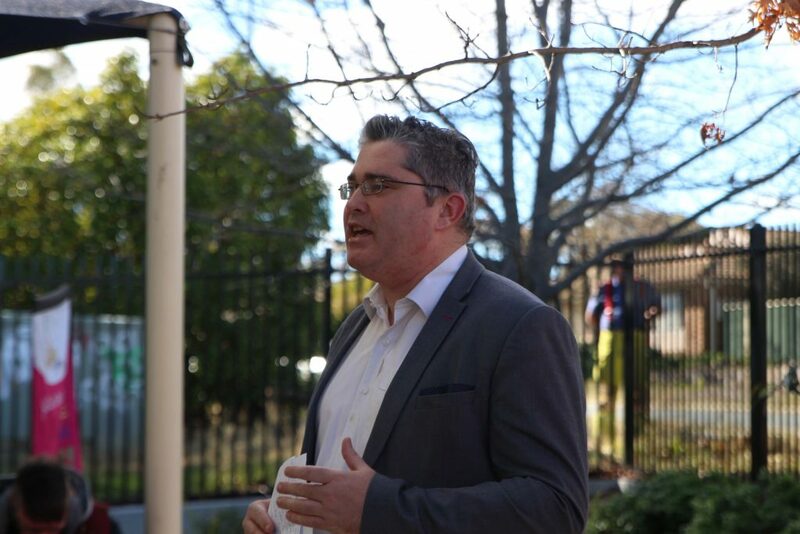 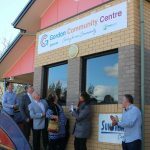 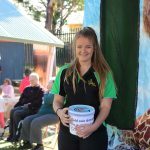 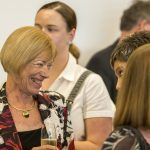 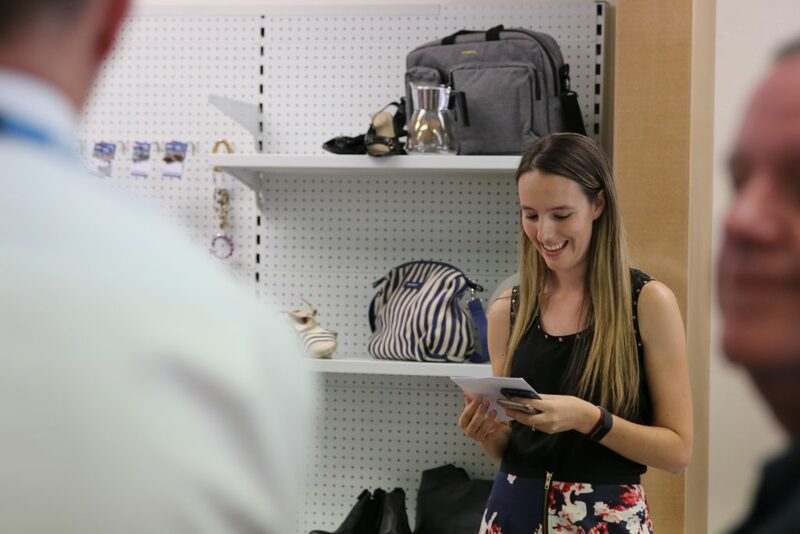 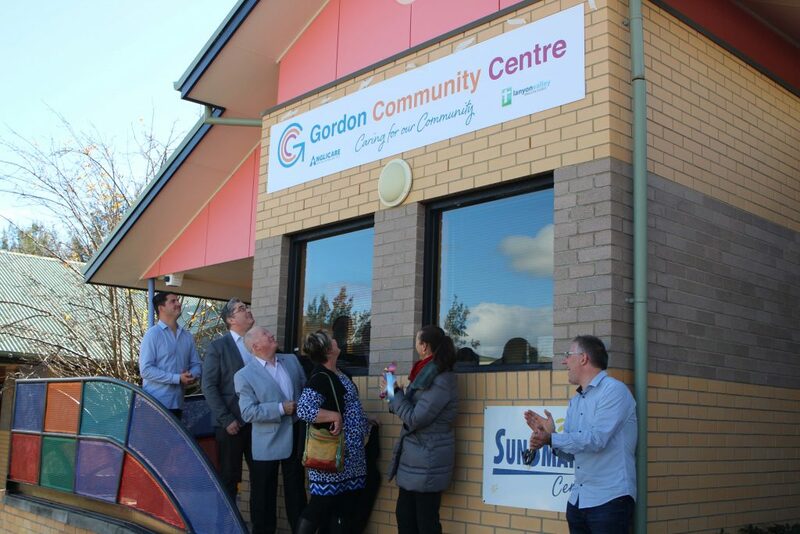 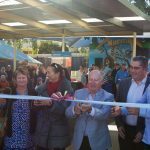 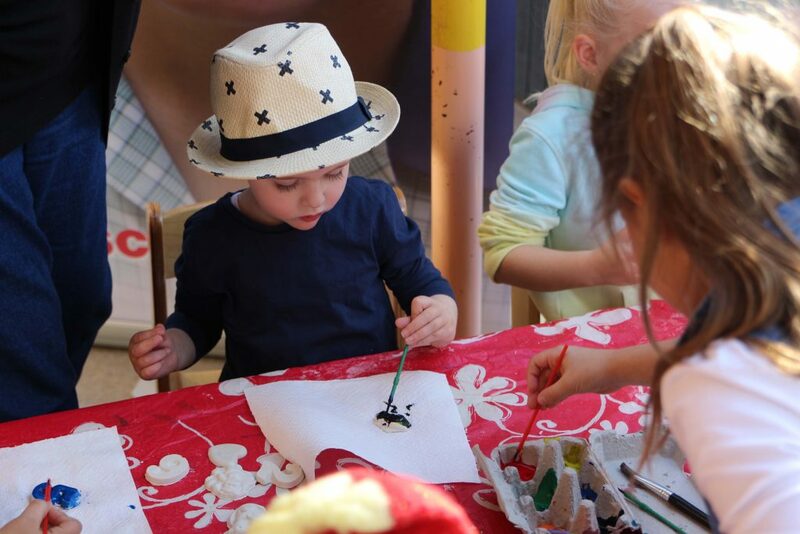 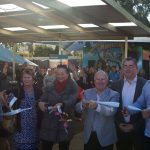 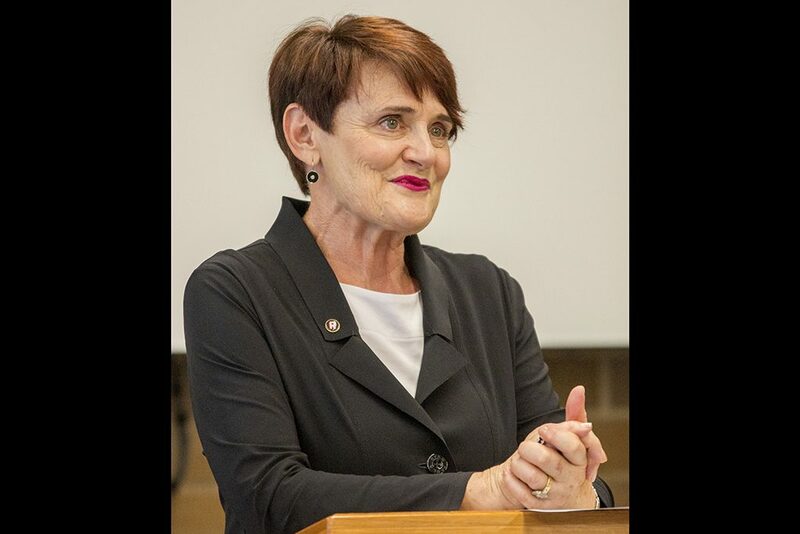 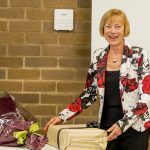 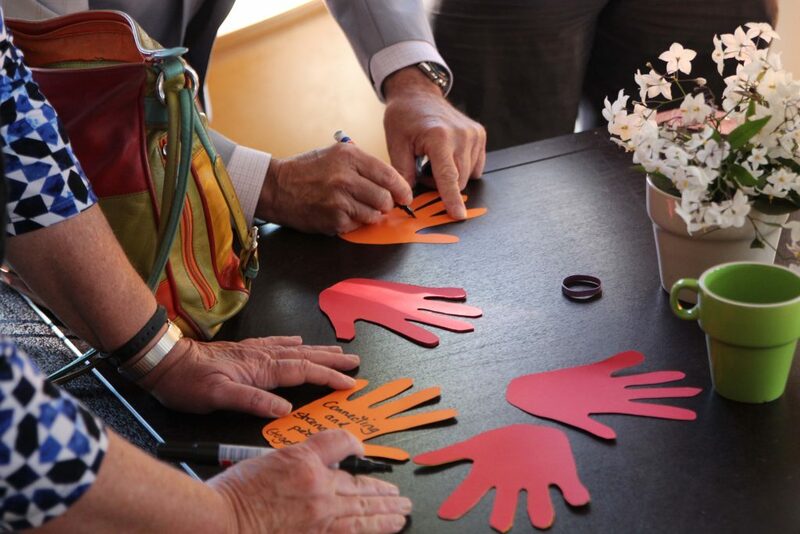 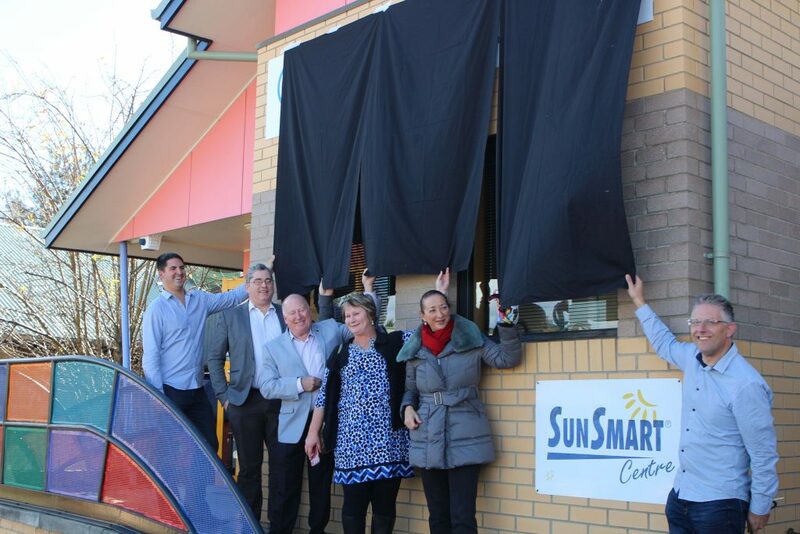 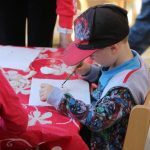 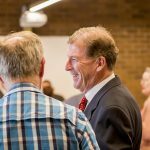 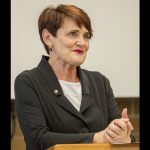 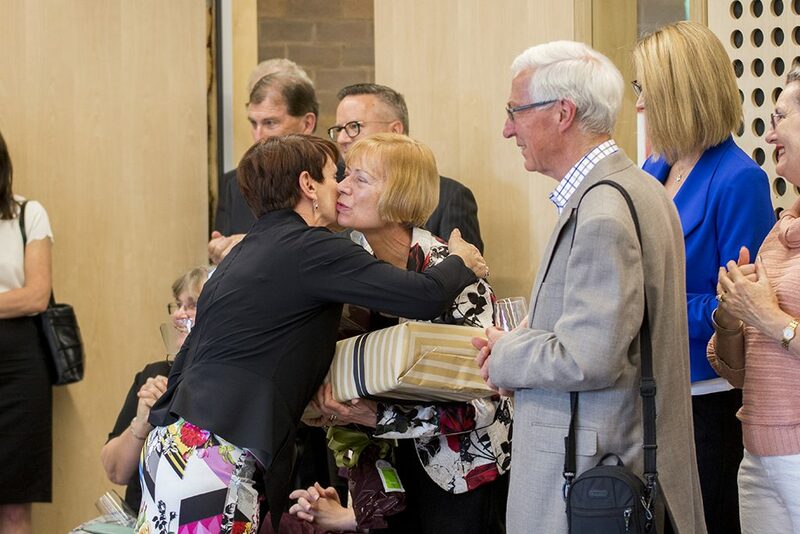 Residents in and around the Canberra suburb of Gordon can look forward to a greater level of community support with the launch of the Gordon Community Centre. 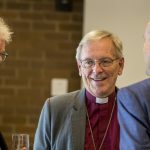 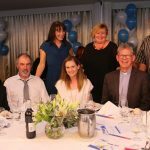 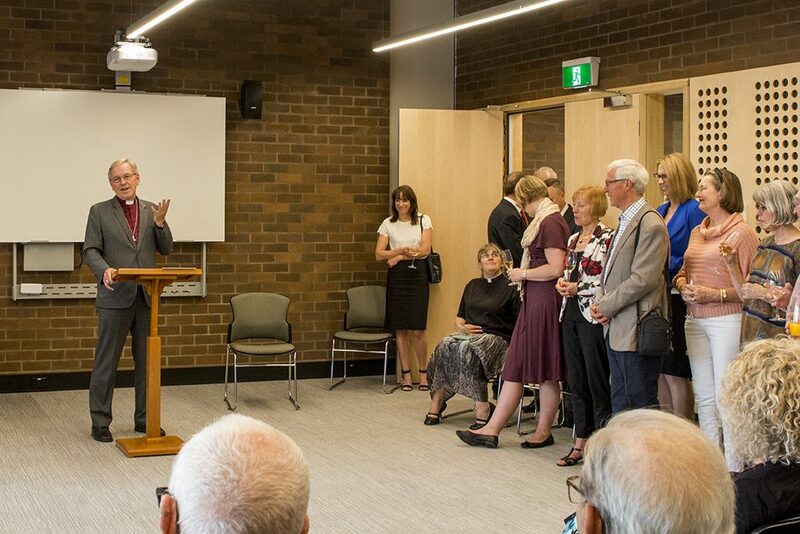 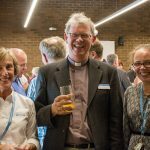 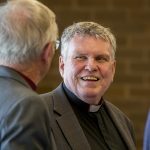 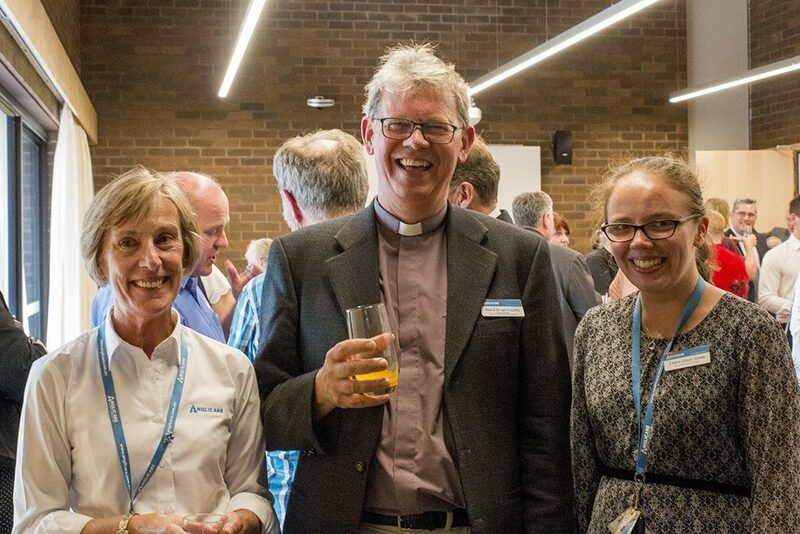 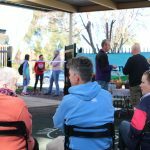 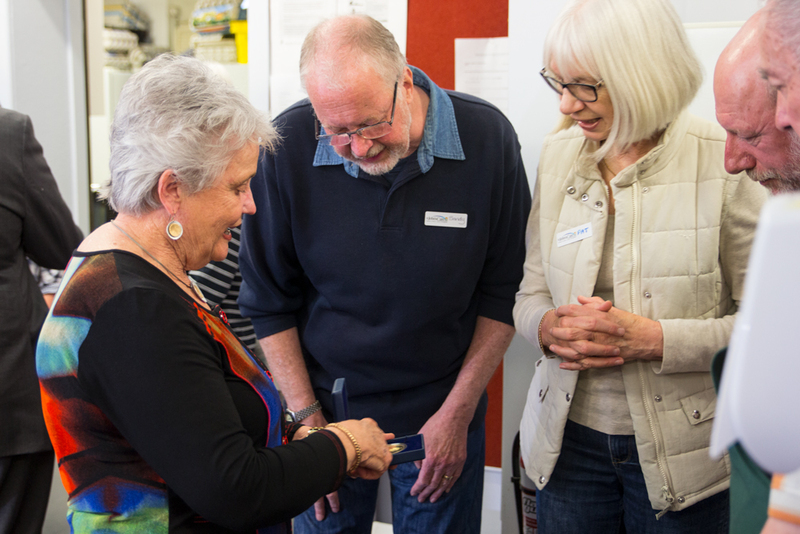 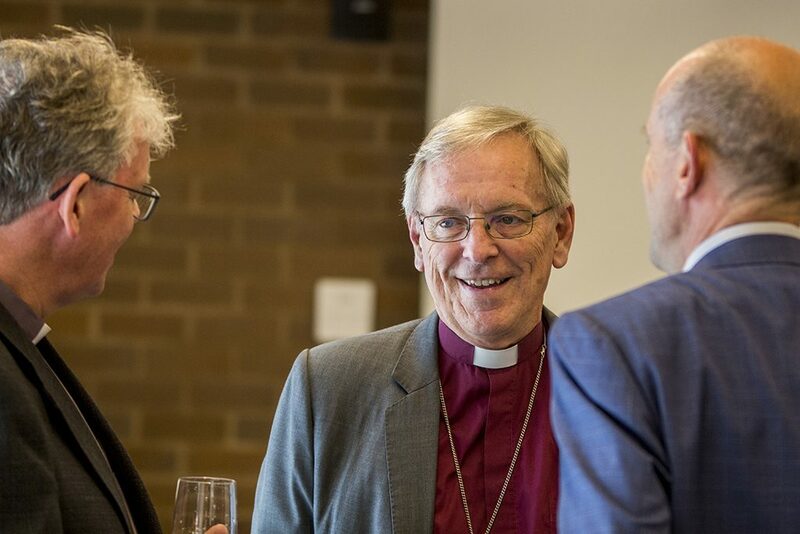 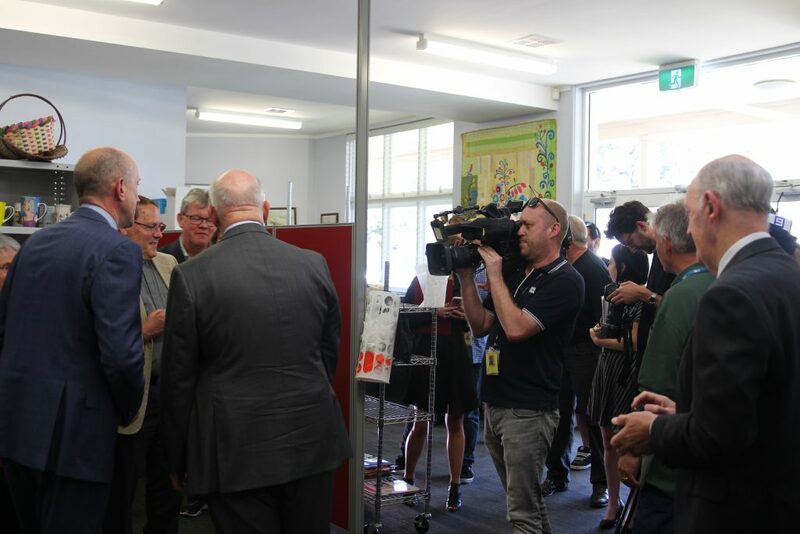 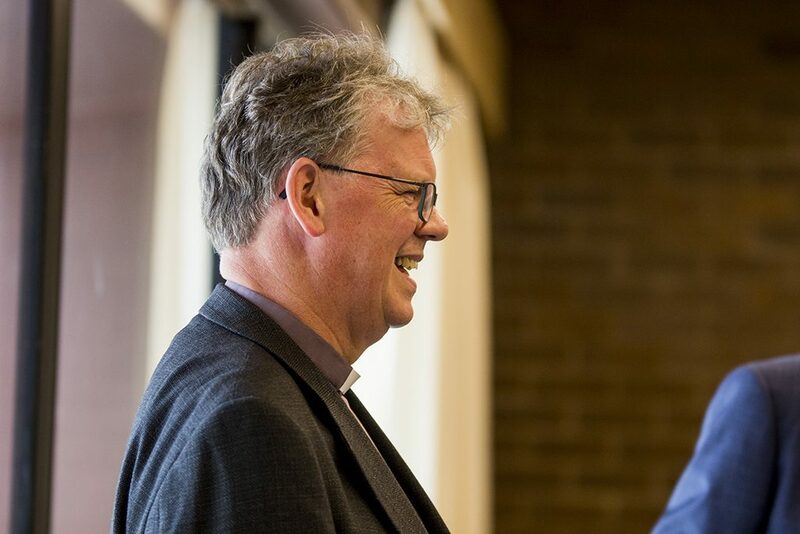 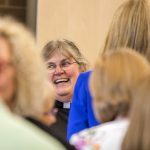 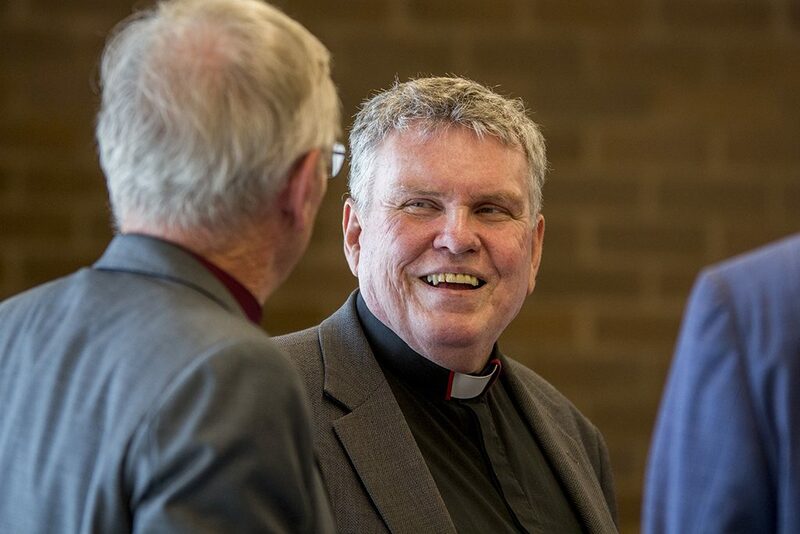 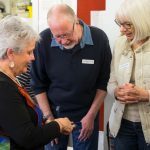 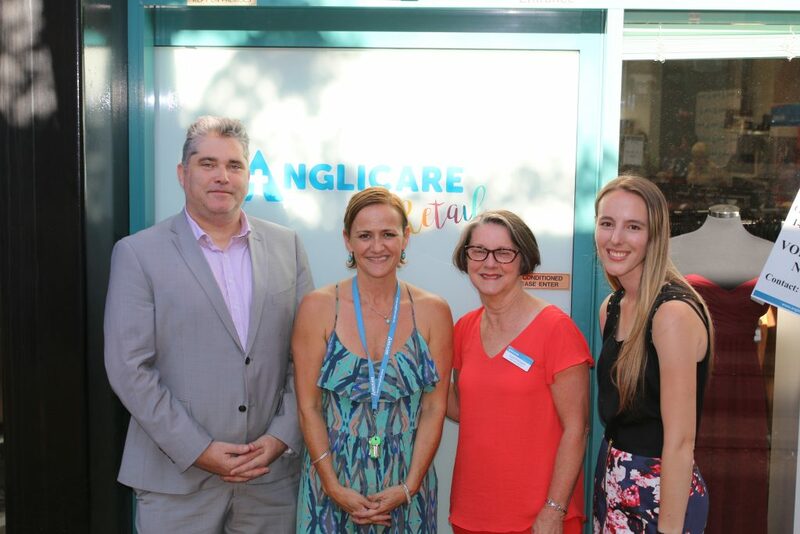 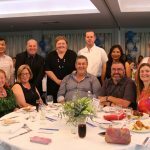 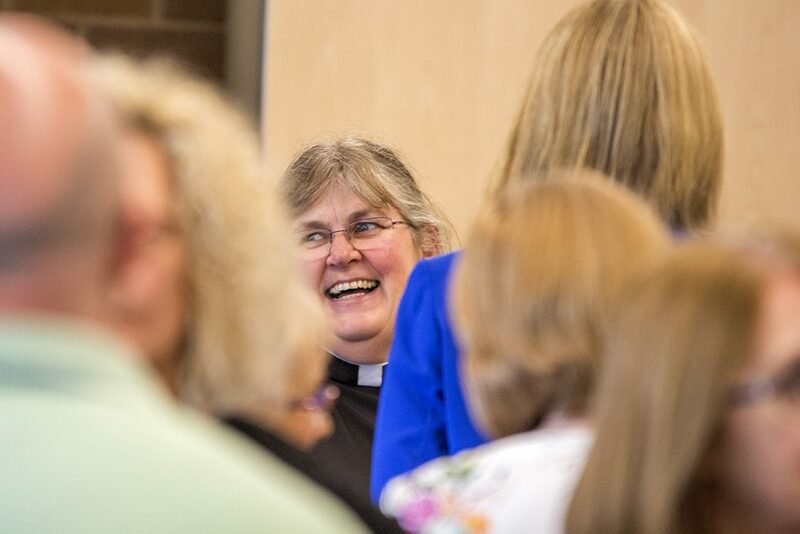 Saturday 3 June marked the official launch of the centre which is a partnership between Anglicare and the Lanyon Valley Anglican Church. 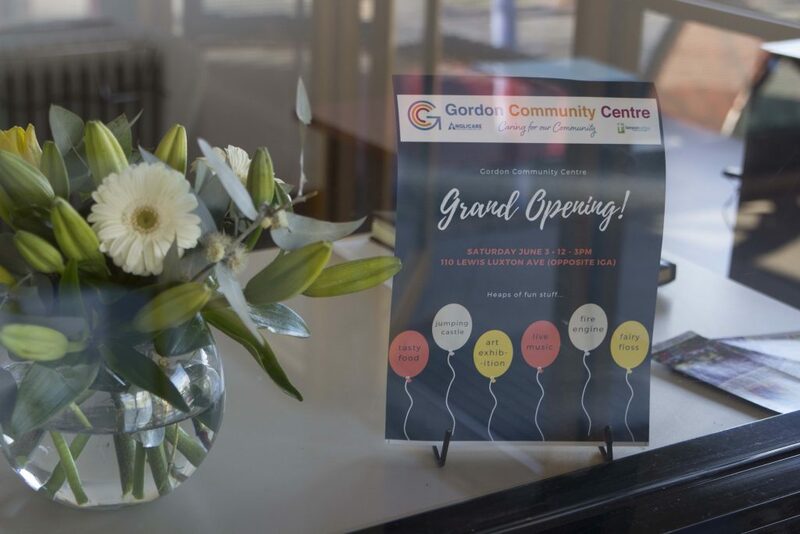 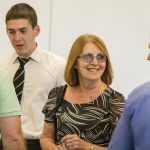 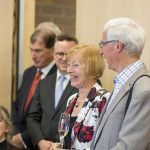 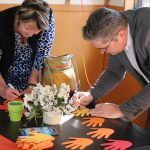 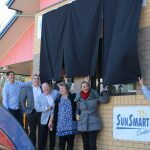 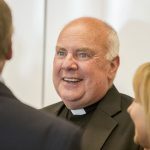 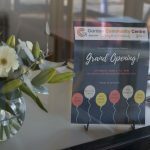 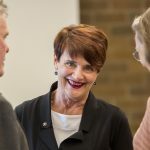 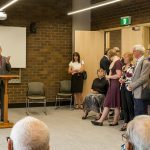 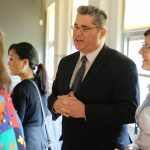 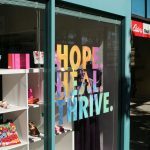 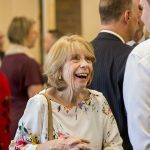 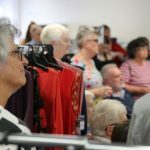 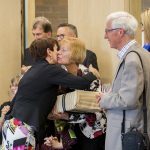 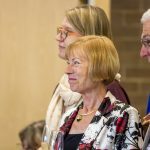 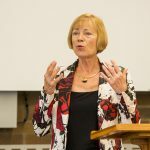 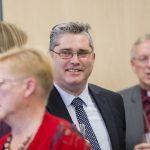 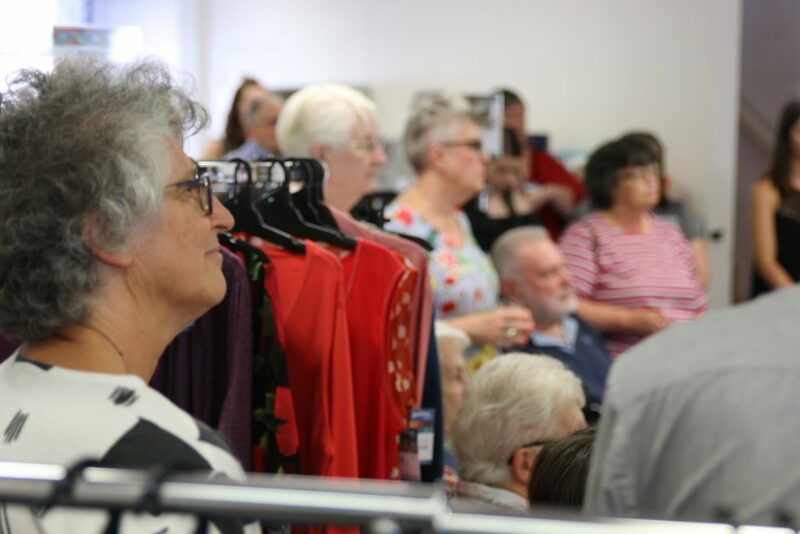 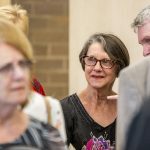 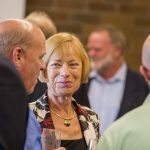 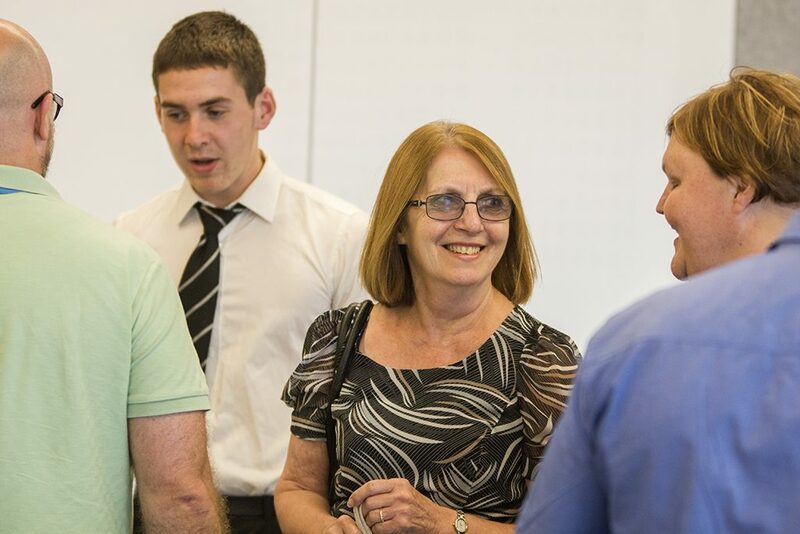 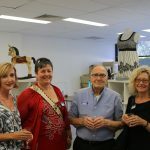 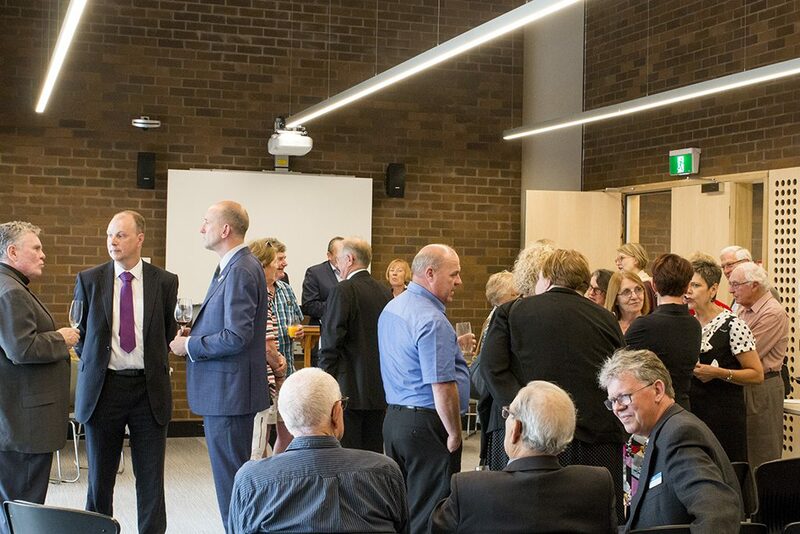 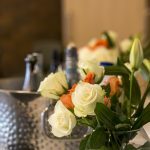 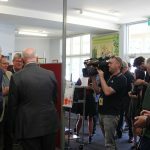 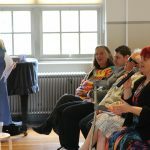 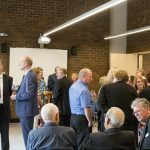 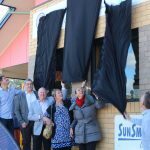 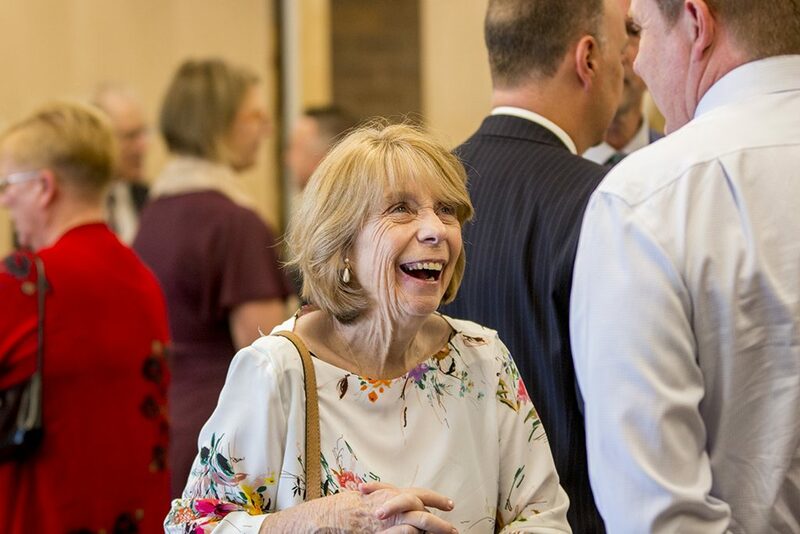 Community members, staff, volunteers and local politicians gathered to mark the occasion and celebrate what this new centre will mean for the community. 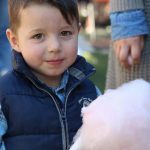 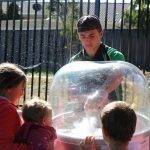 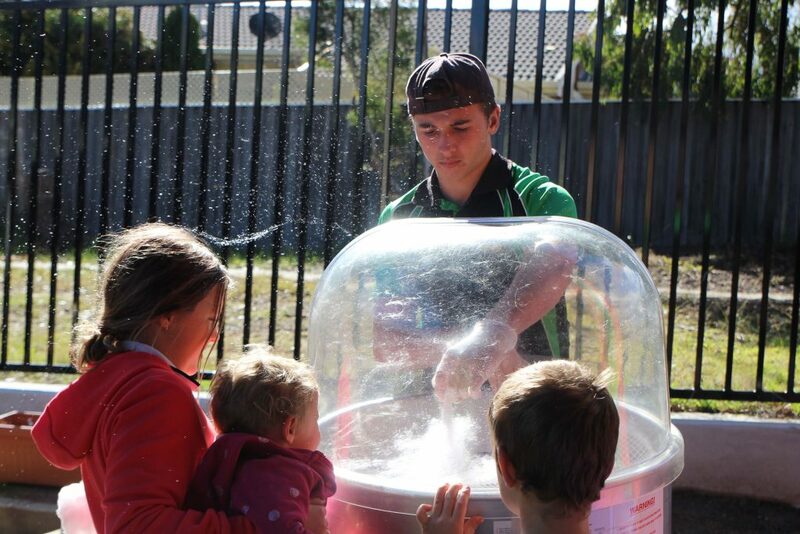 Fairy floss was a popular choice for the kids! 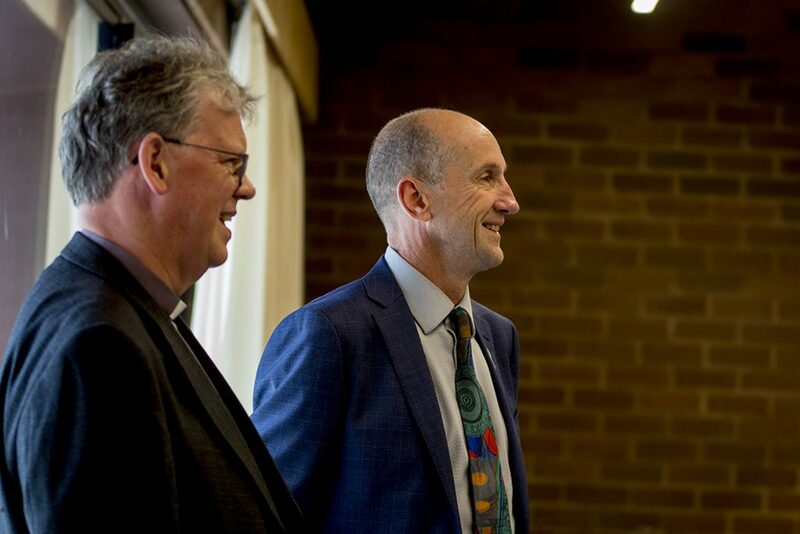 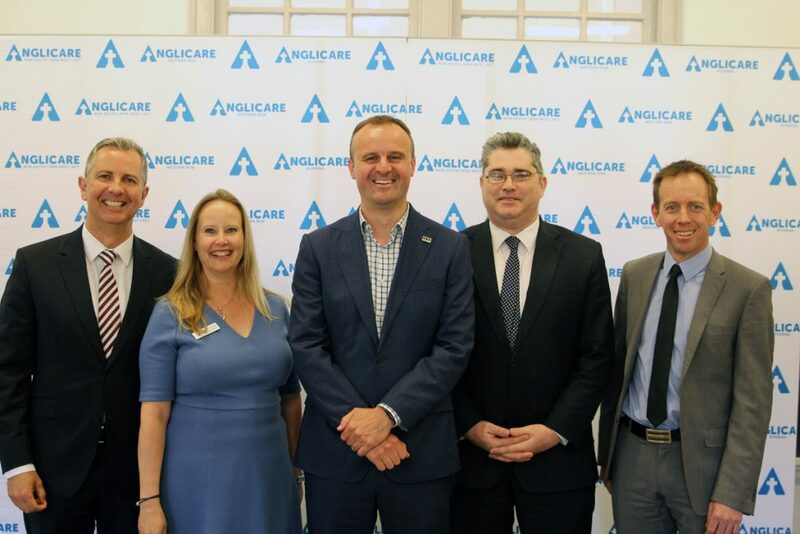 Local MLAs, Anglicare CEO Jeremy Halcrow and Lanyon Valley Anglicare Church Minister, Jonathon Holt. 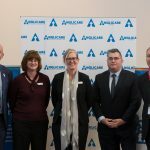 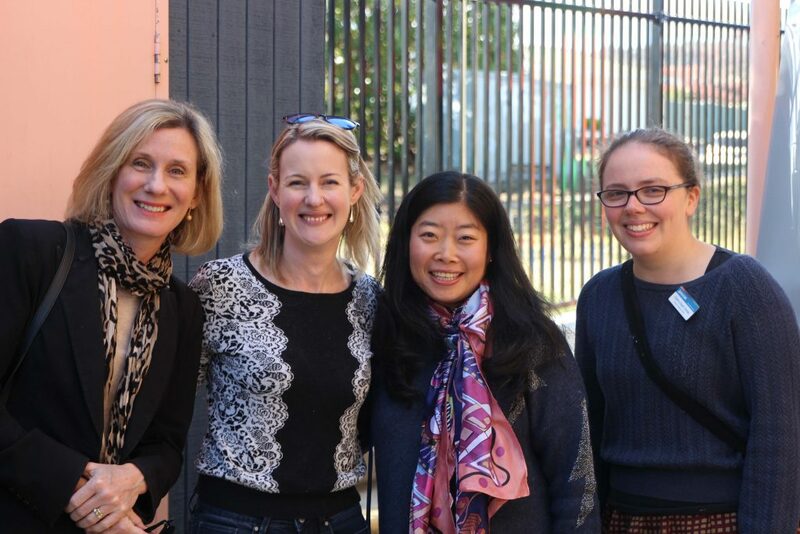 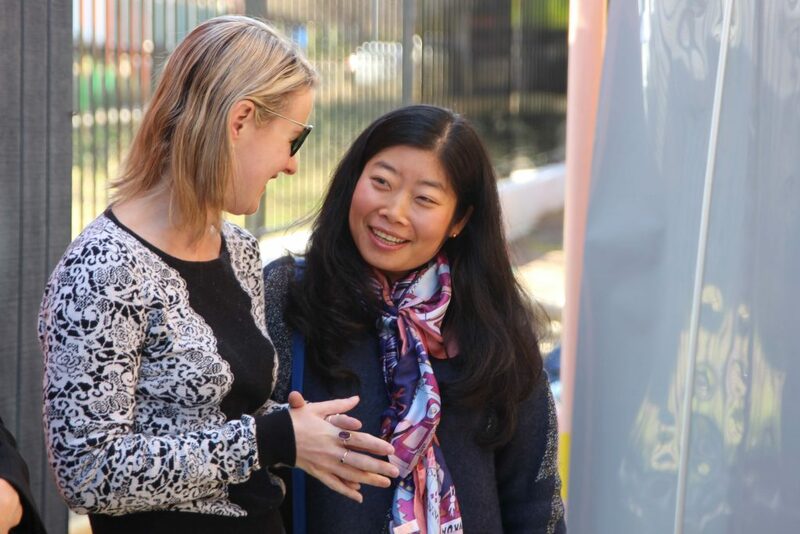 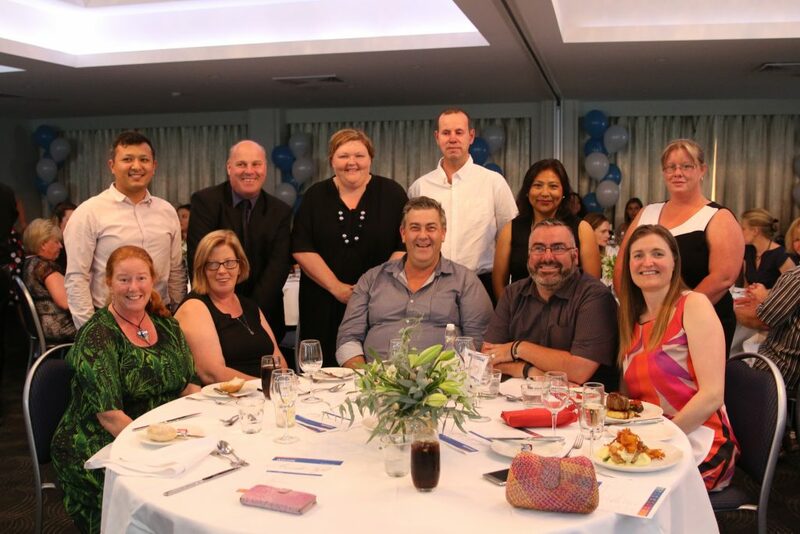 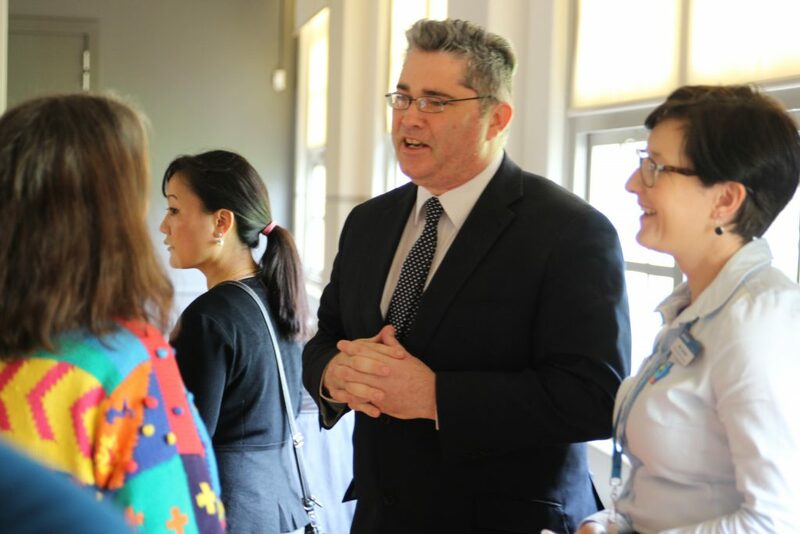 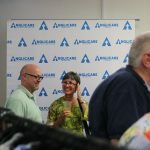 Anglicare’s executive team traveled across our regions to connect with senior staff and leaders within our organisation. 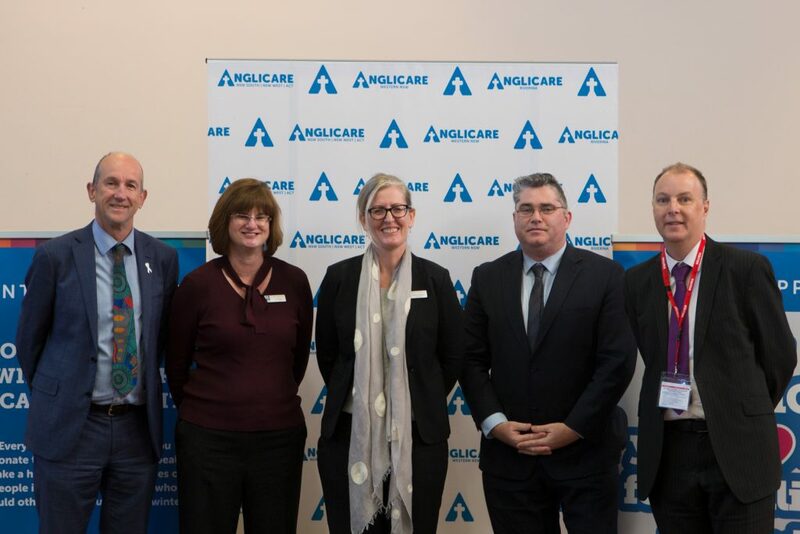 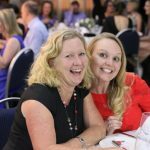 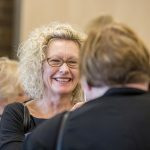 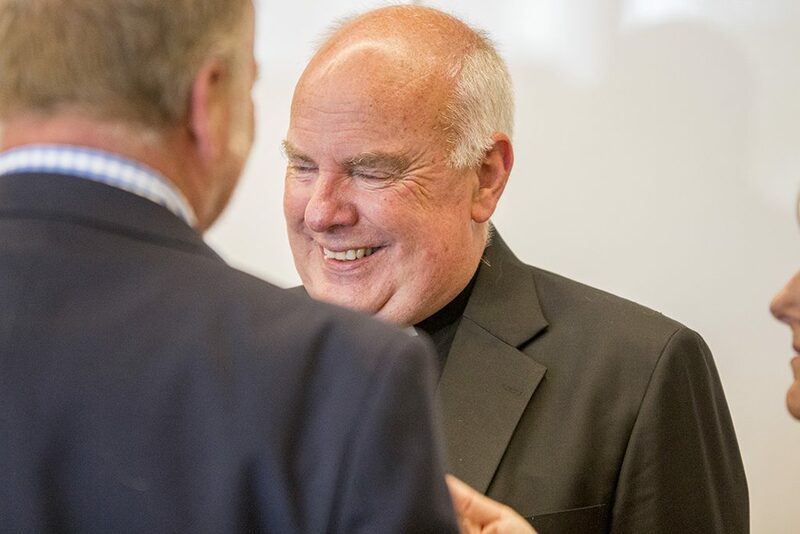 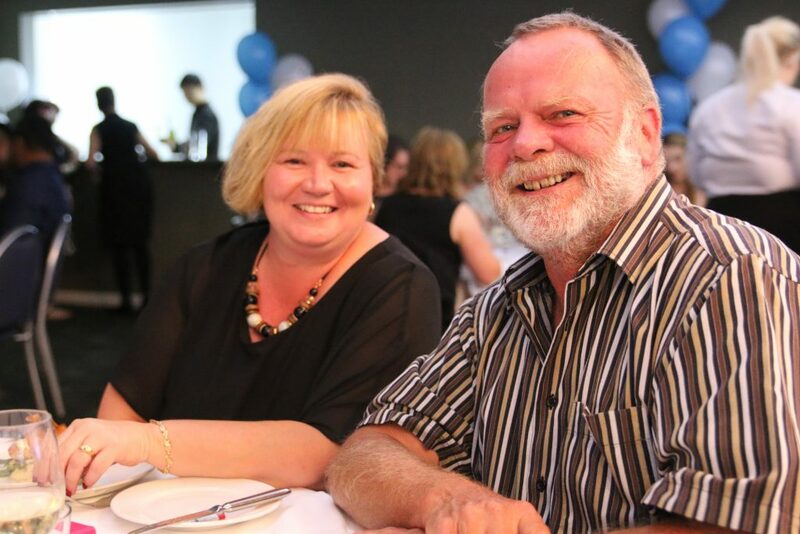 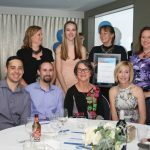 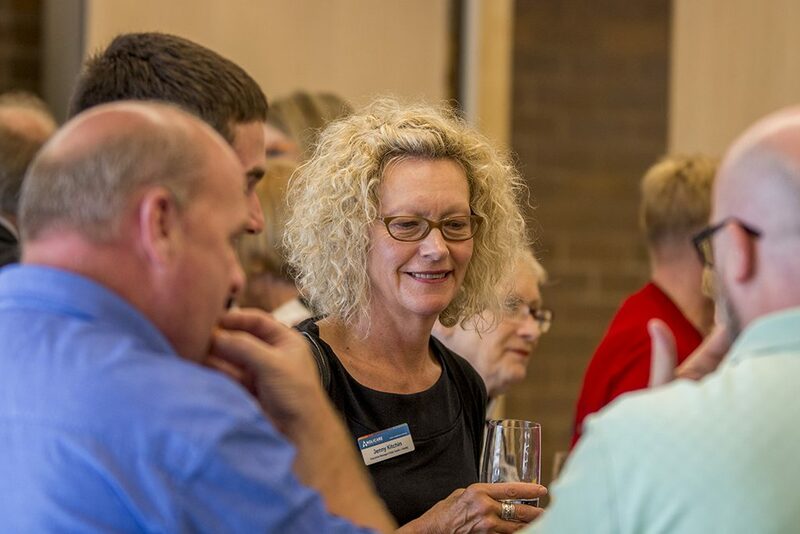 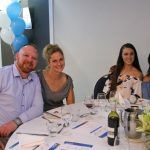 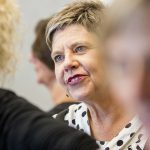 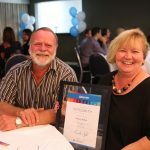 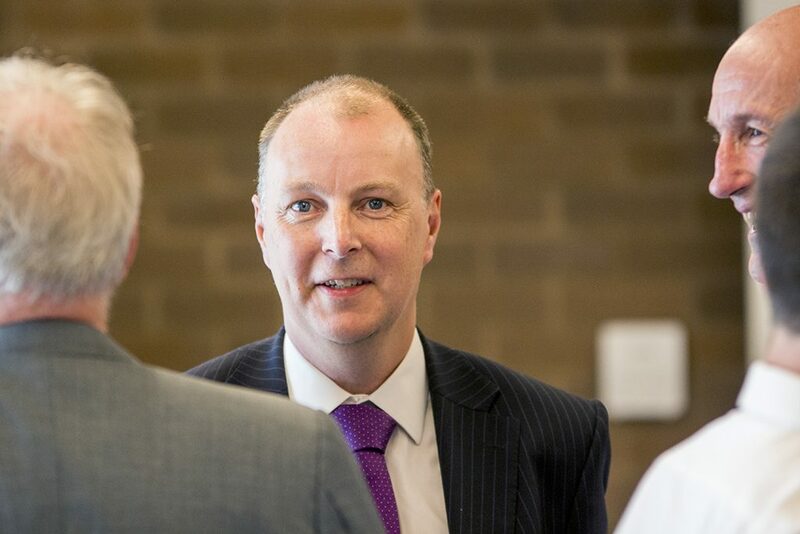 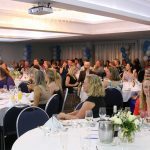 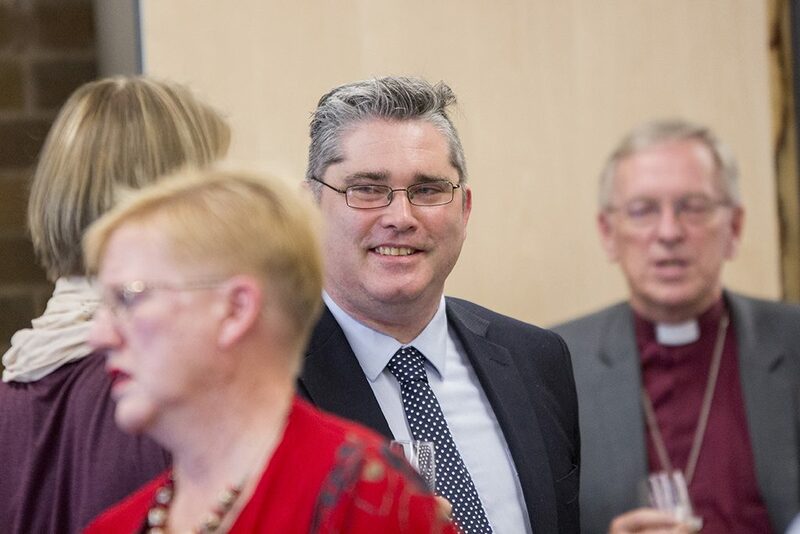 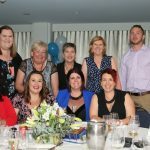 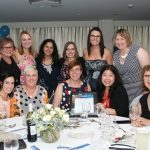 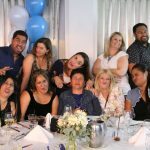 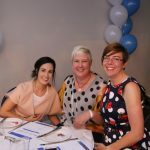 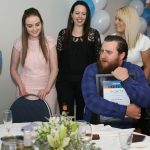 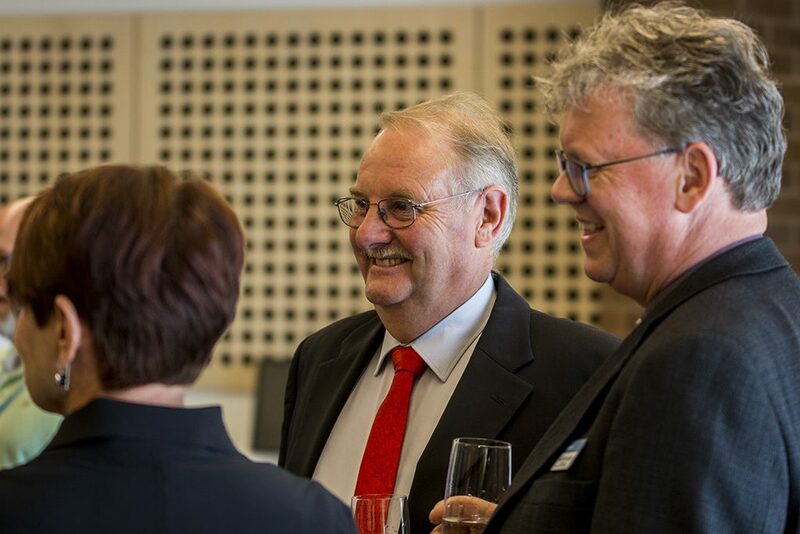 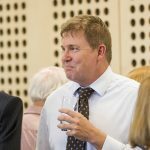 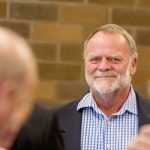 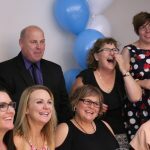 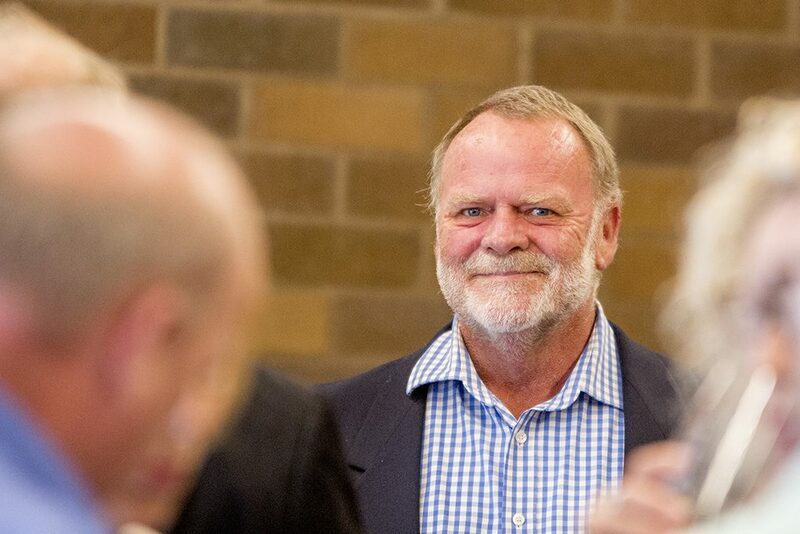 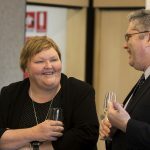 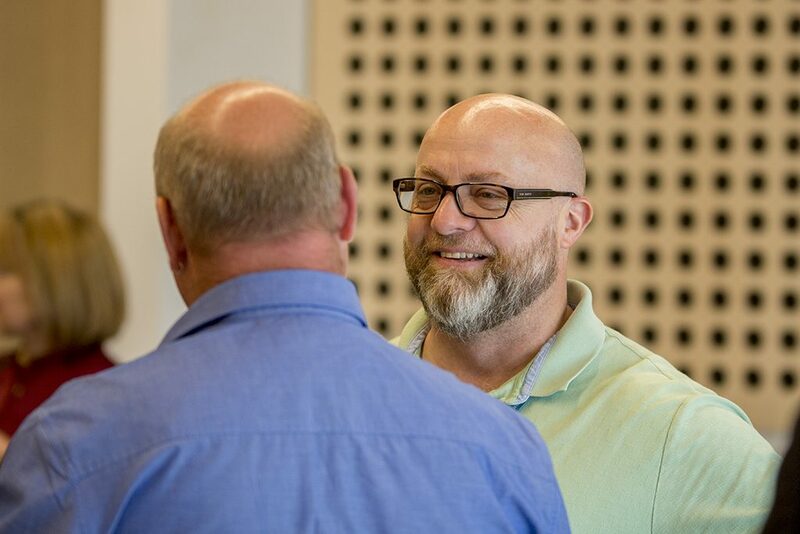 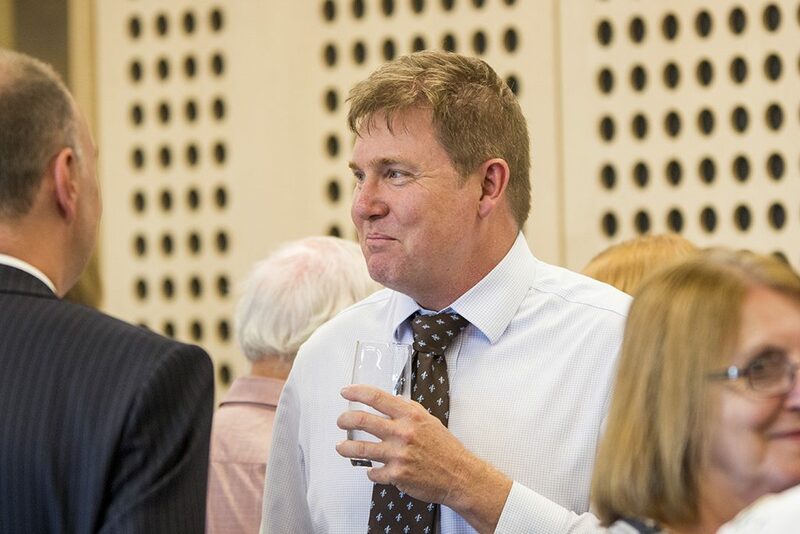 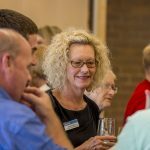 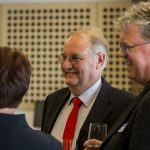 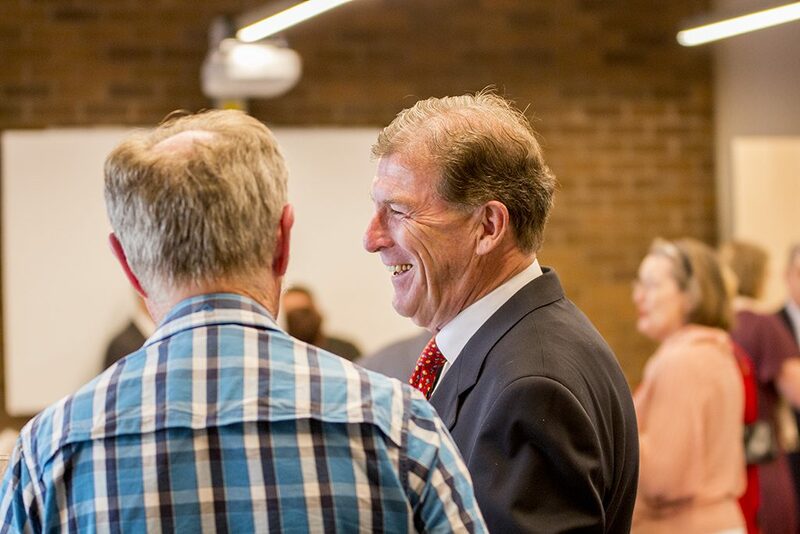 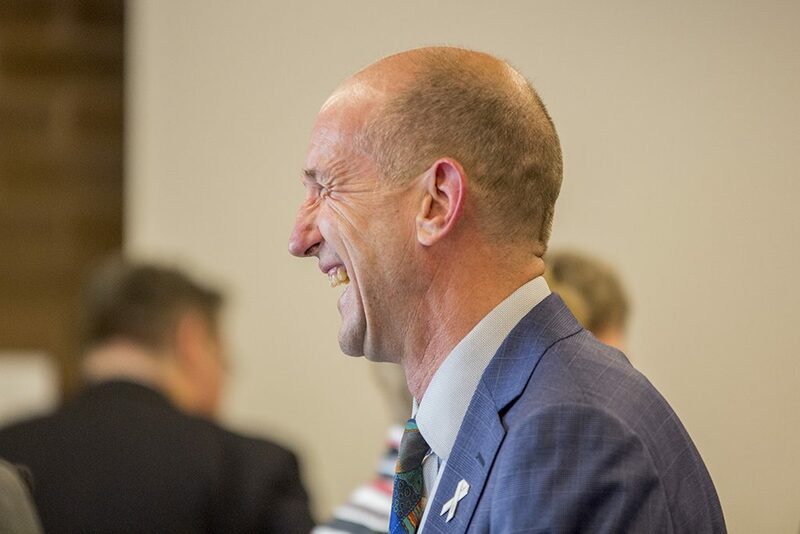 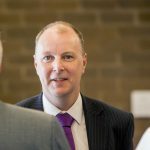 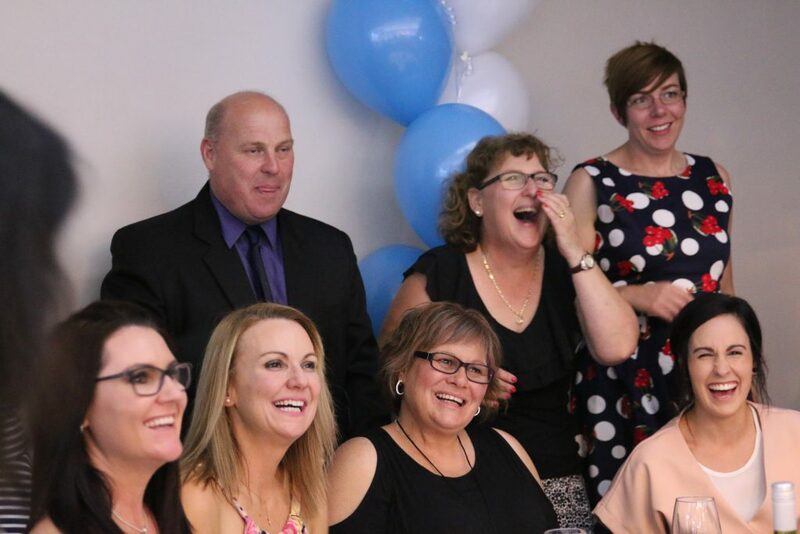 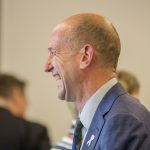 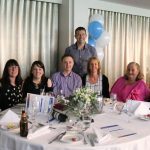 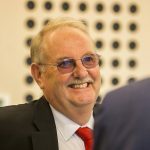 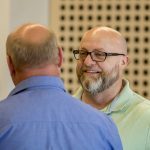 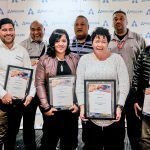 The Regional Anglicare Leadership Forums (known as RALF) are critical to communicate vision, encourage positive workplace culture and stay informed with the best community service practices. 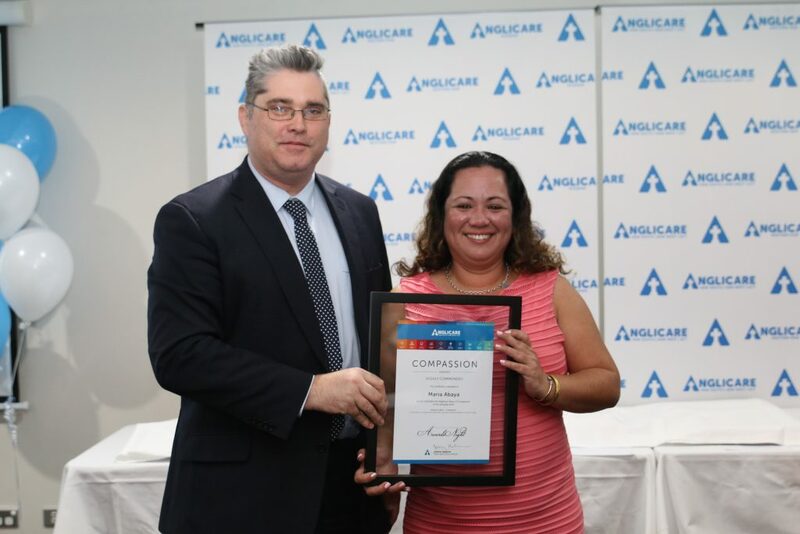 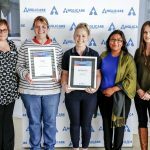 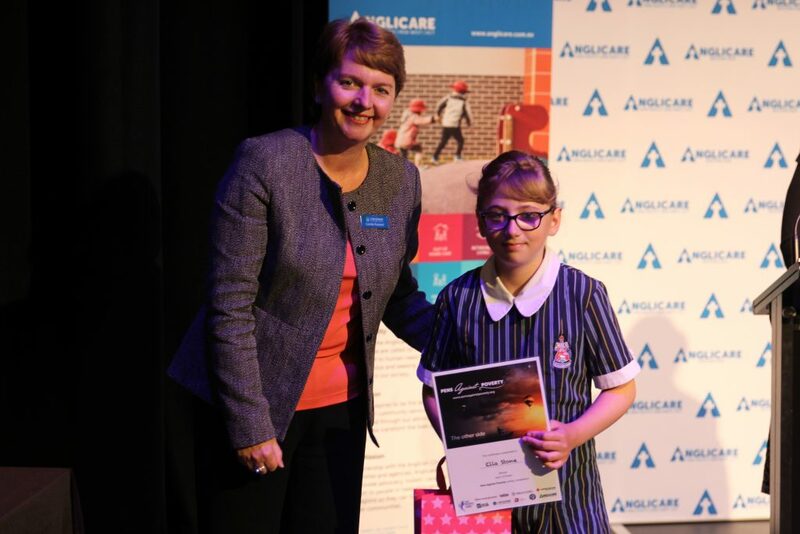 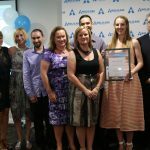 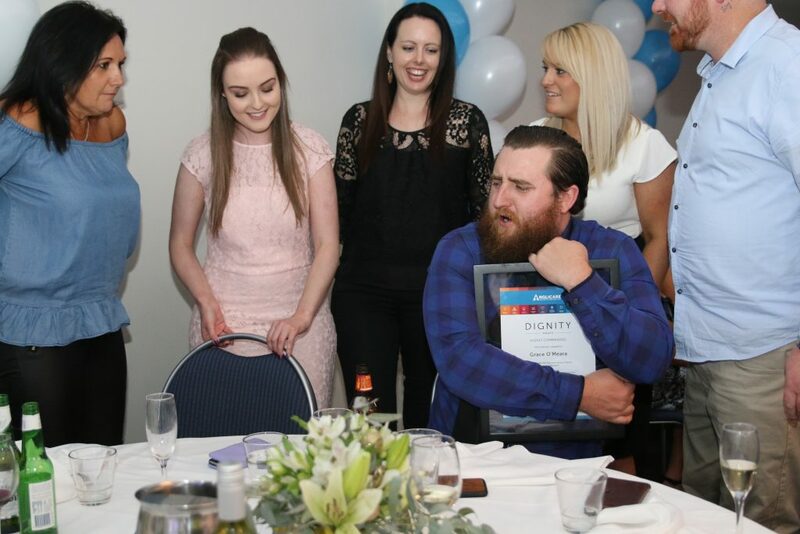 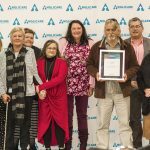 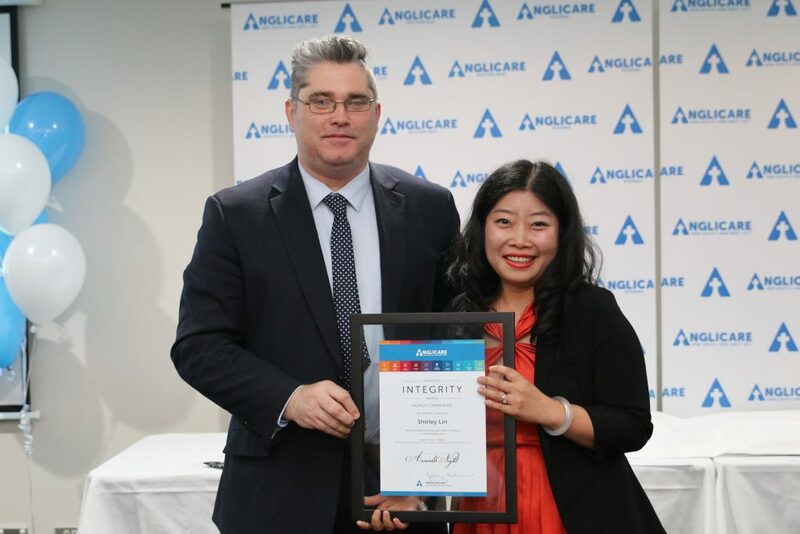 We also take time to recognise staff who action the Anglicare values in their everyday work. 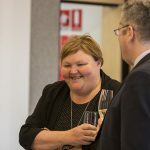 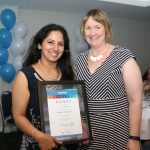 Congratulations to all awarded with RALF awards this year! 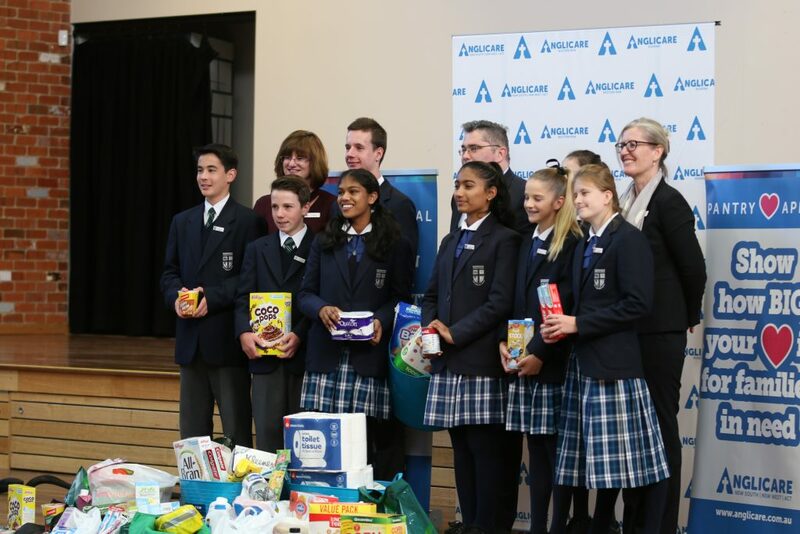 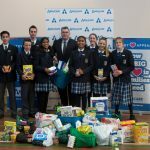 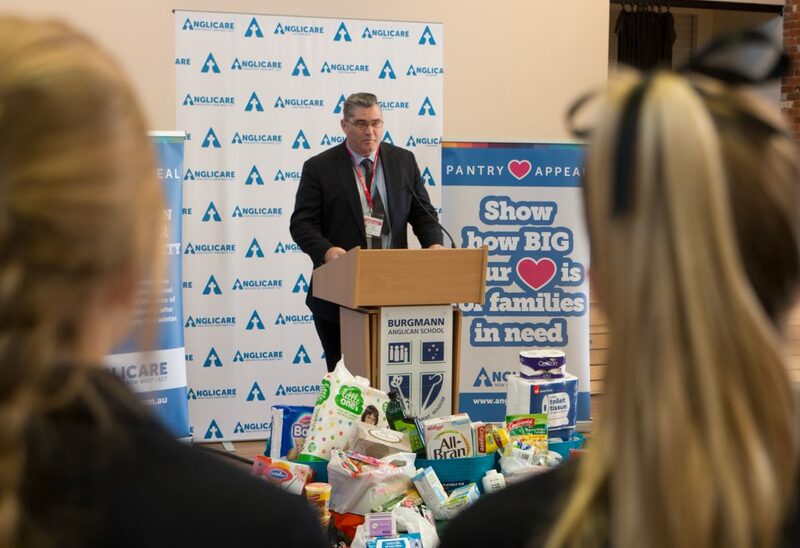 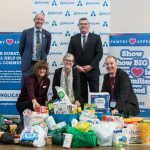 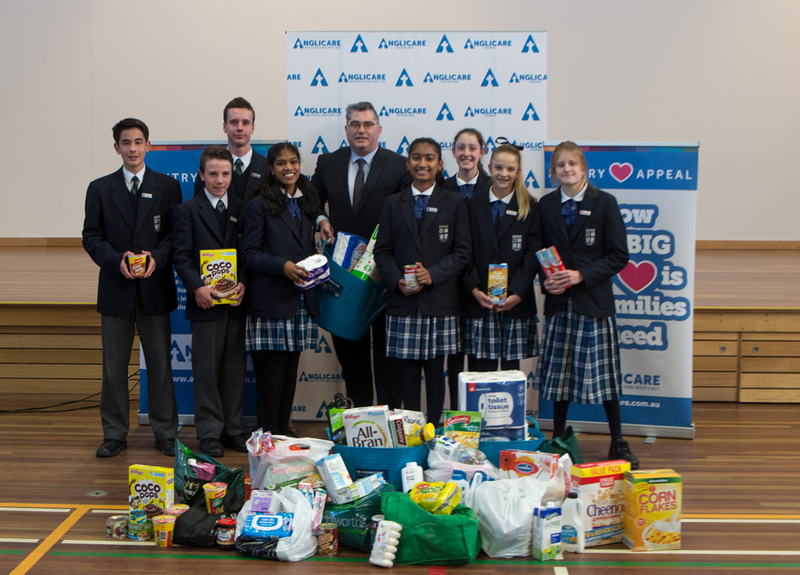 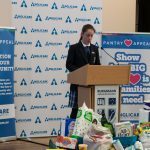 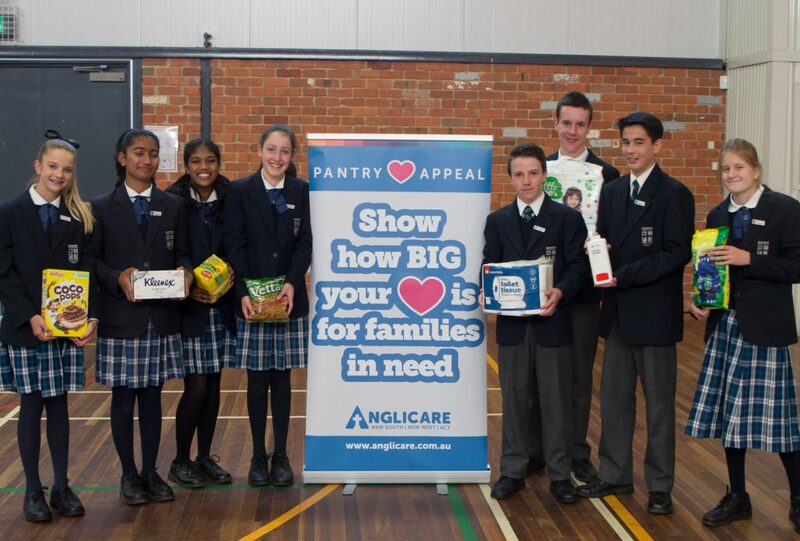 Our 2017 Anglicare Pantry Appeal was launched at Burgmann Anglican School (Forde). 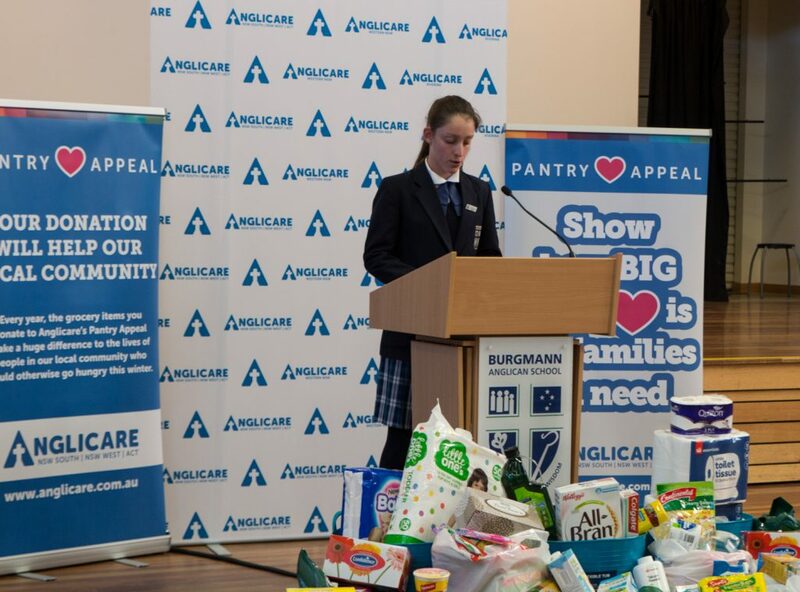 A huge thank you to the students who had already began collecting donations and for speaking so wonderfully at our launch event. 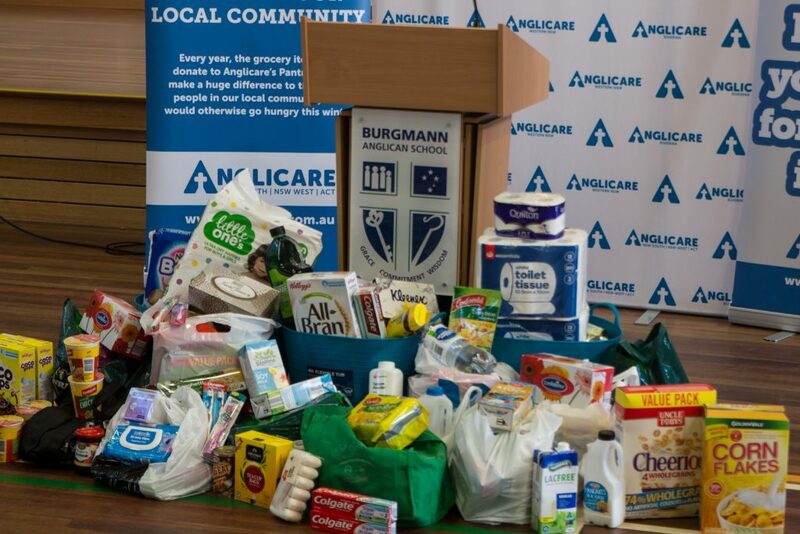 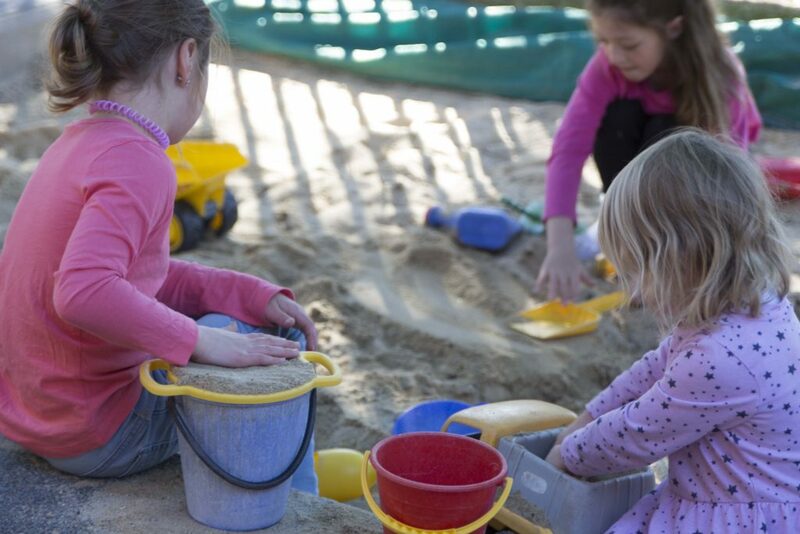 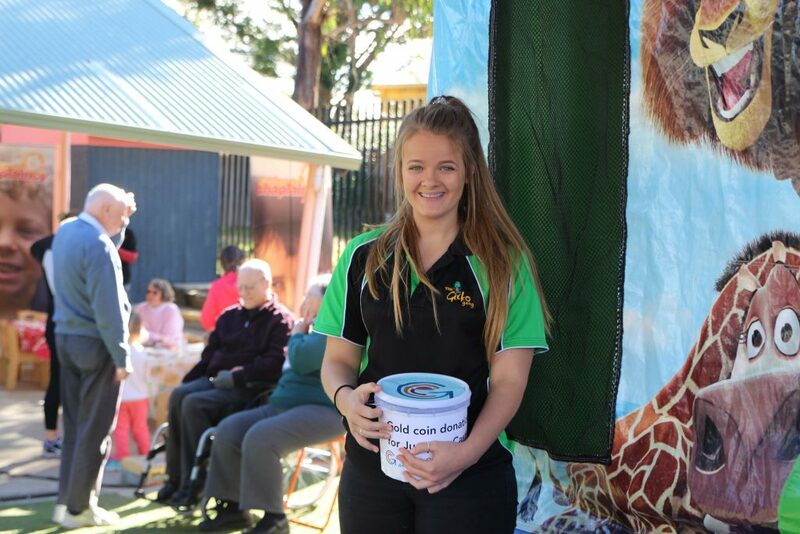 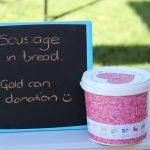 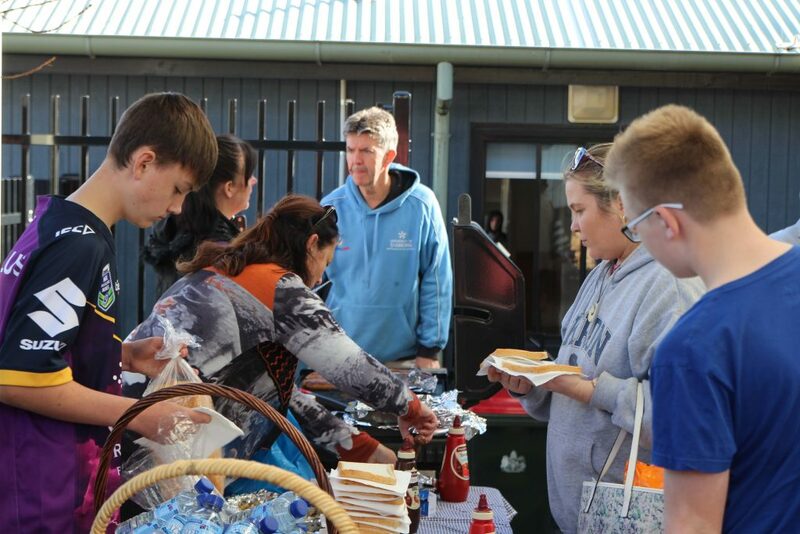 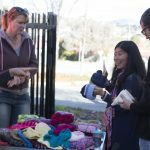 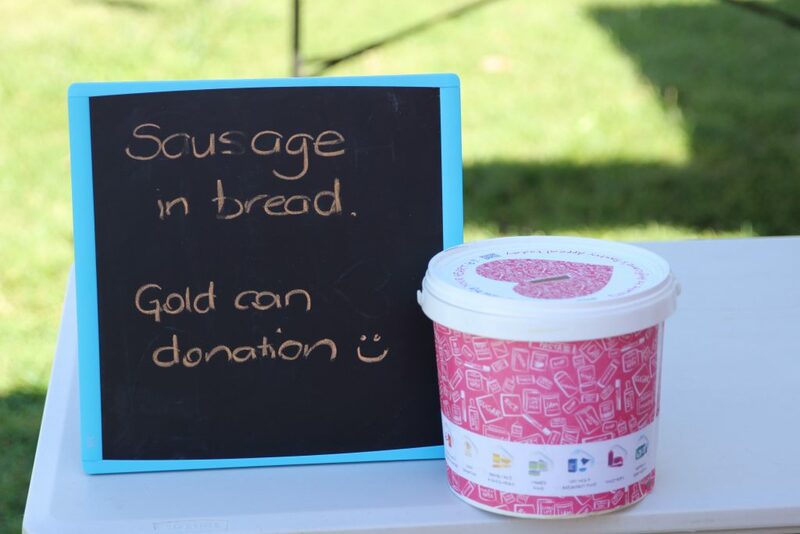 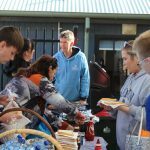 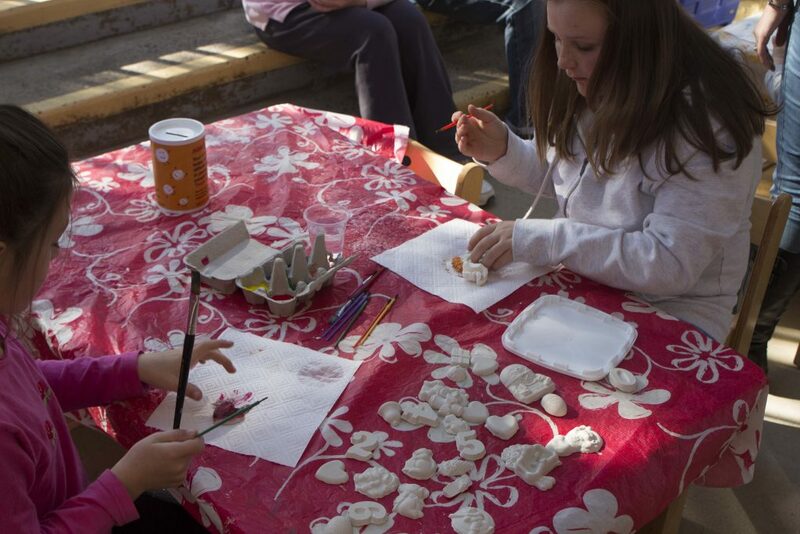 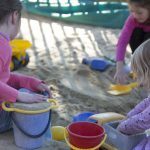 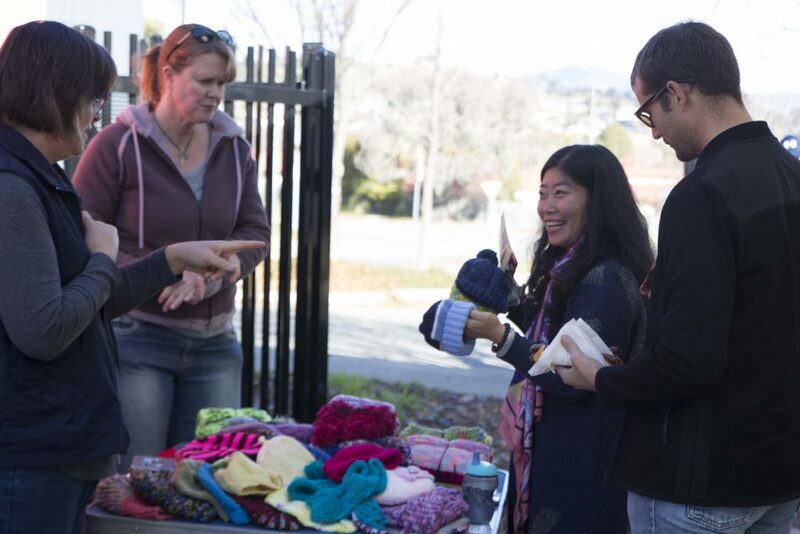 The generosity for Burgmann students, staff and families makes a huge impact in the Canberra community. 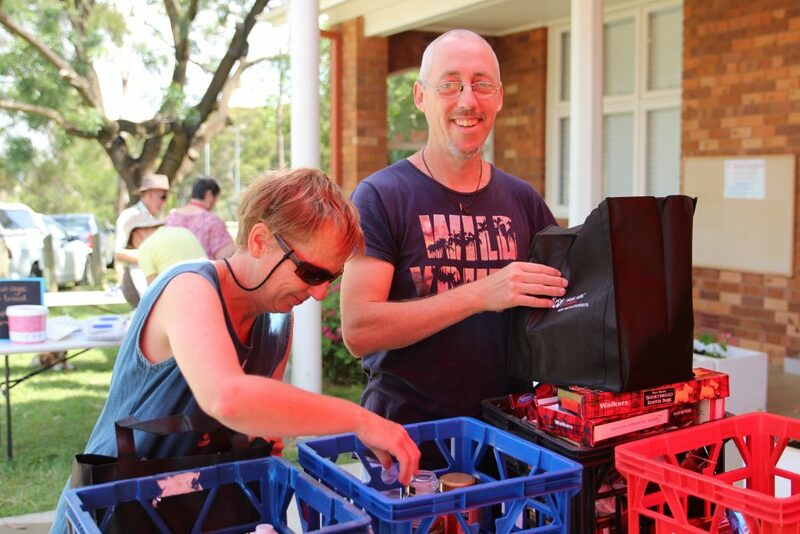 With their help, we’re aiming to collect 50,000 food donations in 2017! 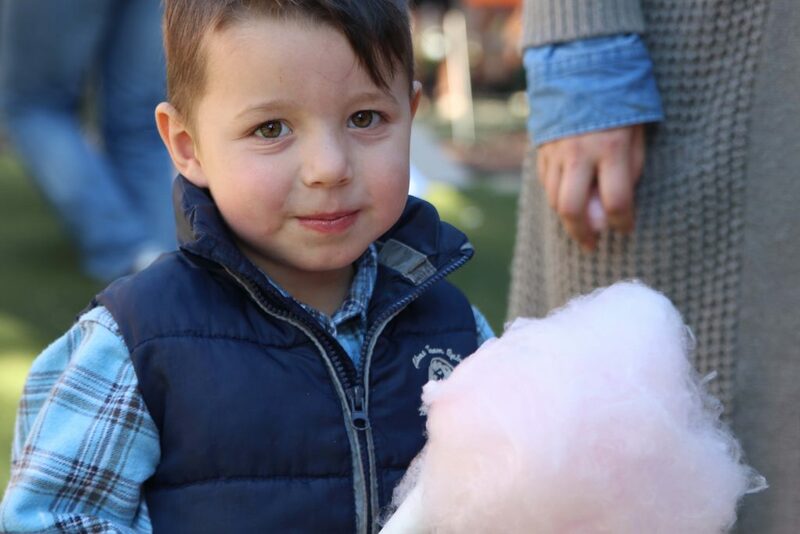 We love how big your heart is! 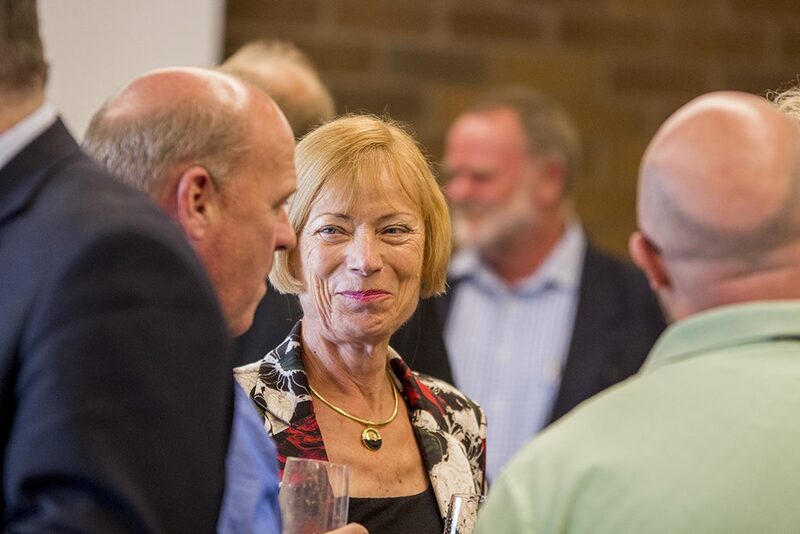 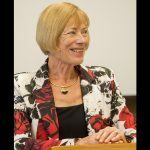 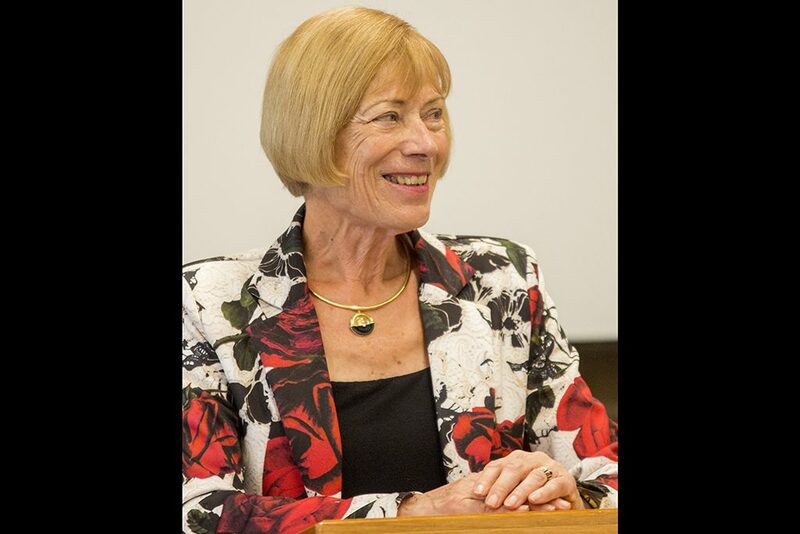 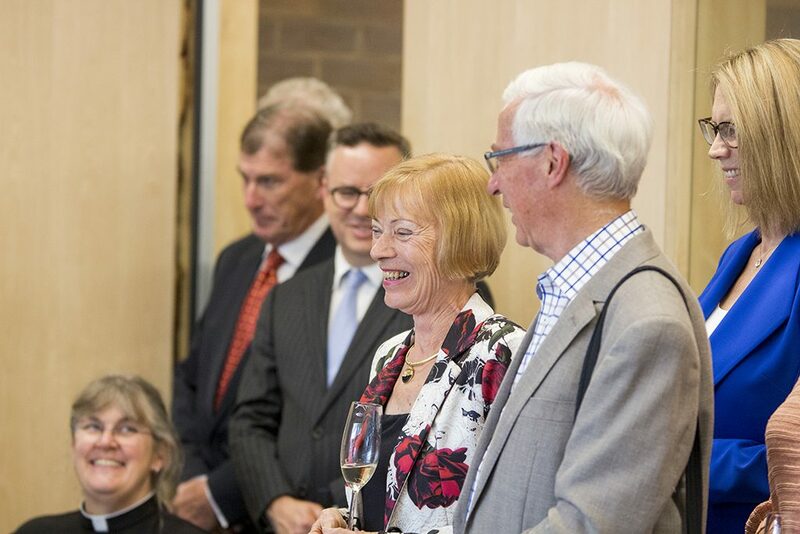 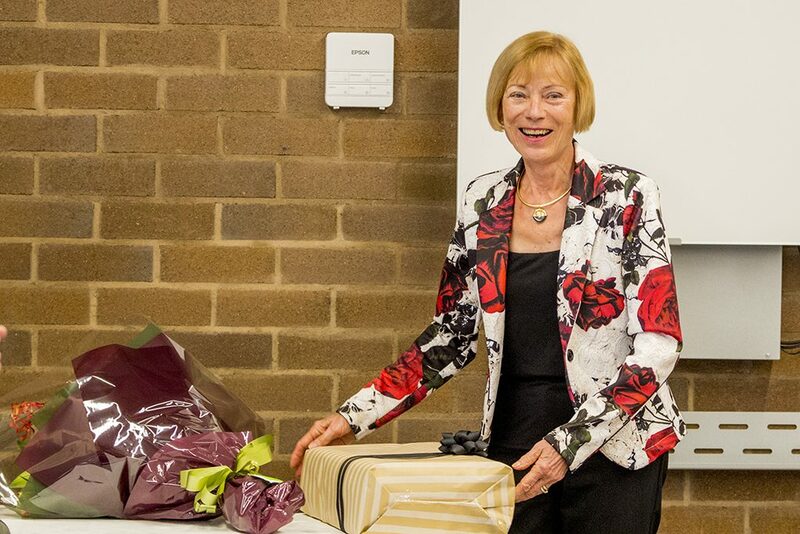 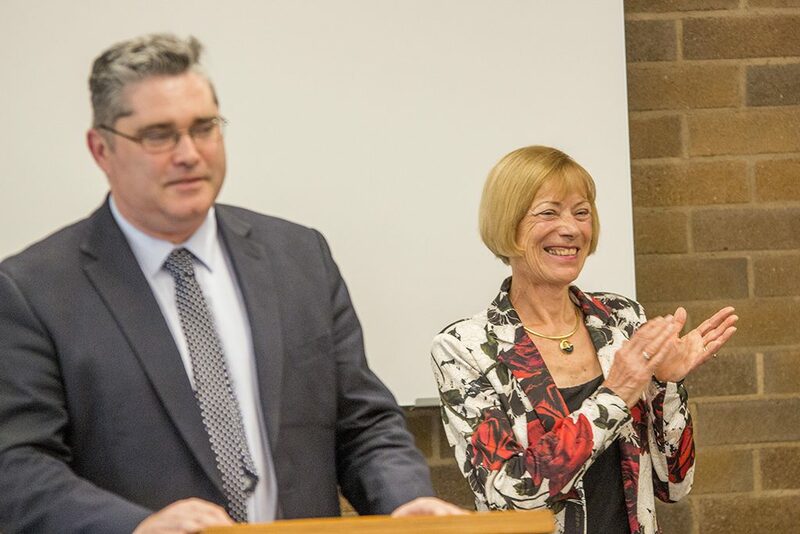 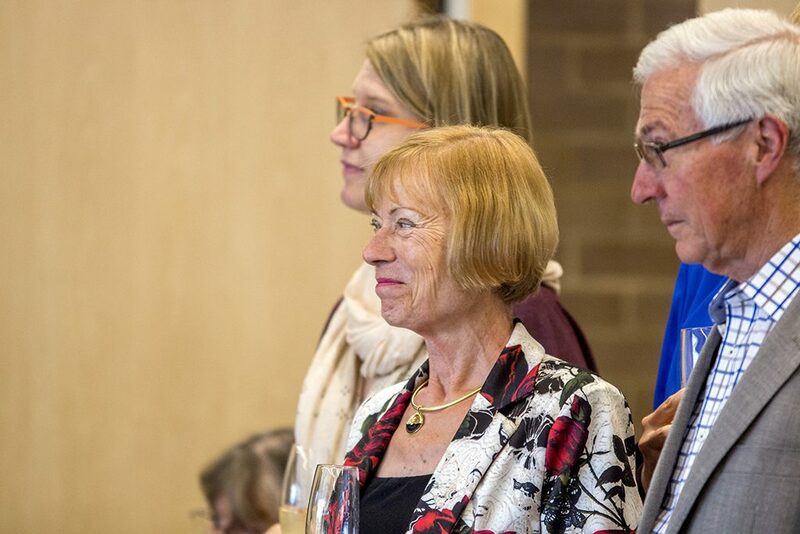 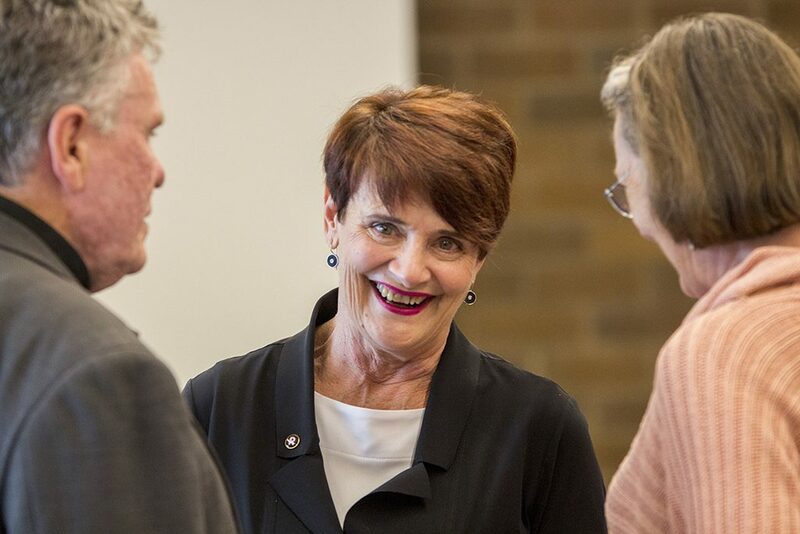 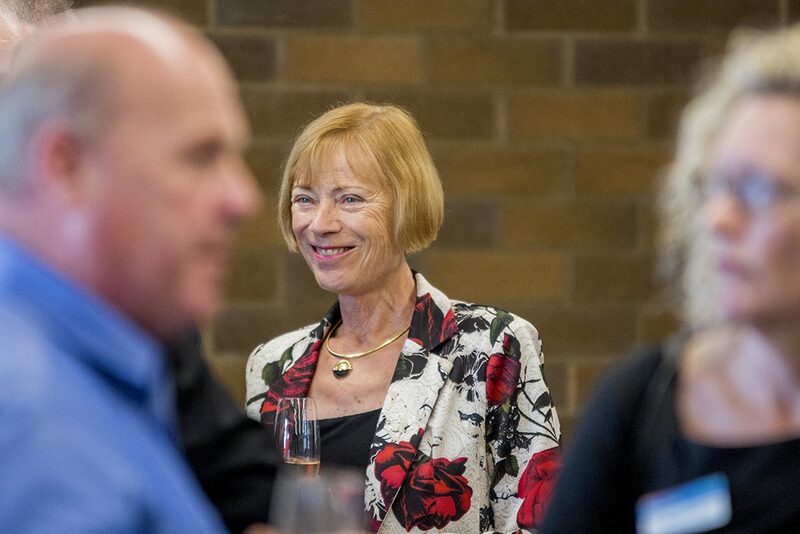 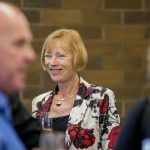 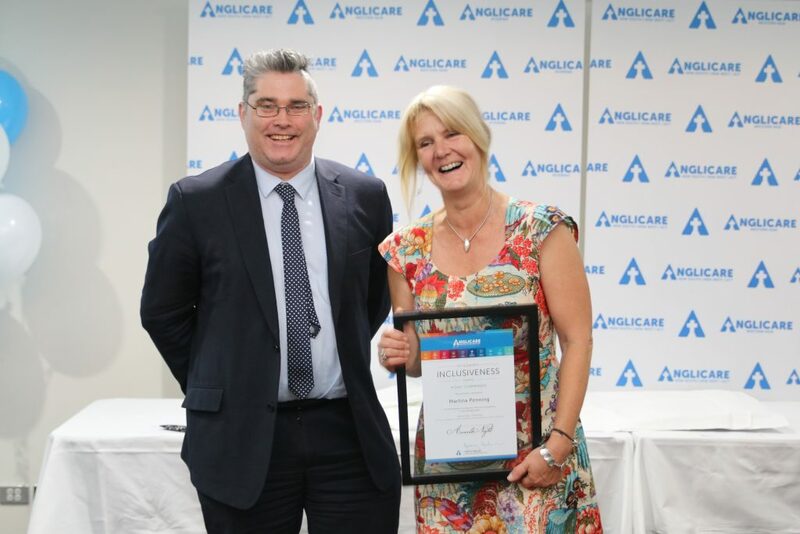 After serving her second three-year term, we farewell Professor Ingrid Moses as Presiding Member (Chair) of Anglicare’s Board. 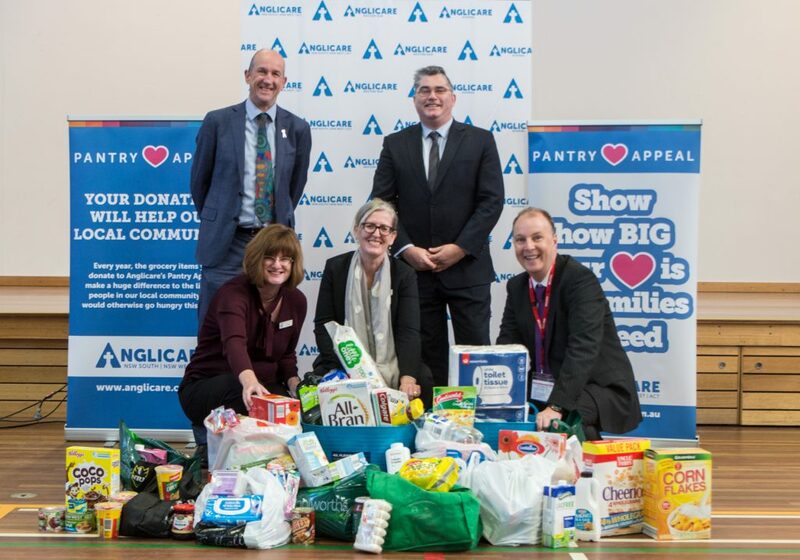 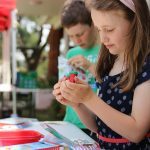 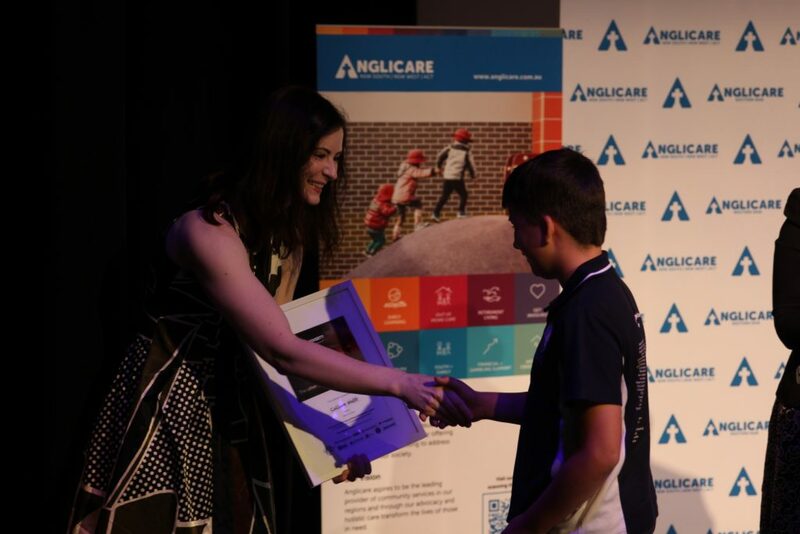 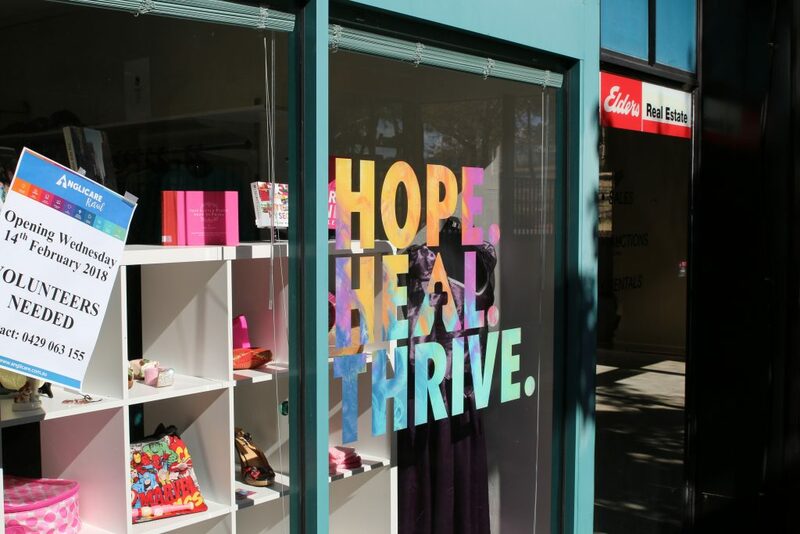 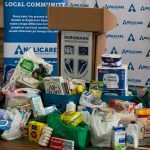 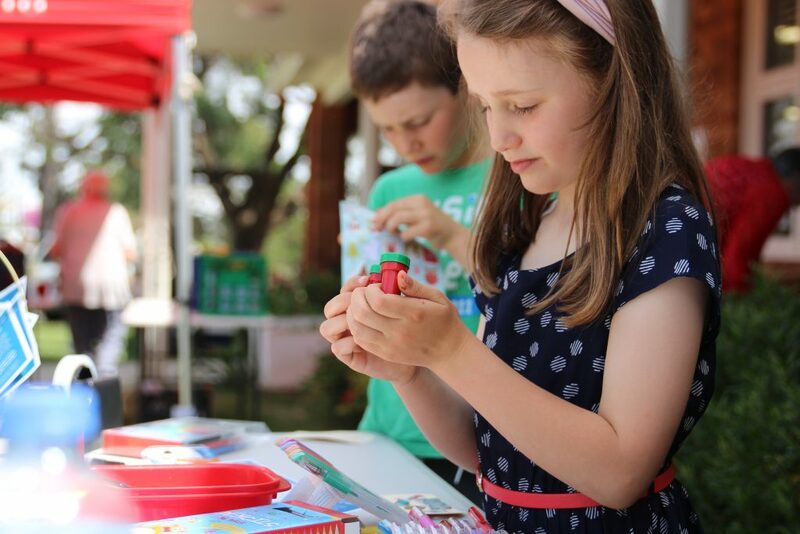 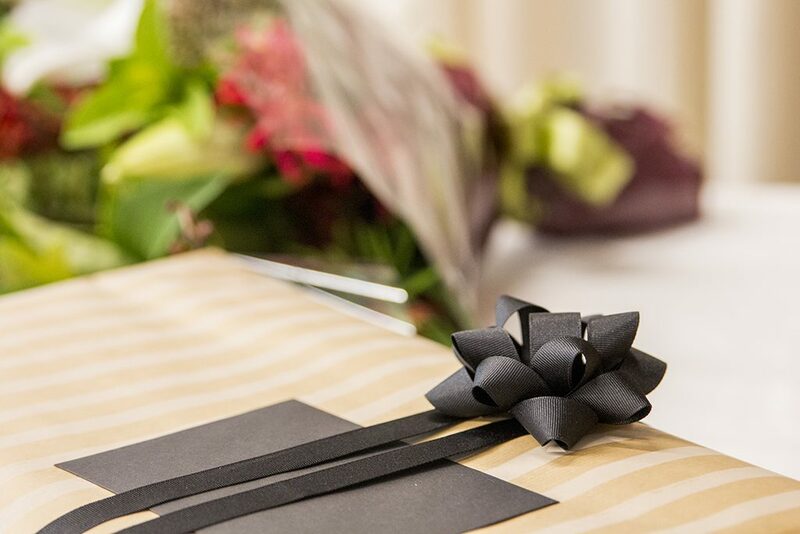 This year Anglicare was the recipient charity of the 666 ABC Giving Tree Appeal. 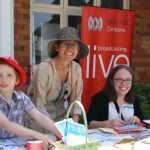 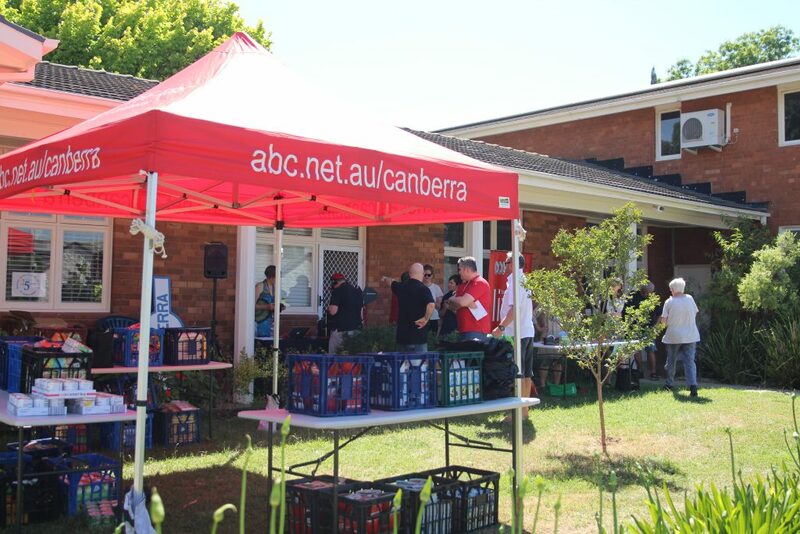 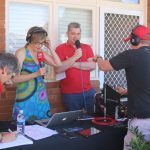 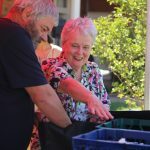 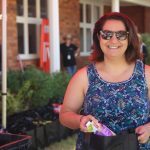 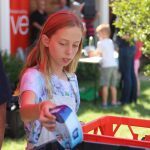 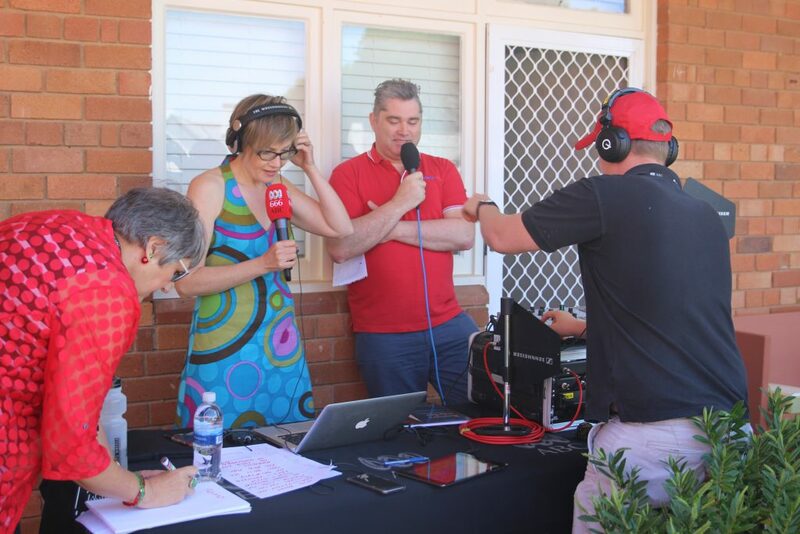 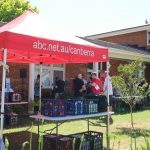 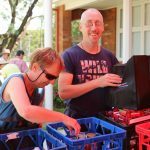 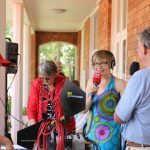 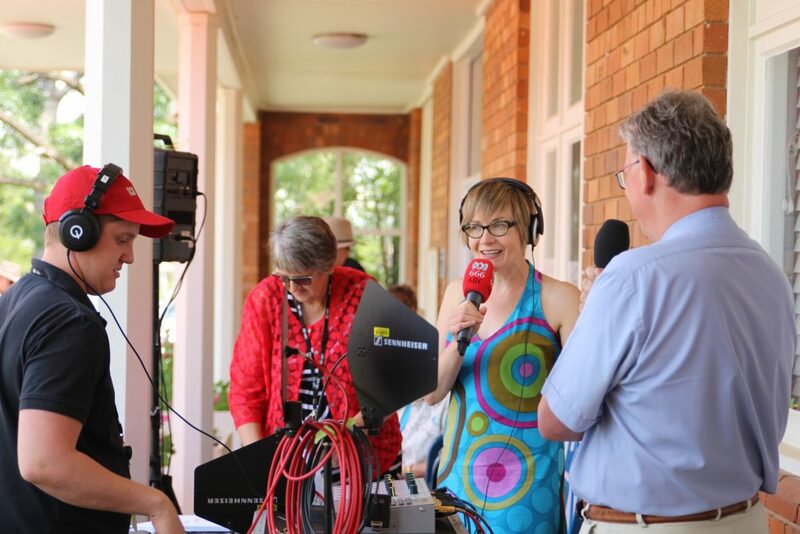 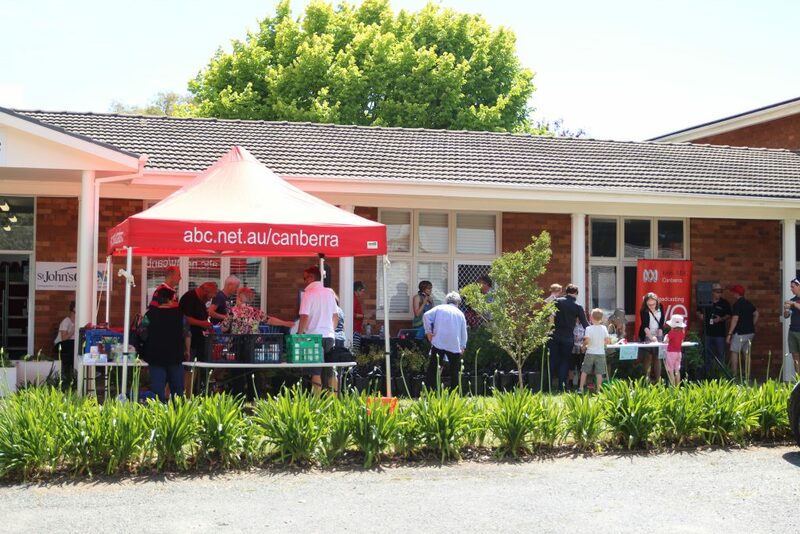 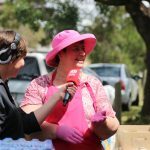 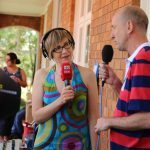 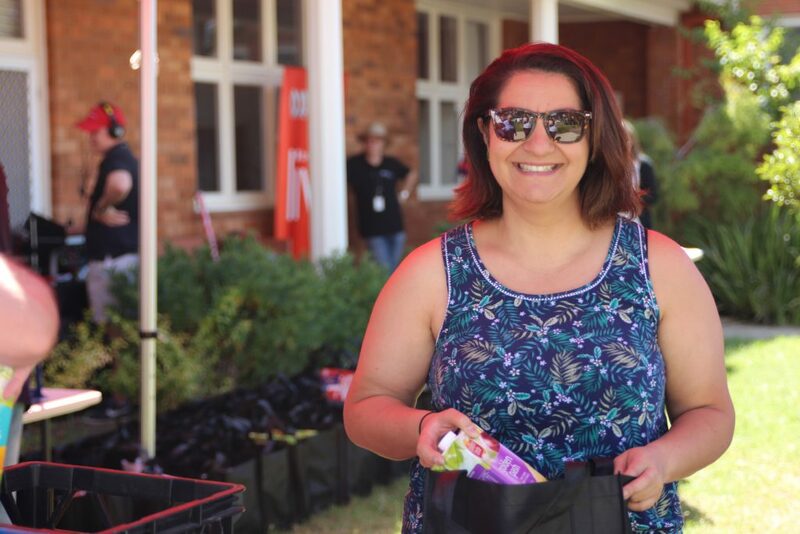 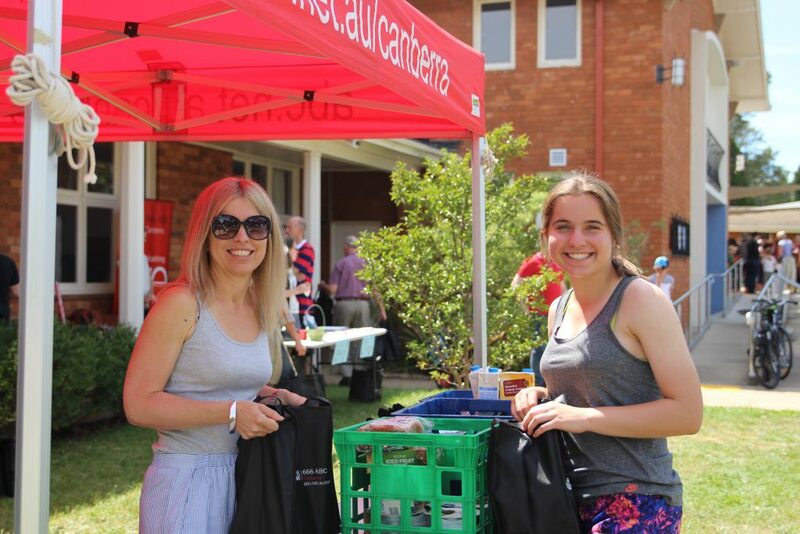 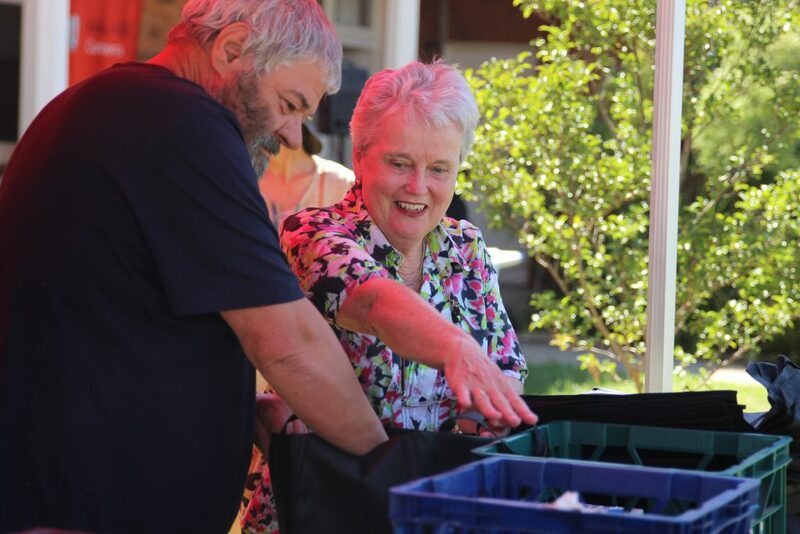 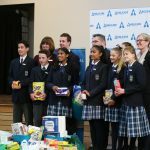 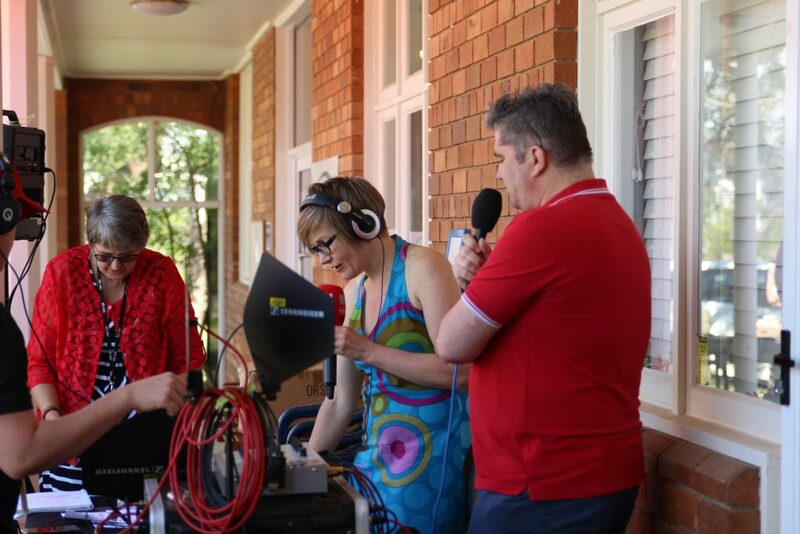 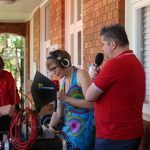 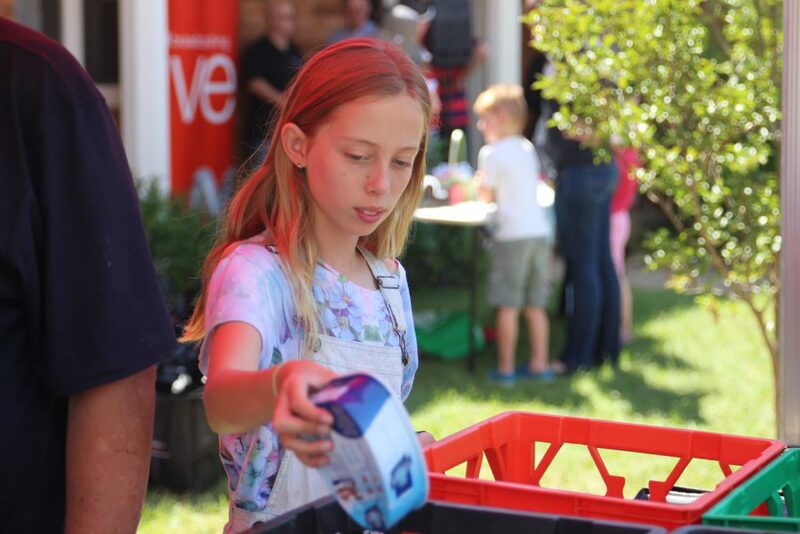 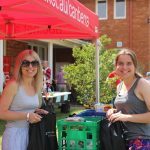 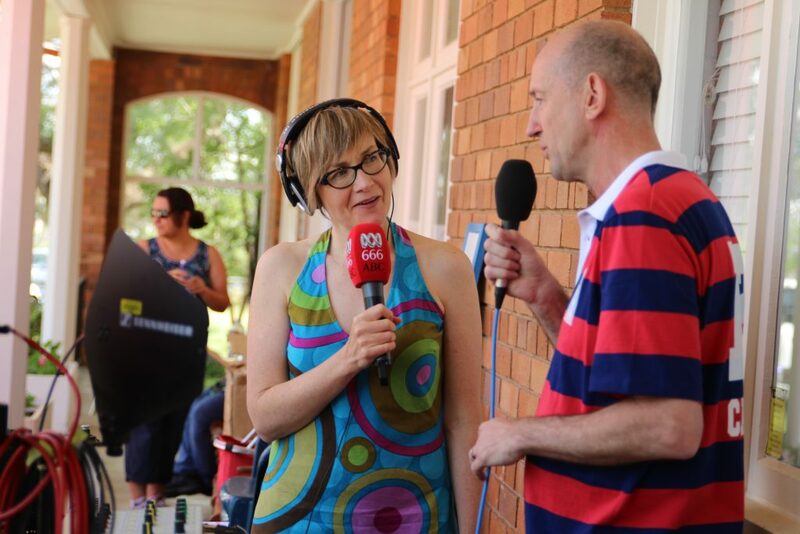 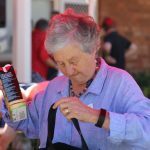 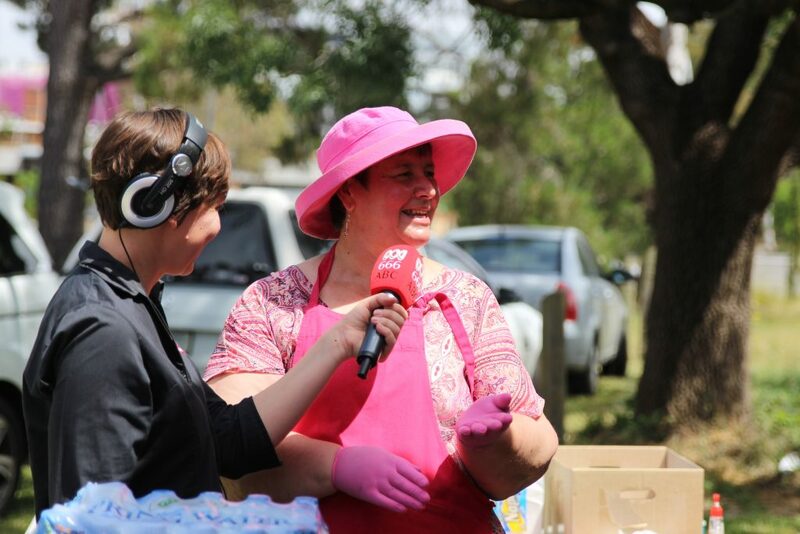 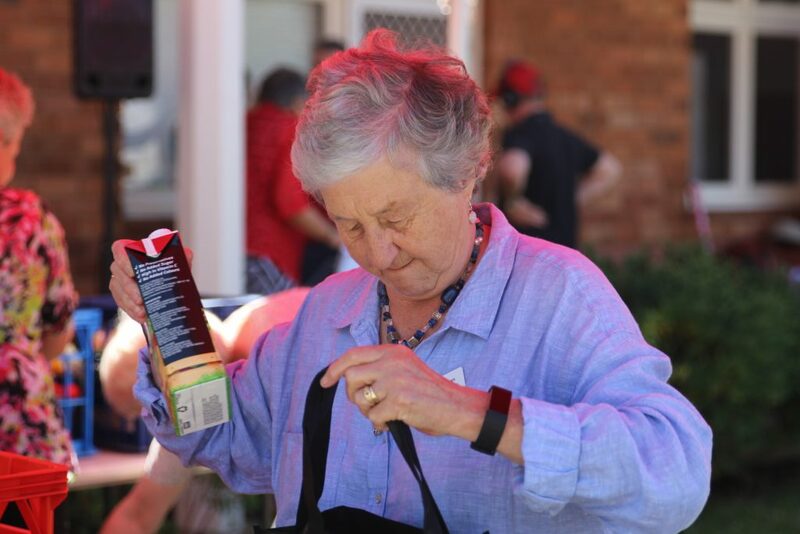 The Canberra community generously donated thousands of food items and on December 4th, ABC broadcast from St John’s Care as listeners helped pack 200 Christmas hampers to go to those in need. 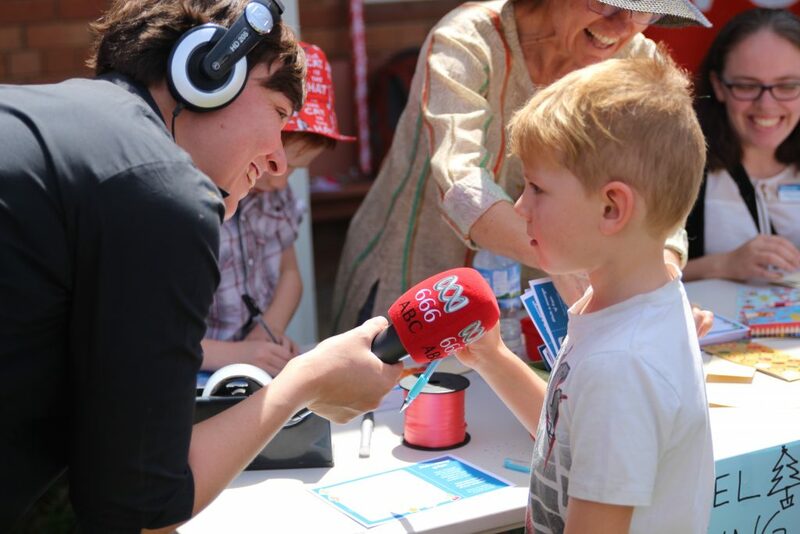 Kid describing his Christmas card on air. 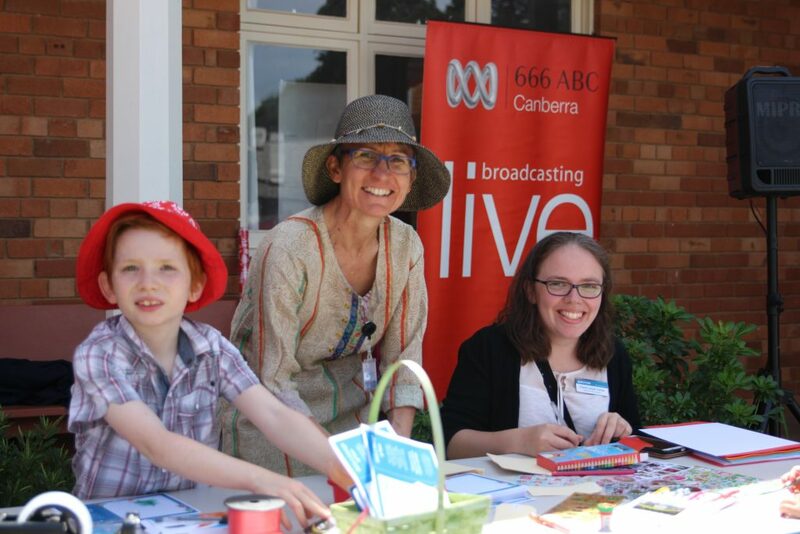 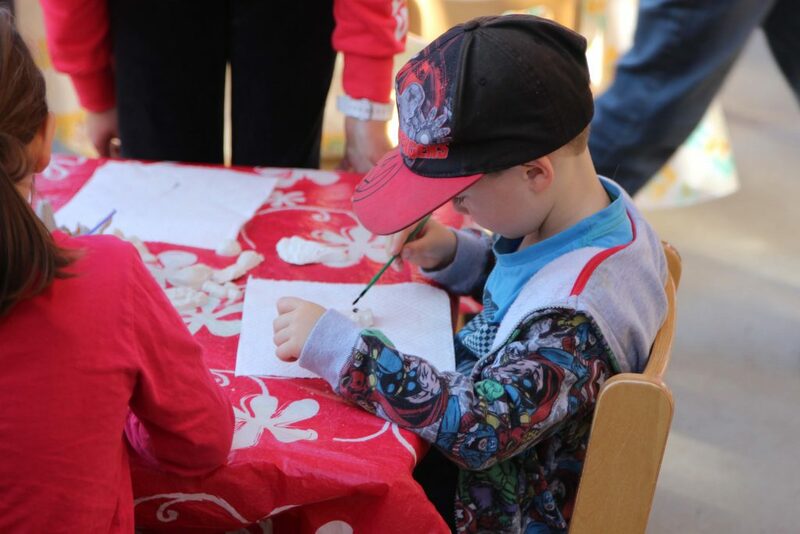 The cards made by children and adults were placed in the hampers. 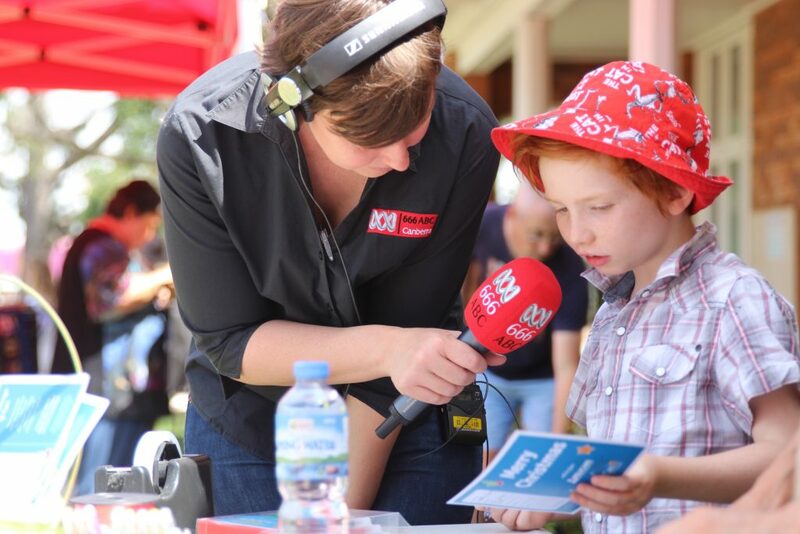 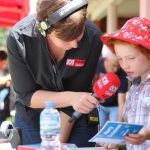 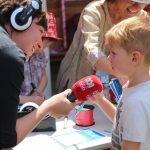 Even the young ones got to speak on radio! 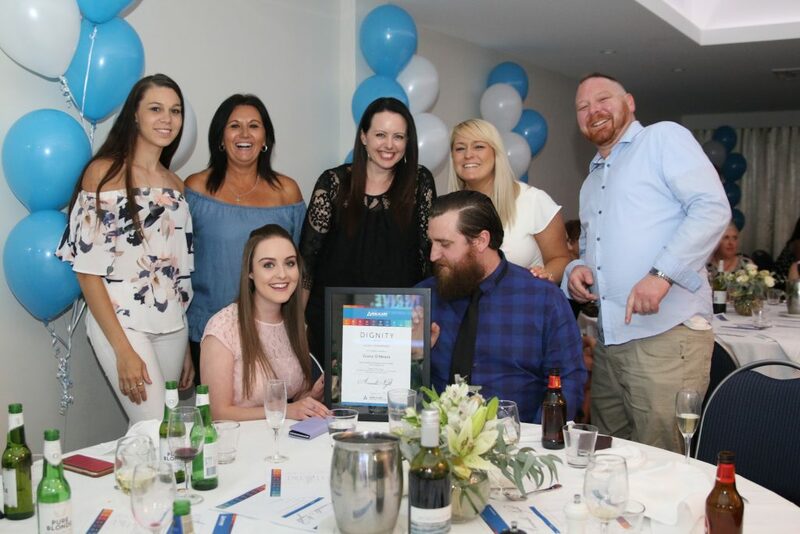 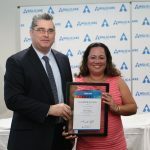 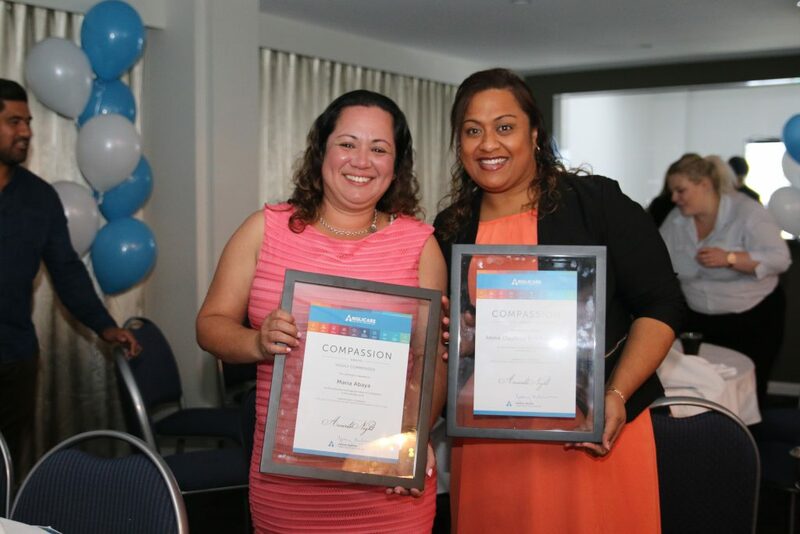 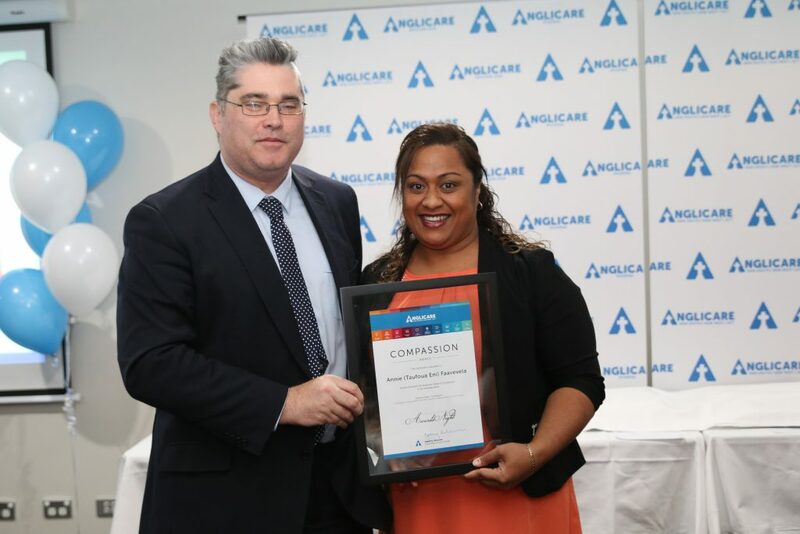 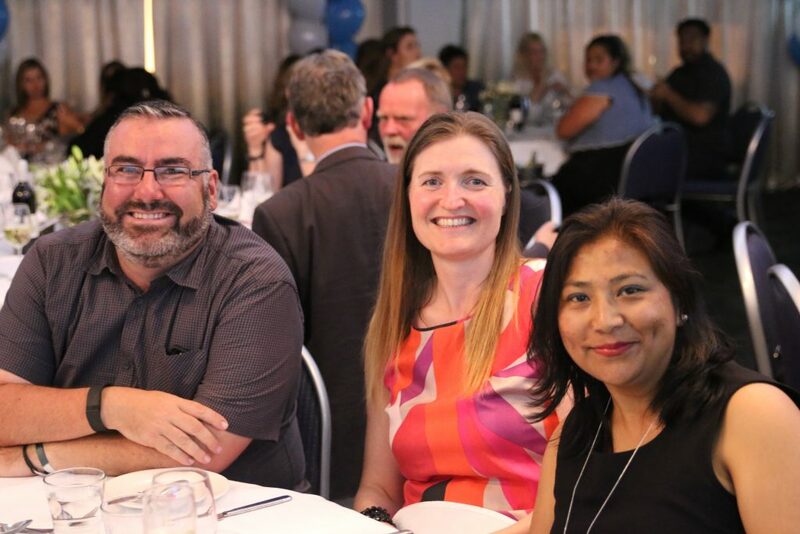 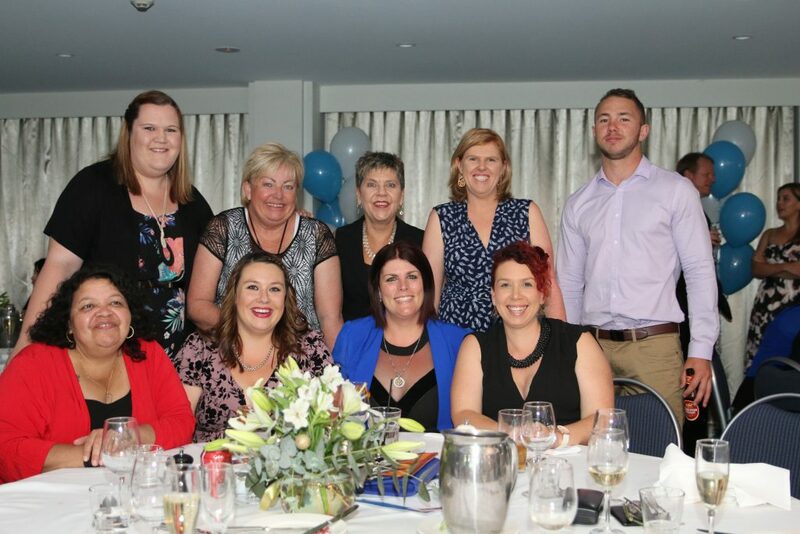 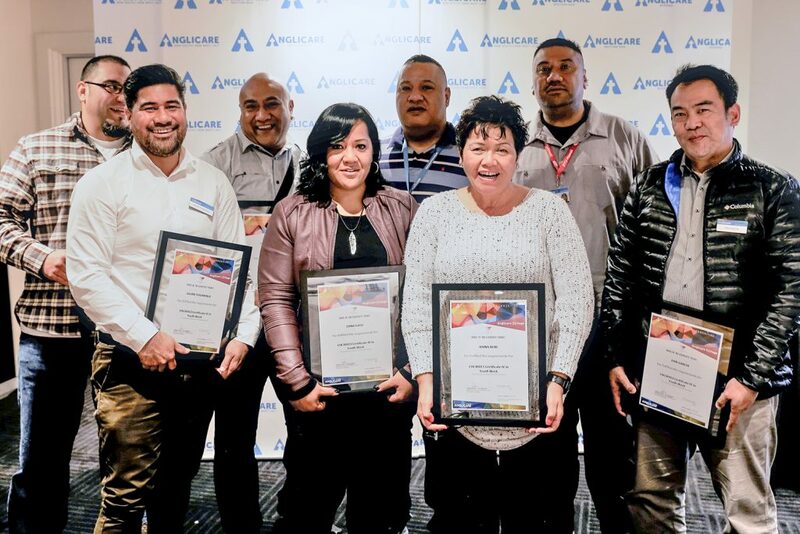 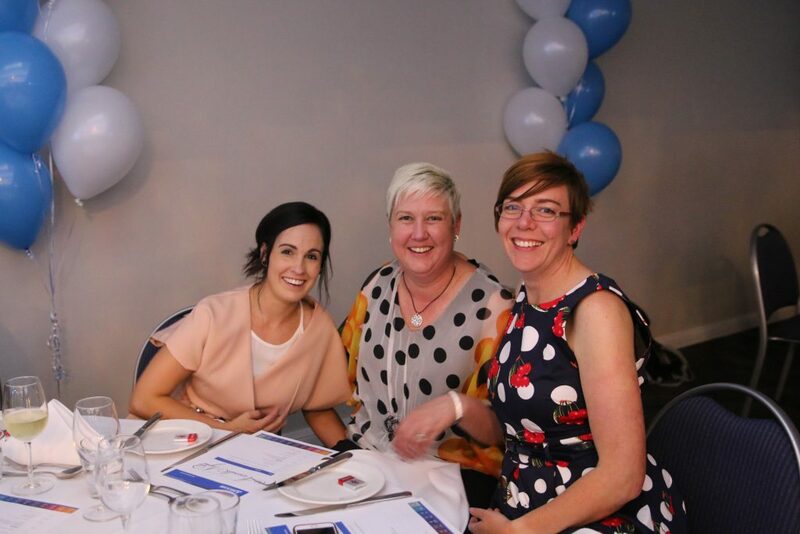 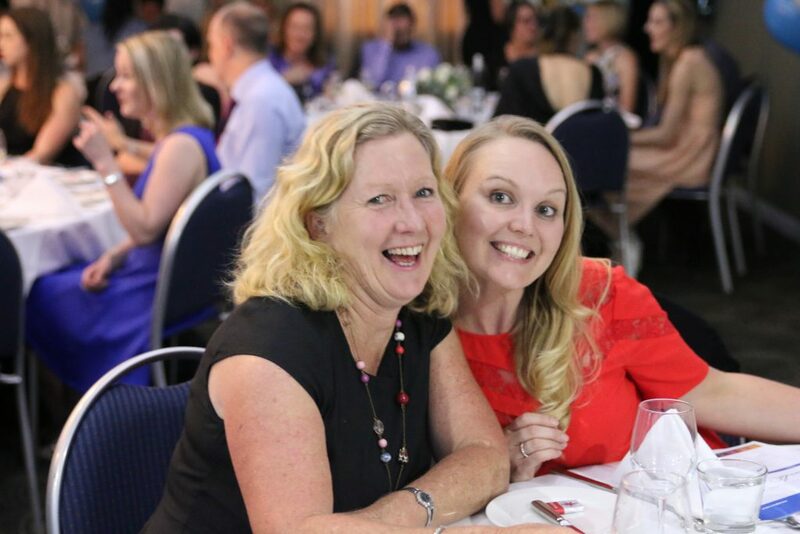 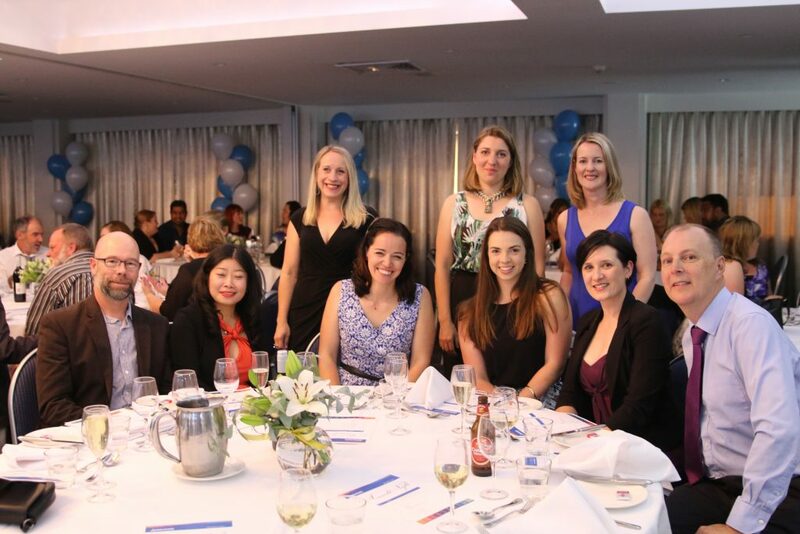 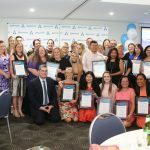 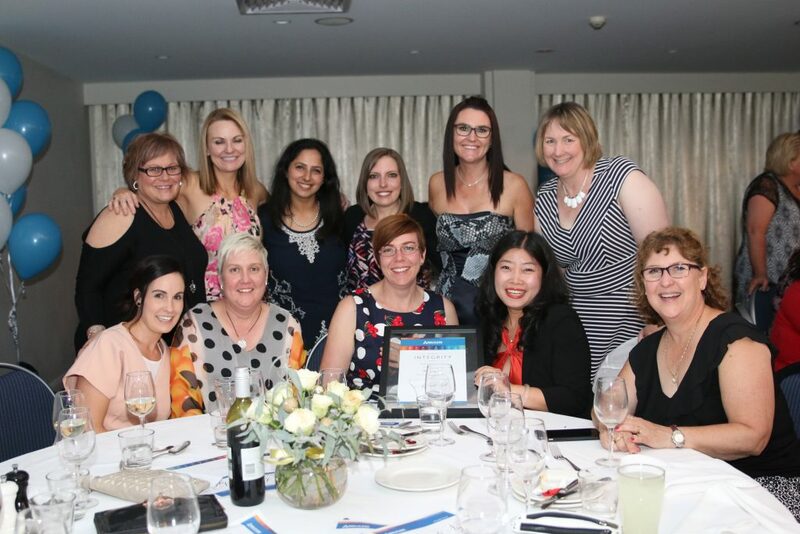 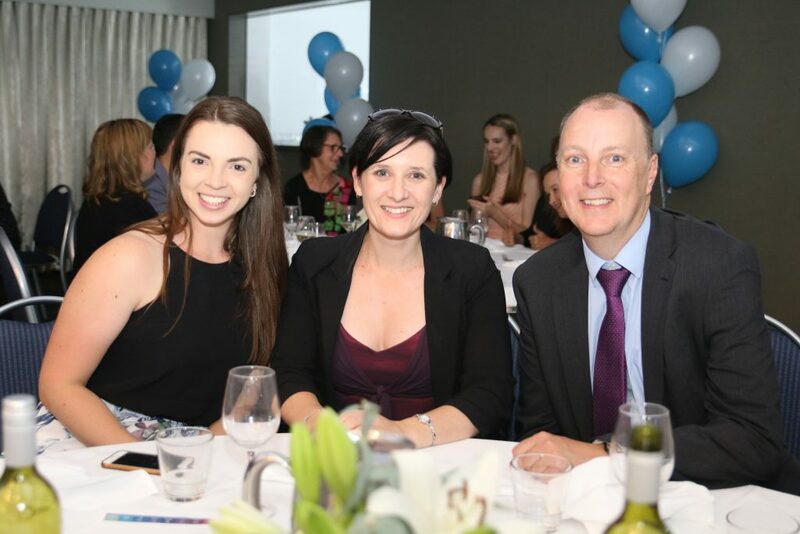 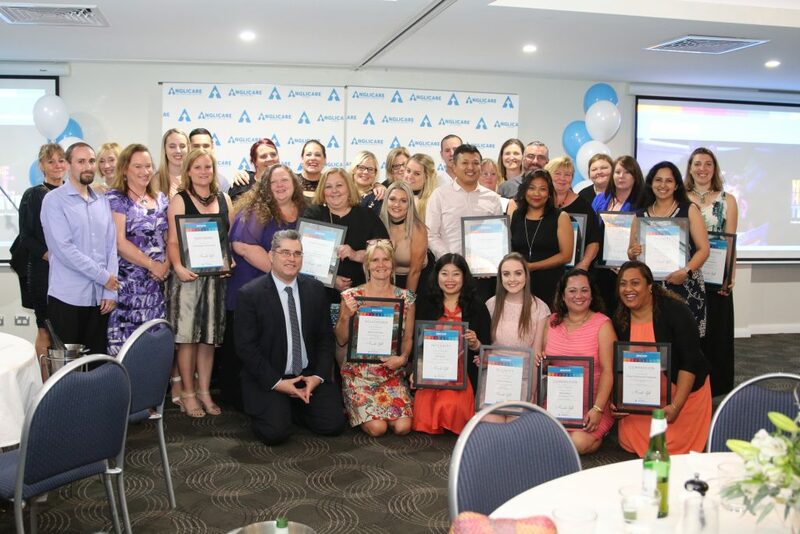 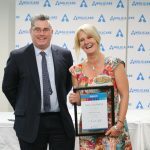 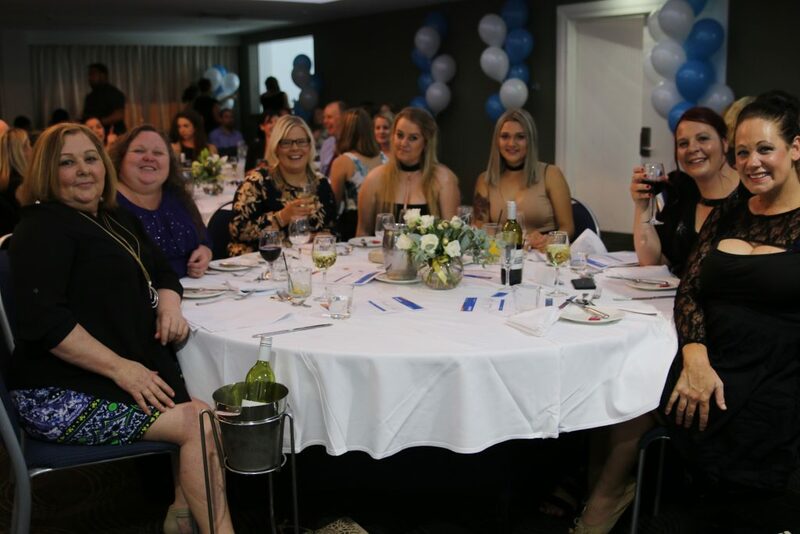 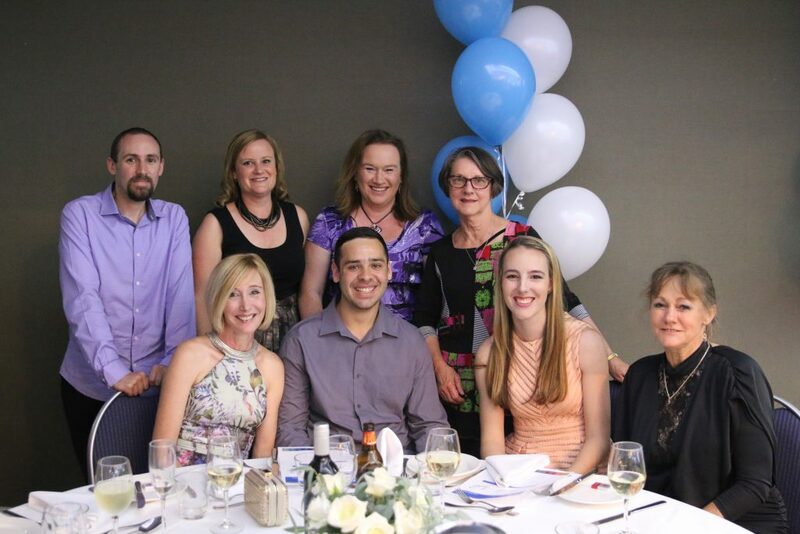 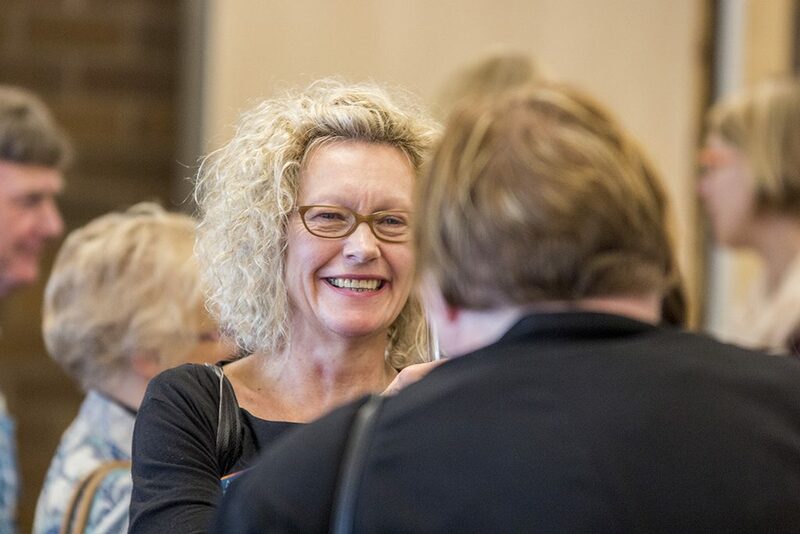 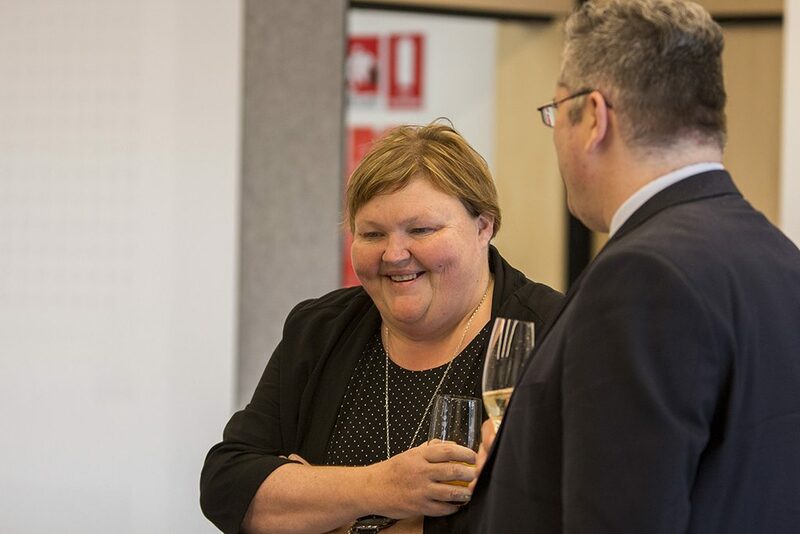 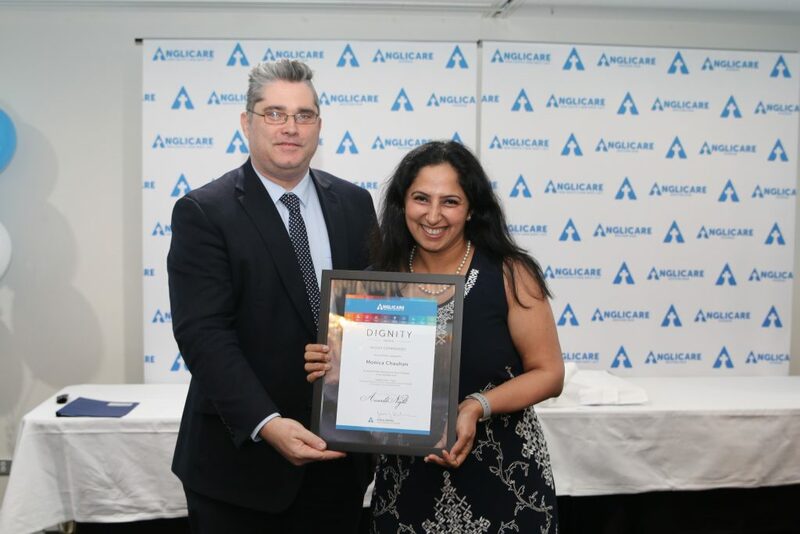 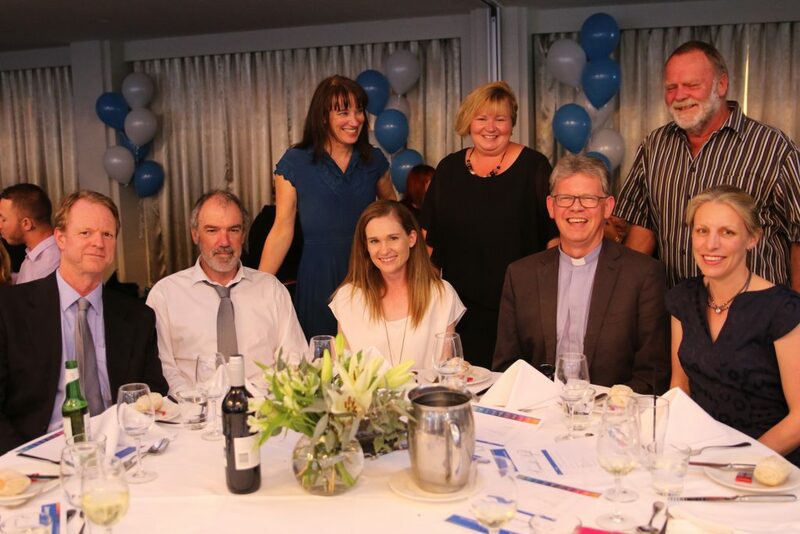 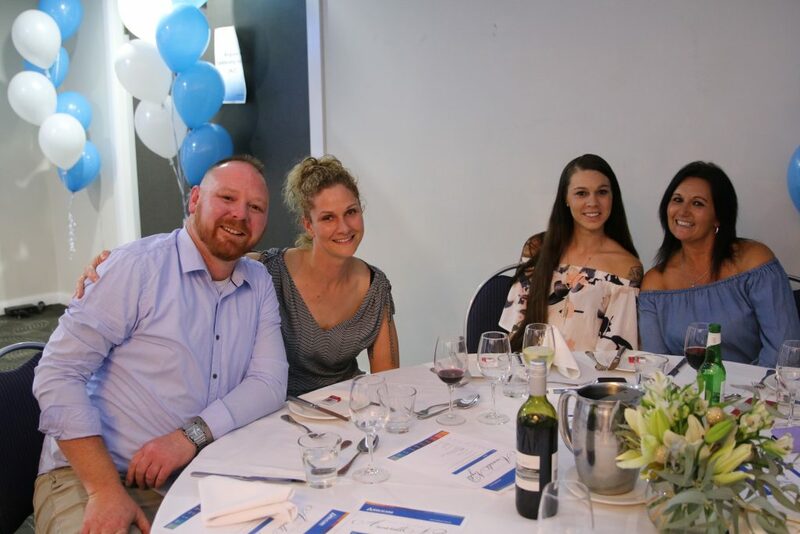 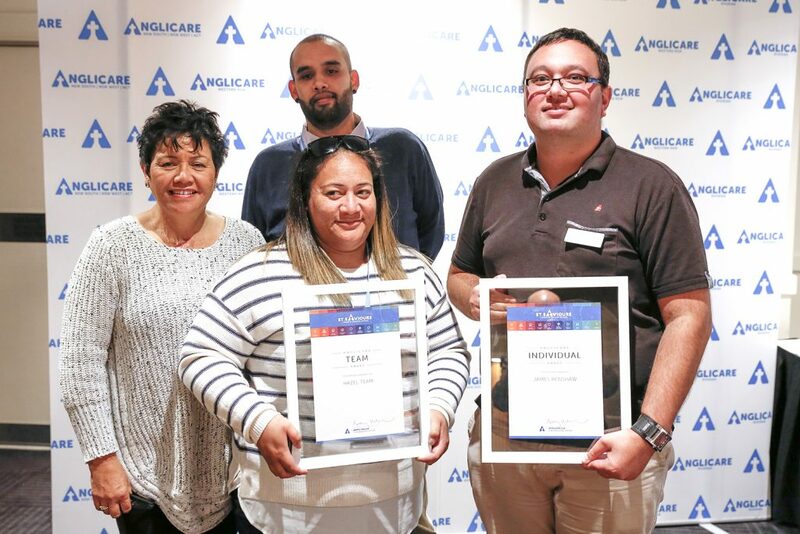 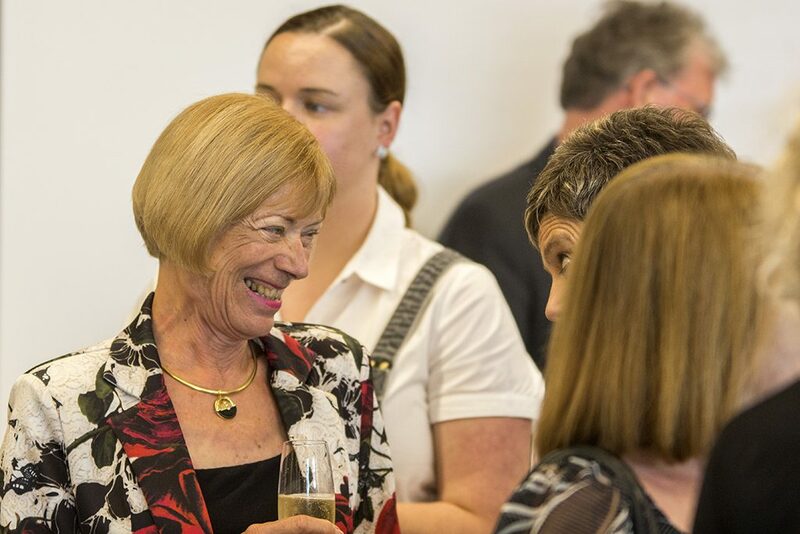 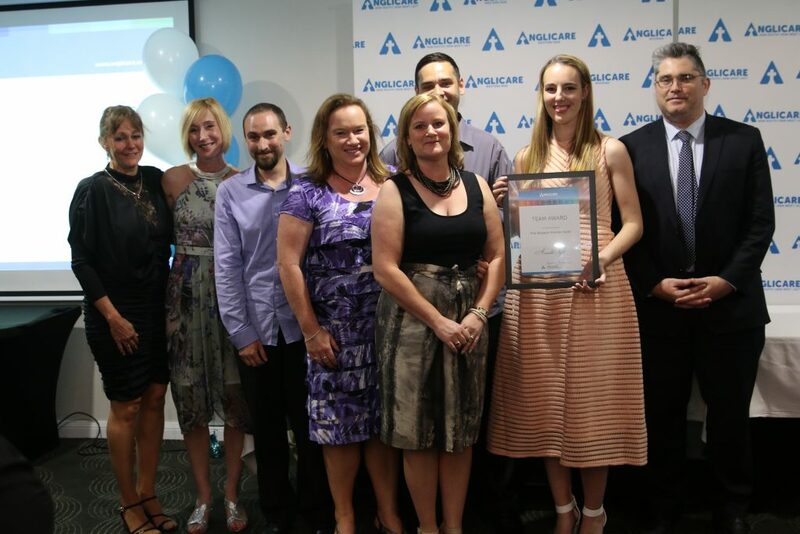 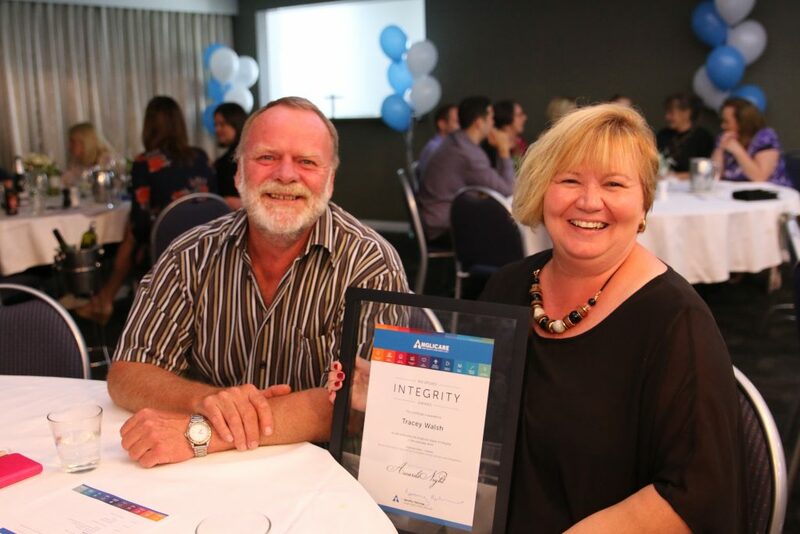 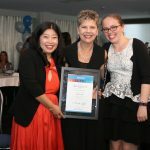 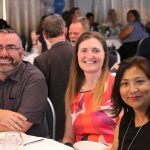 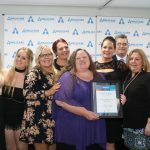 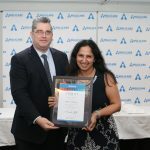 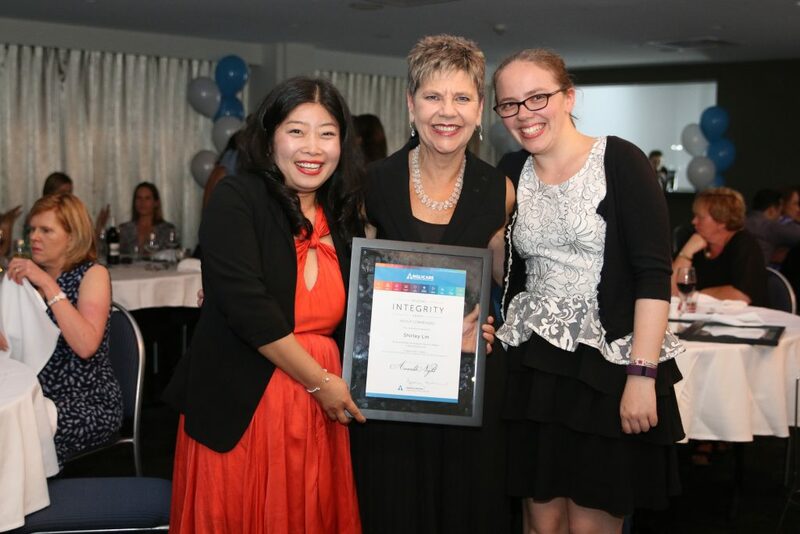 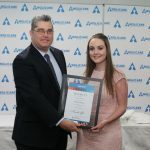 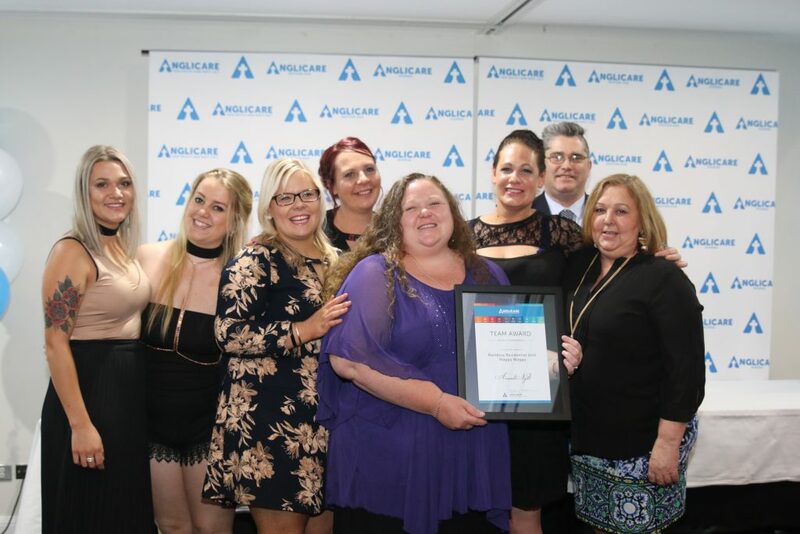 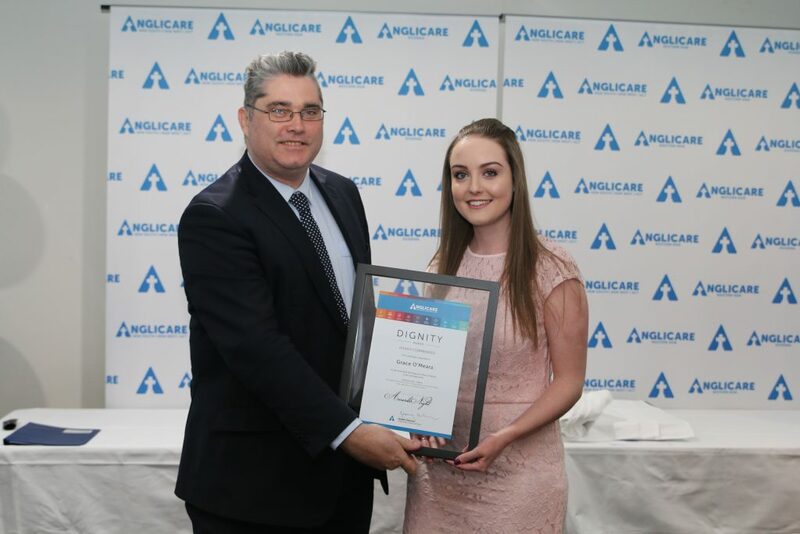 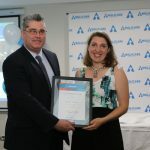 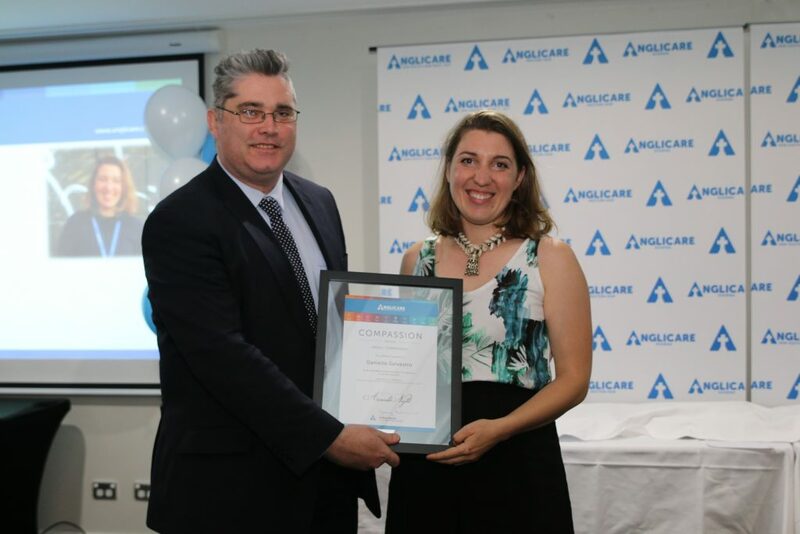 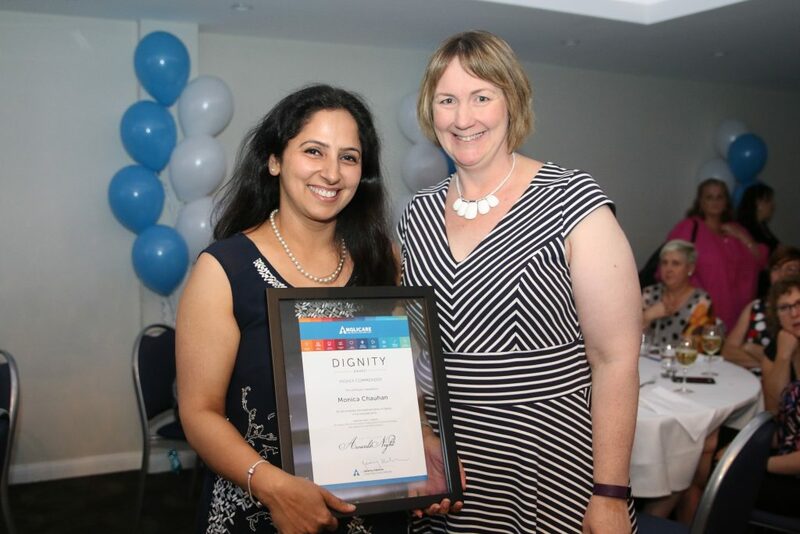 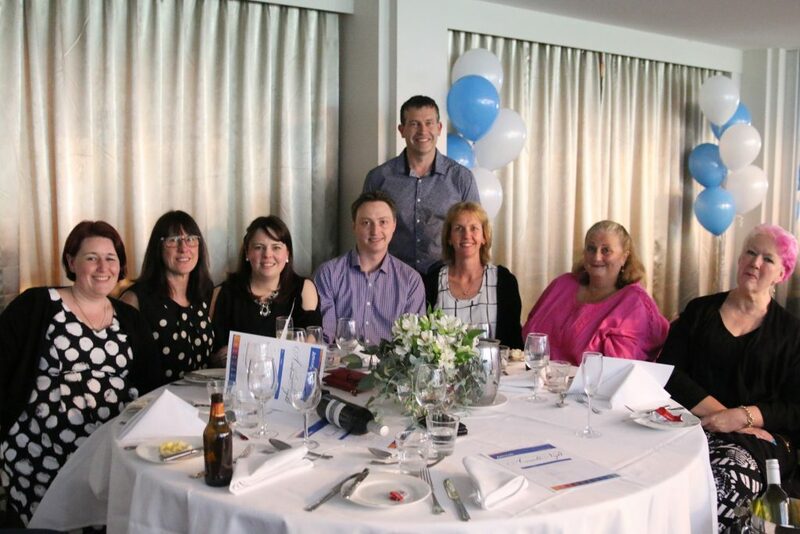 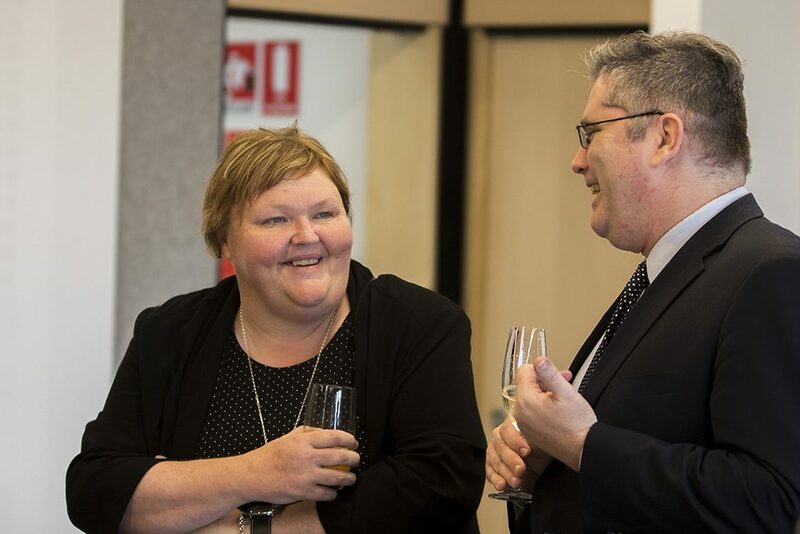 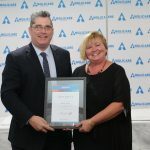 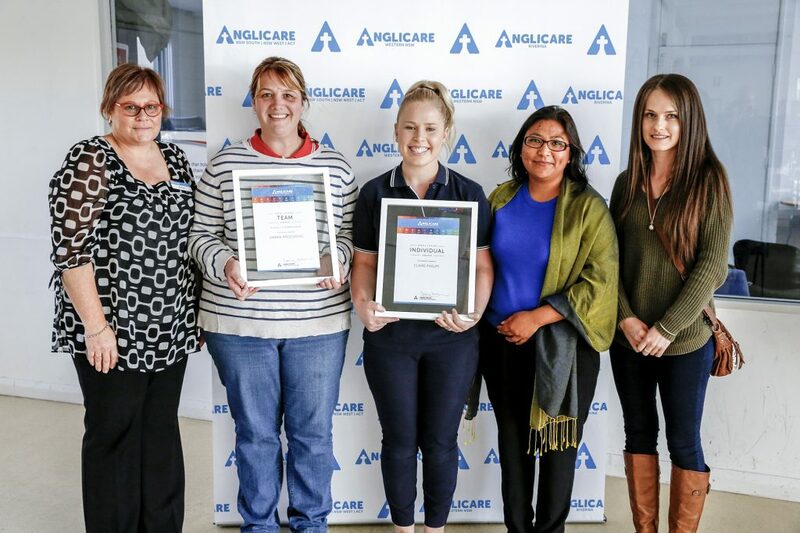 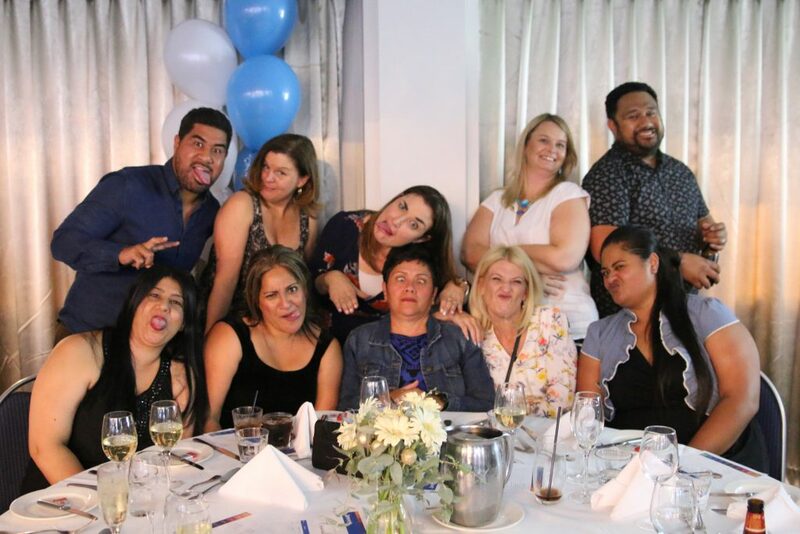 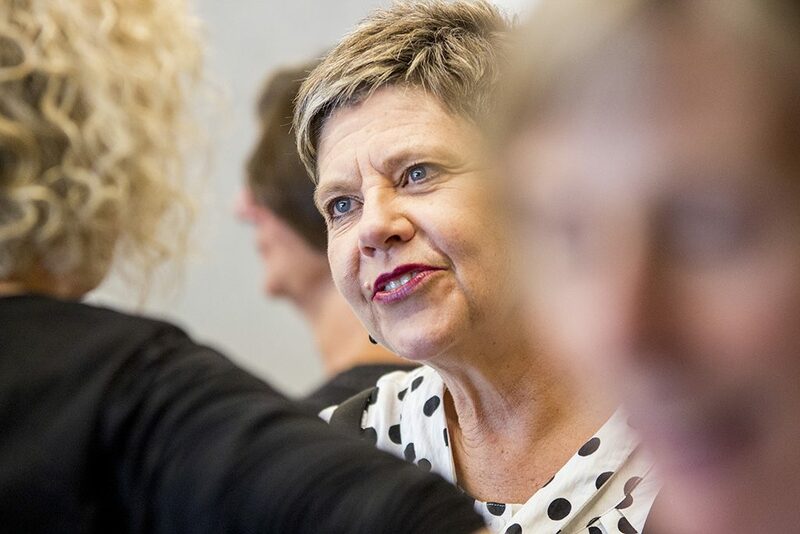 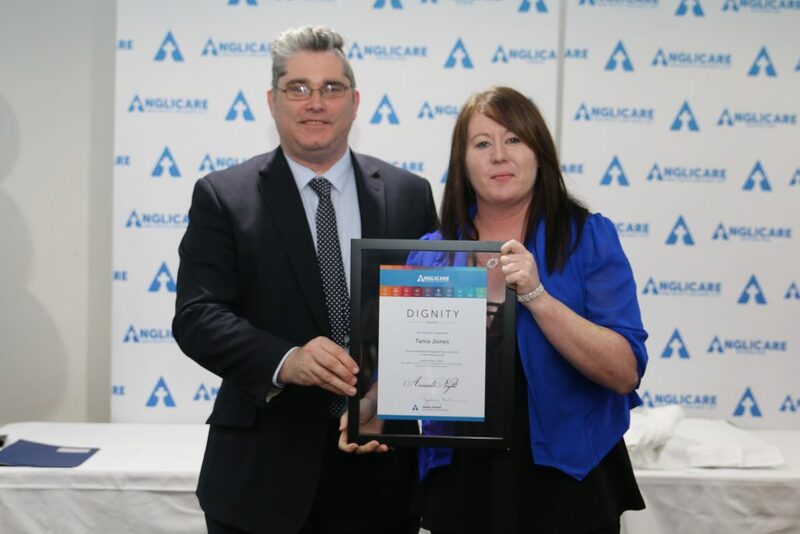 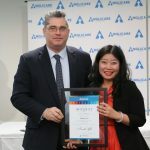 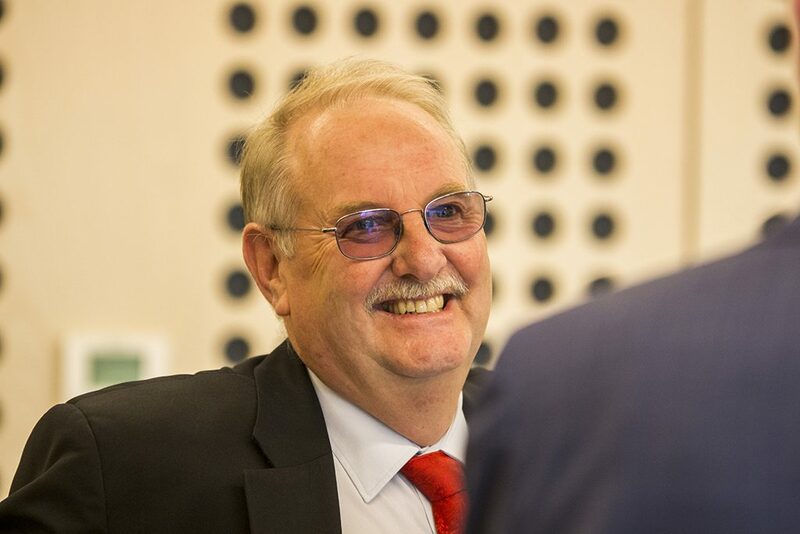 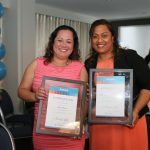 Each year as a part of the Anglicare Leadership Forum, we recognise staff and teams across our regions whose exceptional work reflects Anglicare’s values of Compassion, Dignity, Inclusiveness and Integrity. 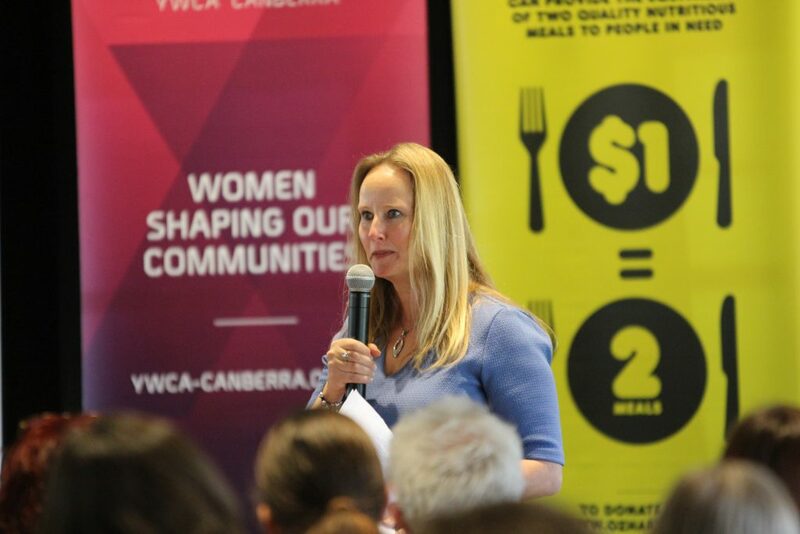 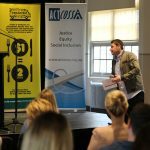 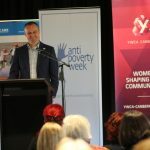 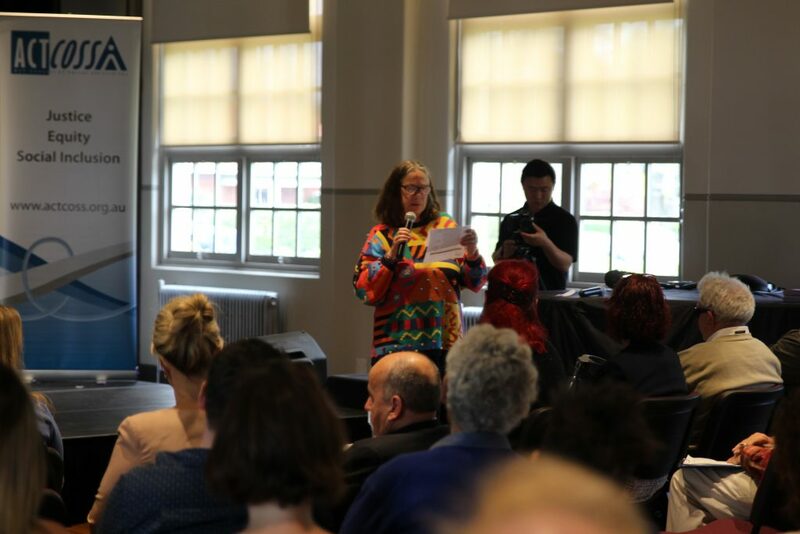 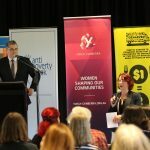 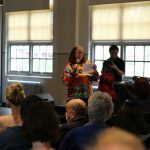 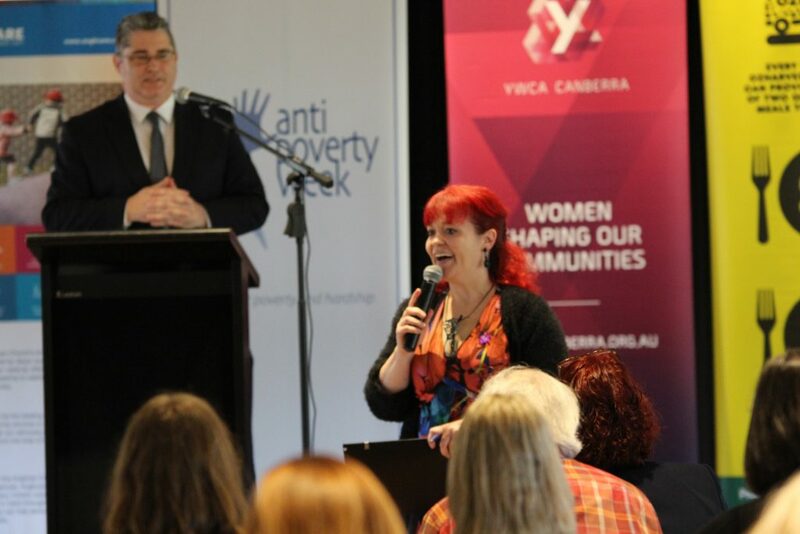 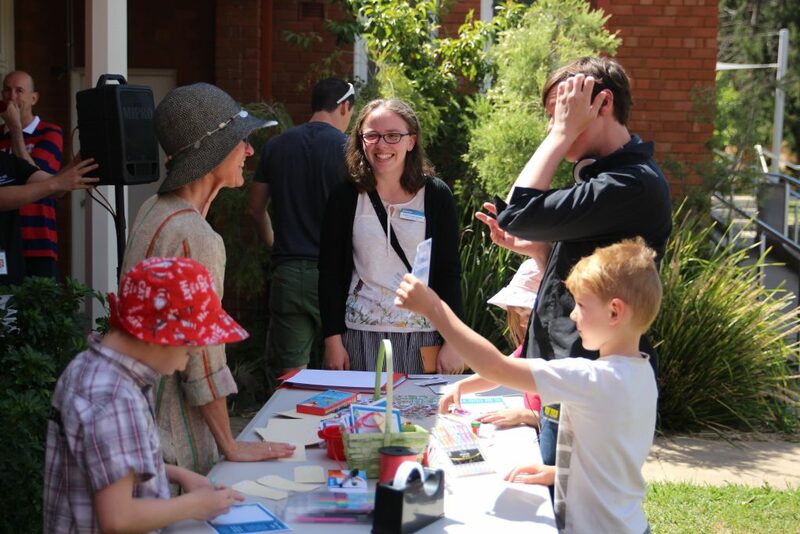 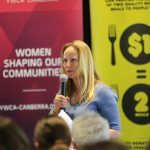 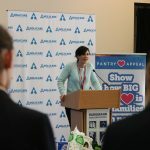 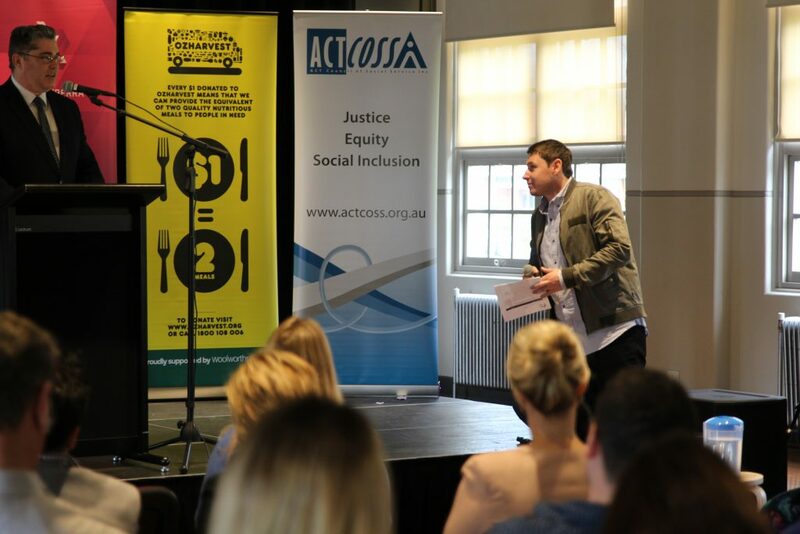 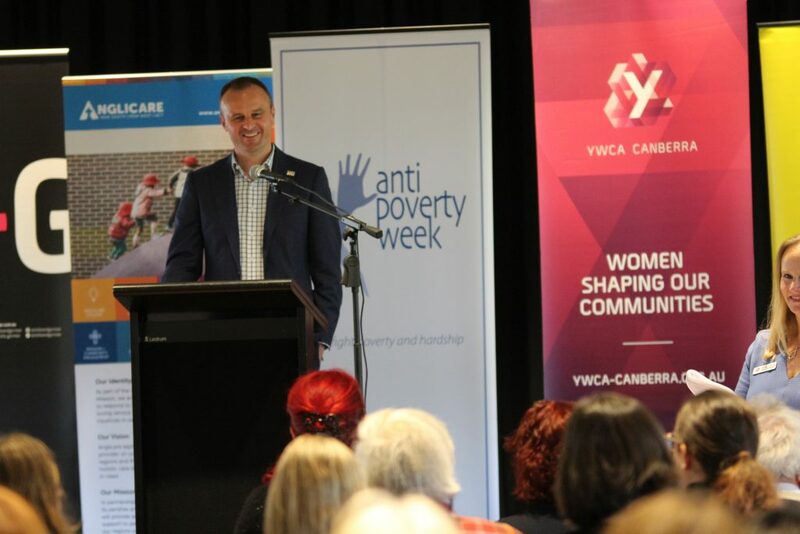 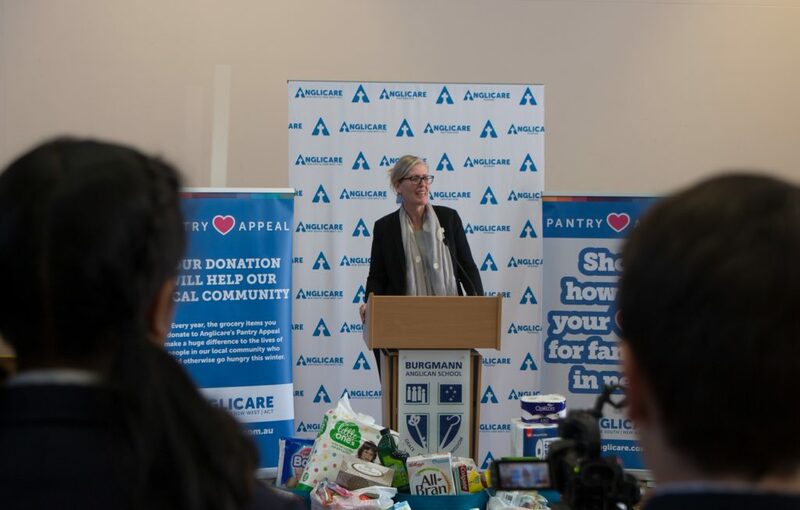 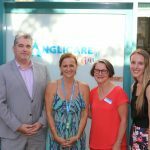 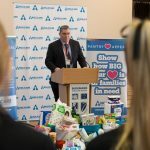 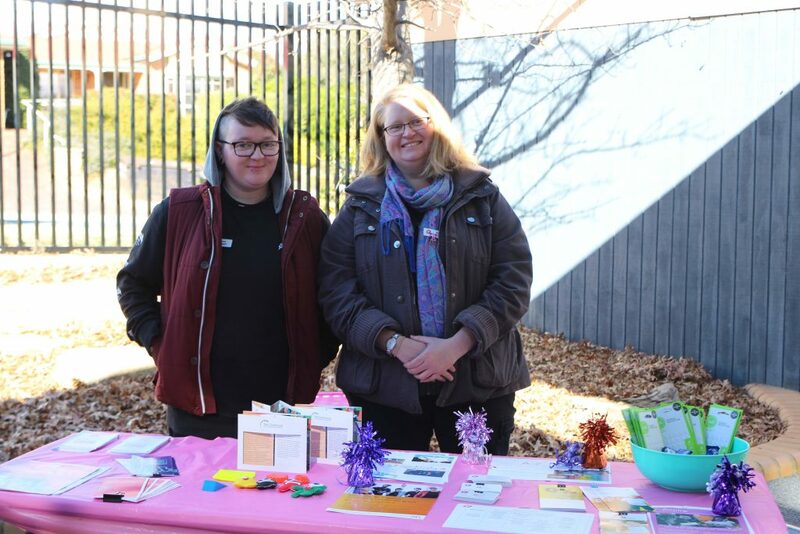 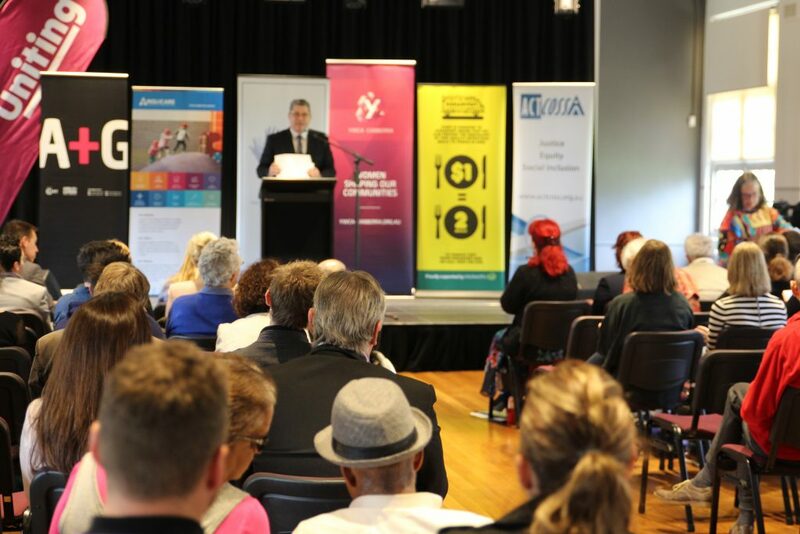 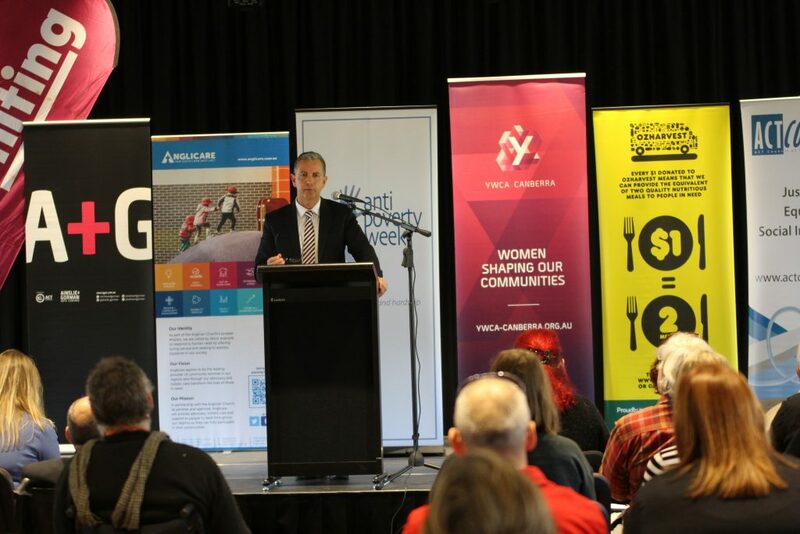 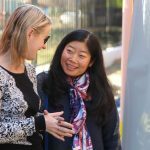 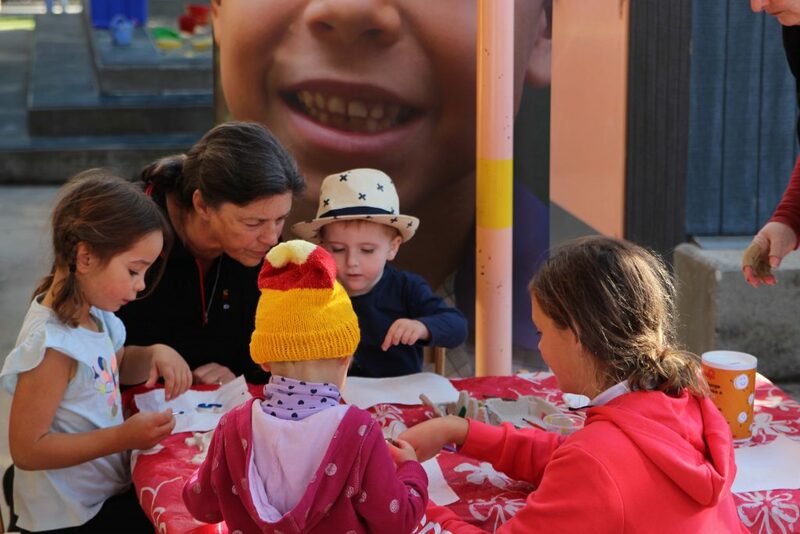 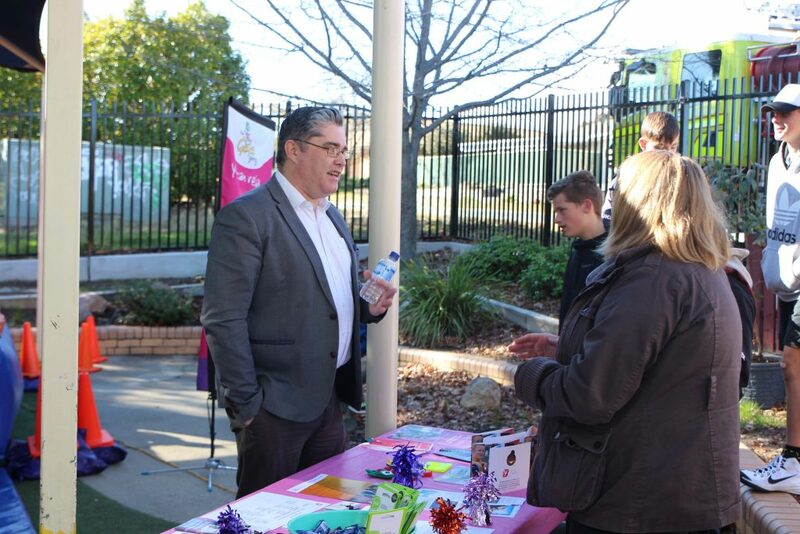 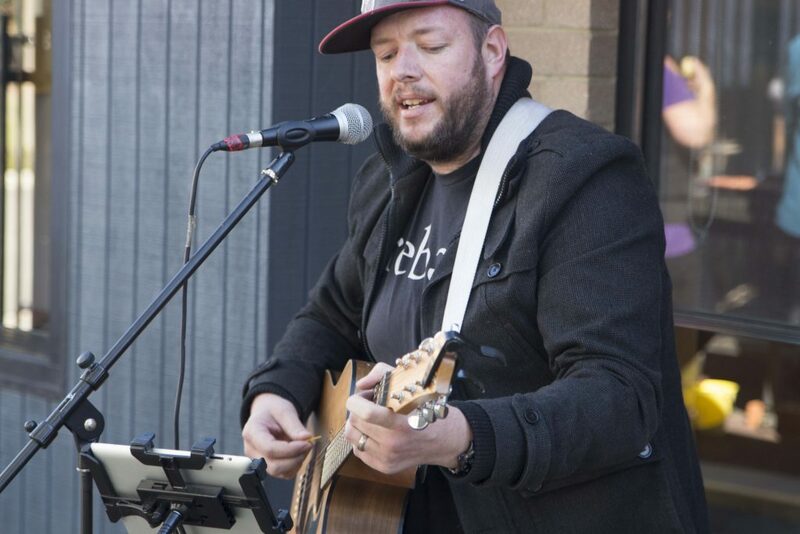 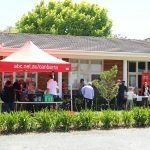 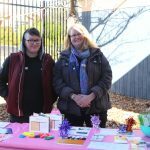 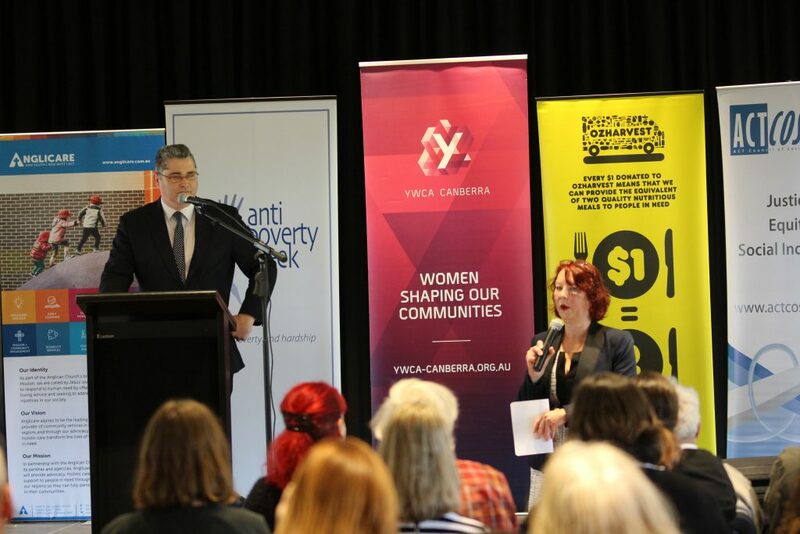 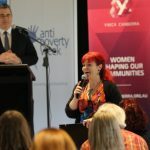 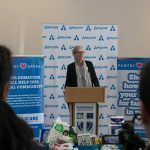 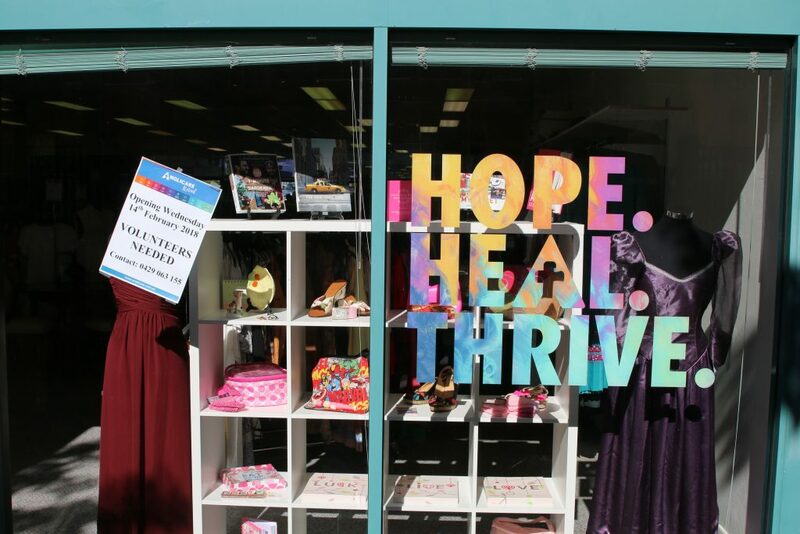 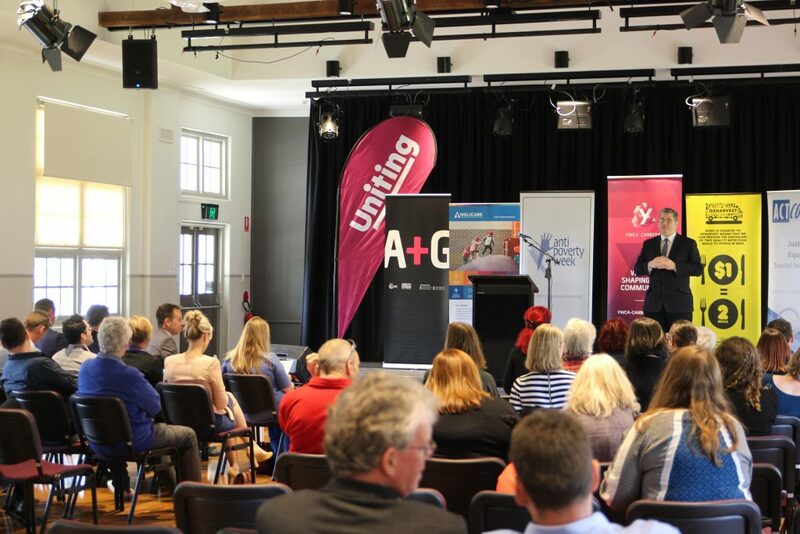 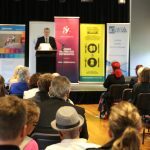 In partnership with YWCA, Anglicare hosted the Anti Poverty Week launch event. 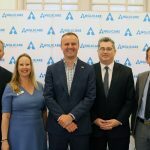 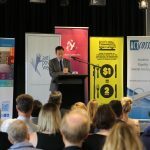 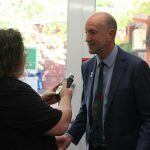 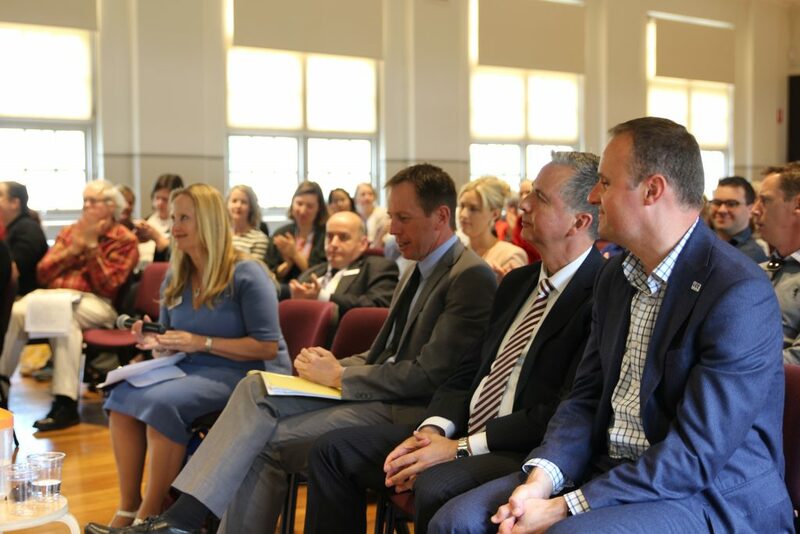 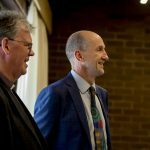 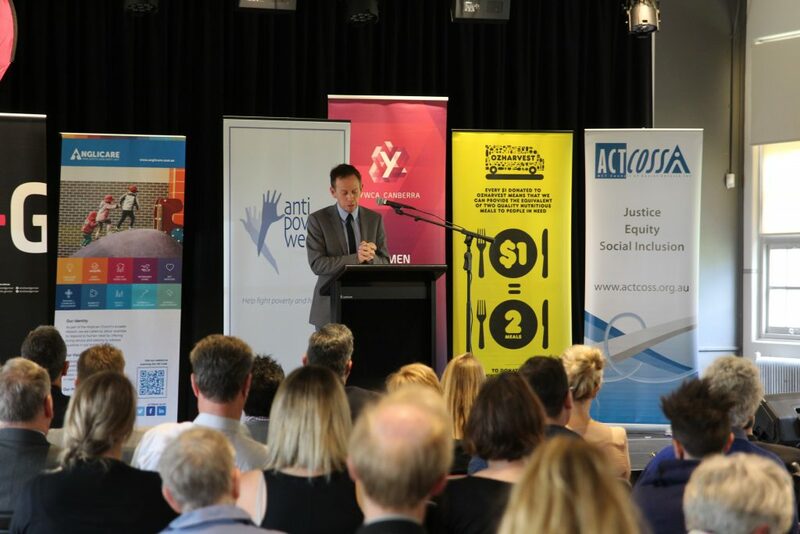 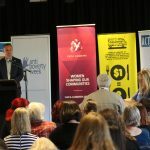 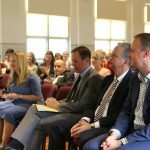 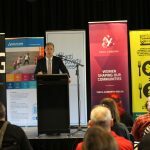 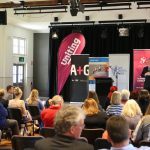 We heard from ACT Chief Minister Andrew Barr, Jeremy Hanson MLA and Shane Rattenbury MLA about how we can work to reduce poverty in our community. 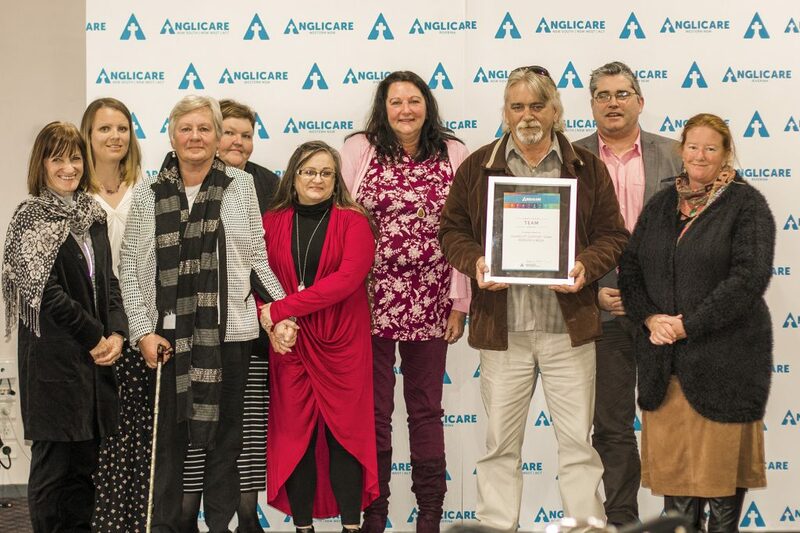 Anglicare clients and friends shared their stories of exclusion and poverty to help us gain insight into the difficulties they face. 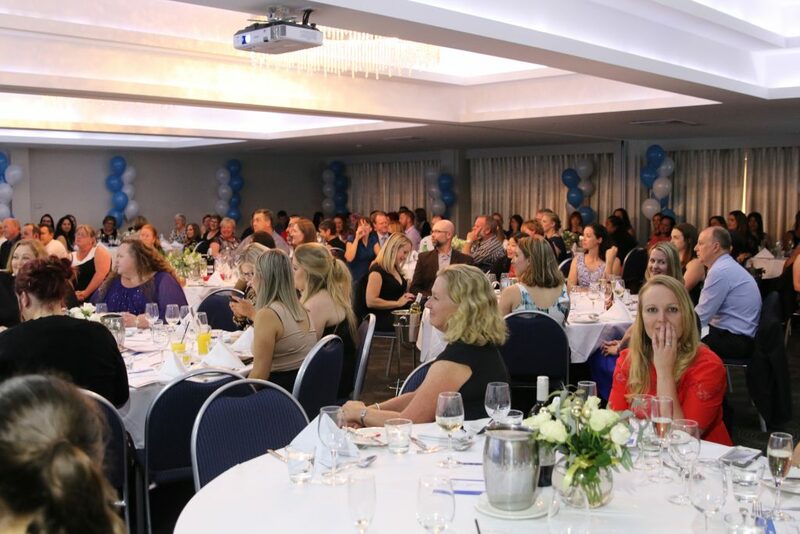 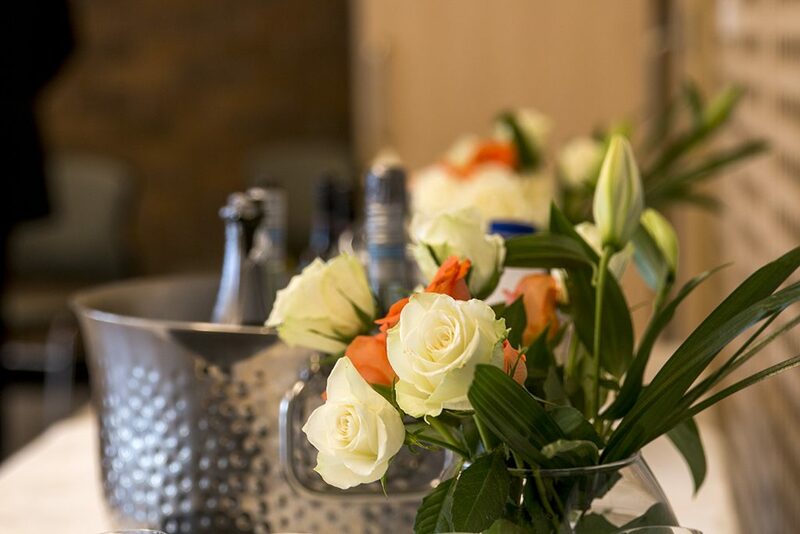 Thank you to Oz Harvest for their exceptional catering for the event.